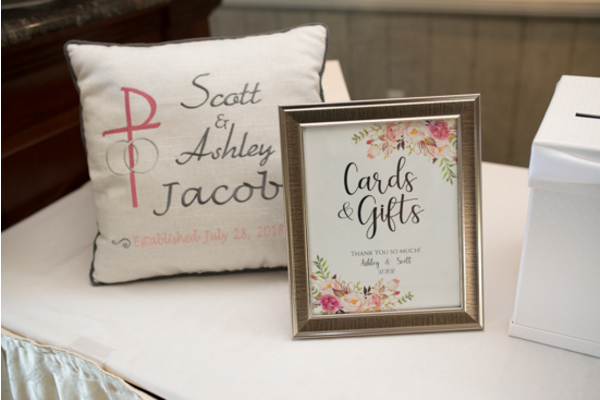 Congratulations to the newlyweds, Ashley and Scott on their recent marriage! 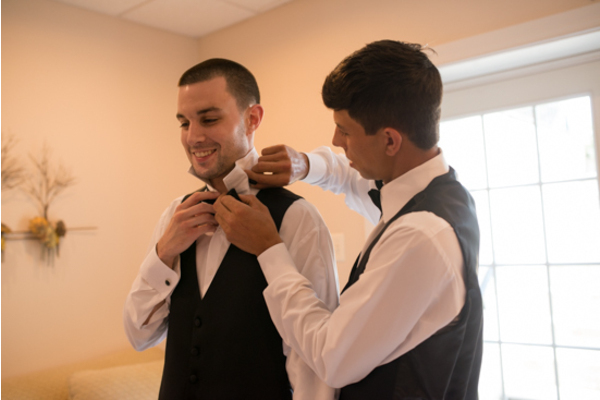 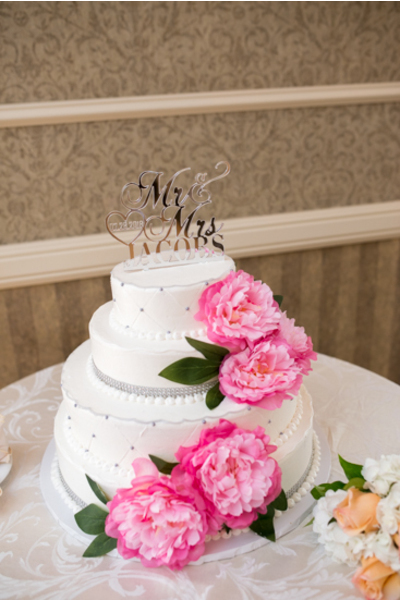 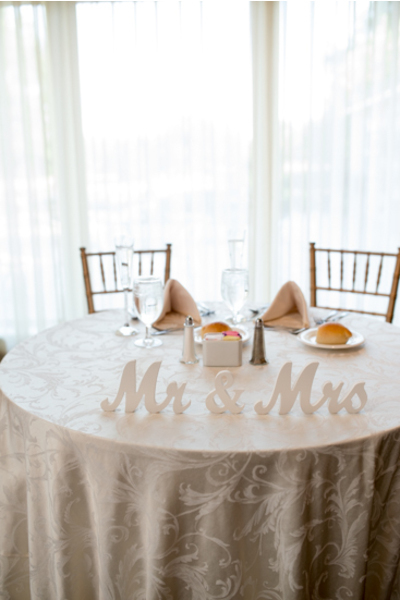 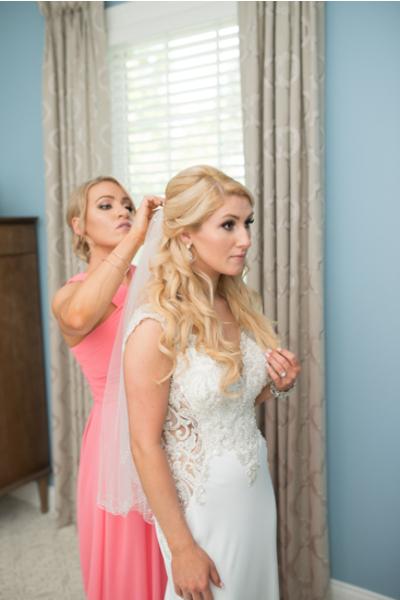 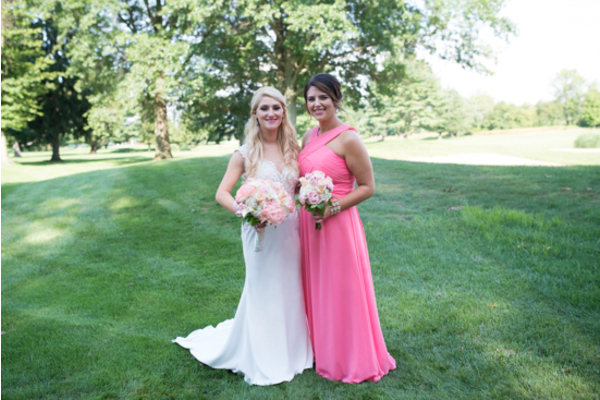 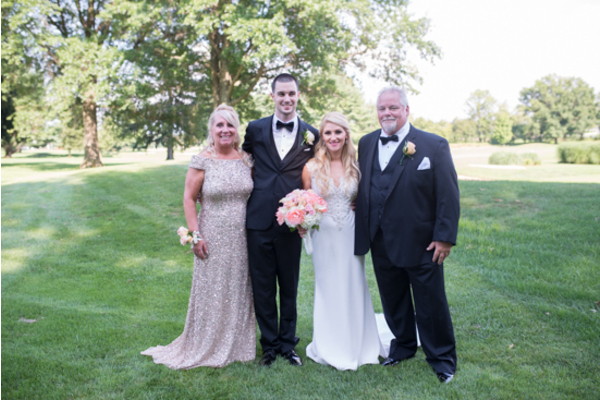 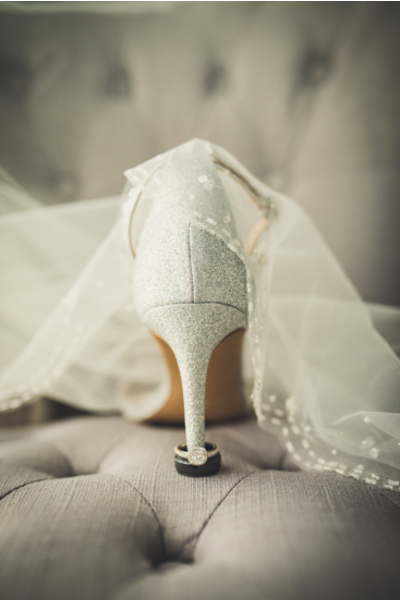 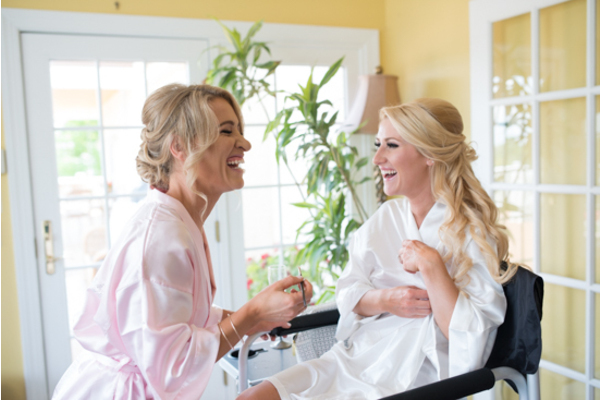 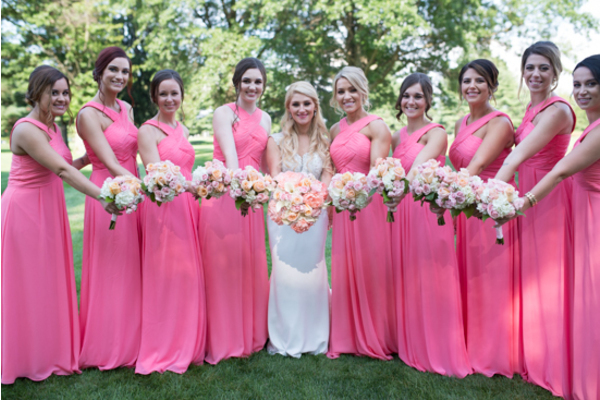 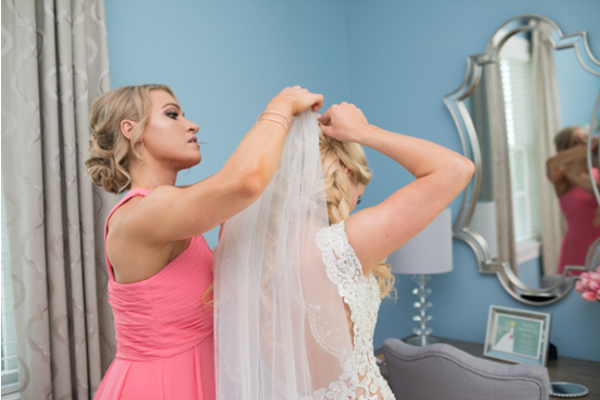 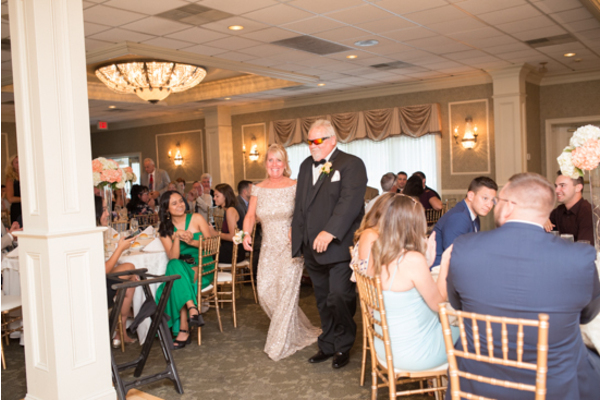 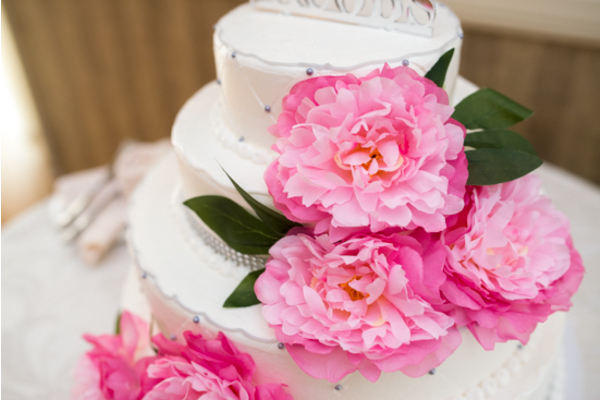 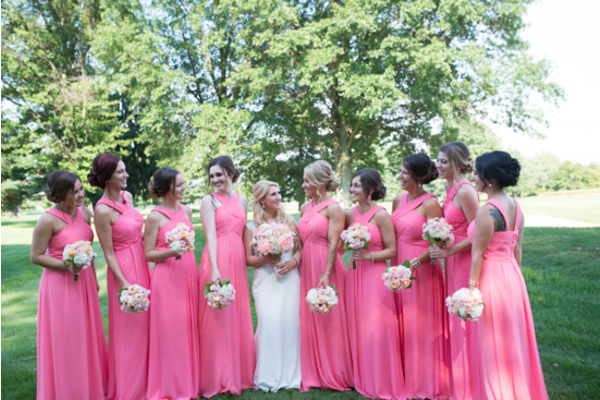 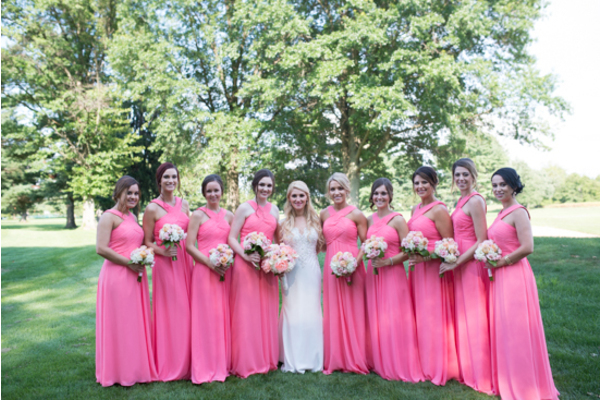 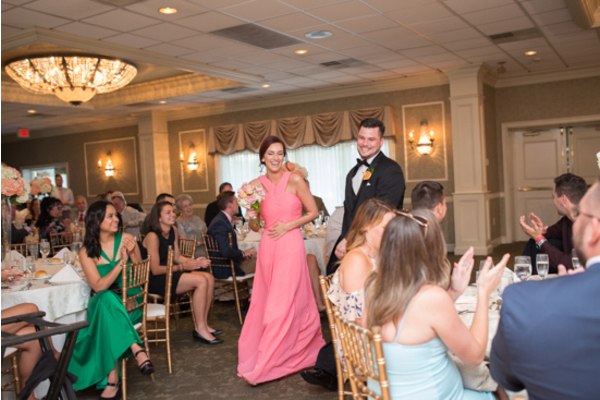 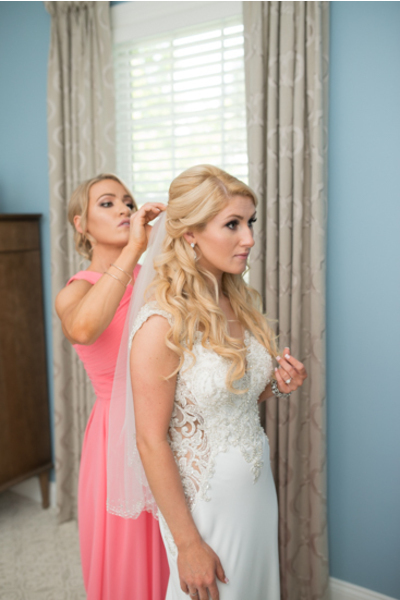 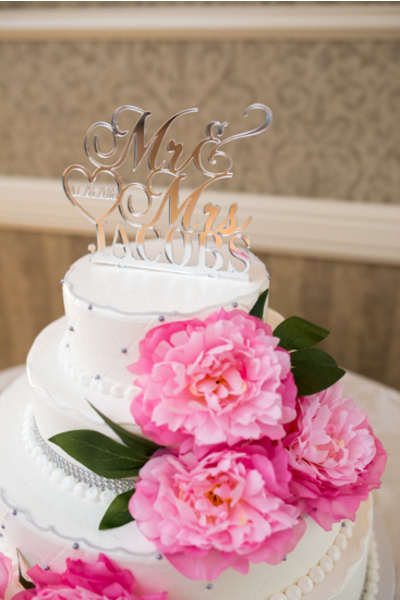 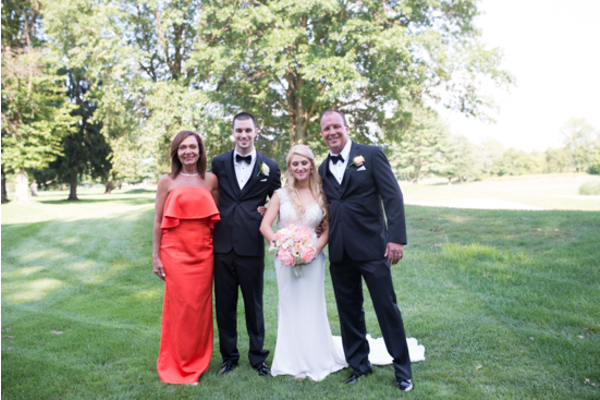 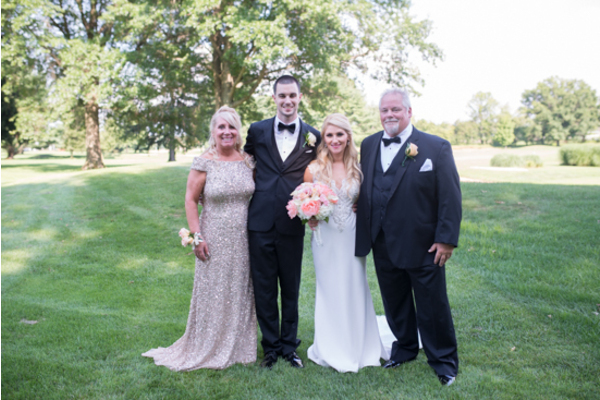 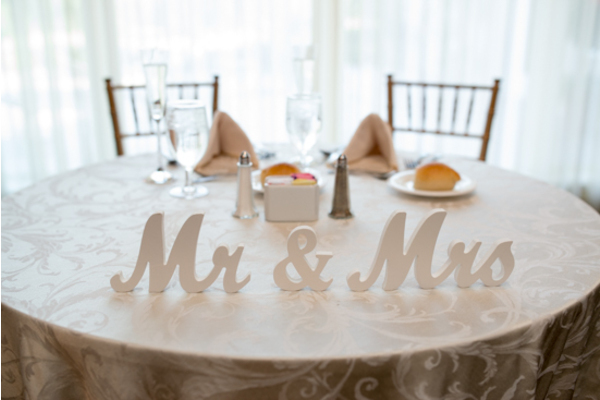 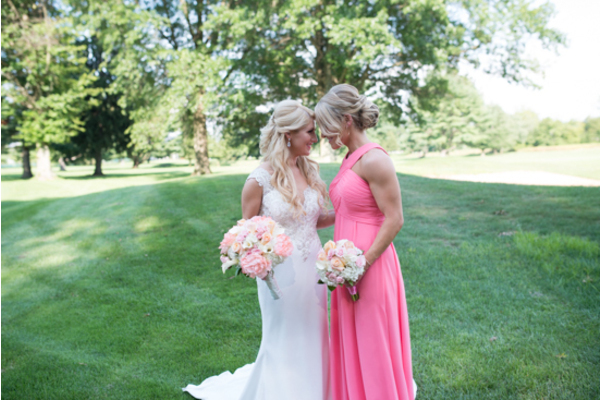 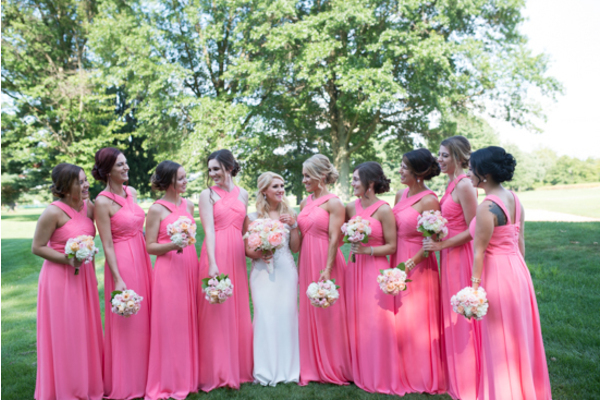 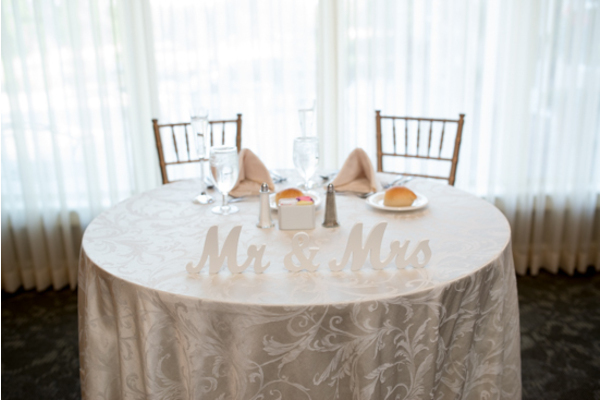 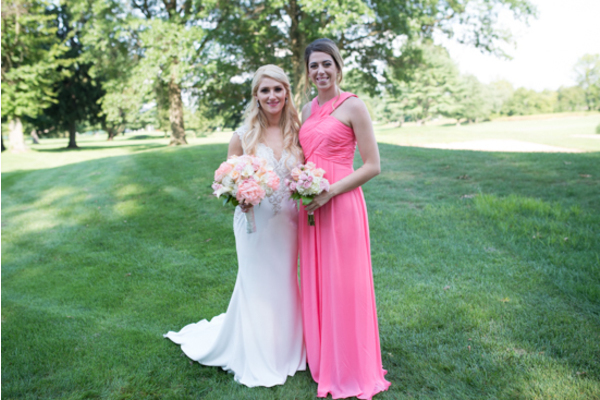 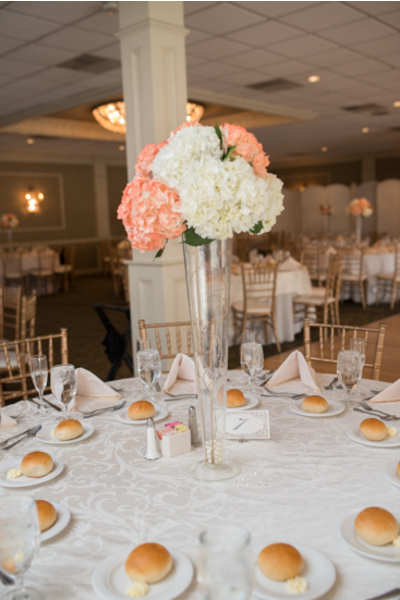 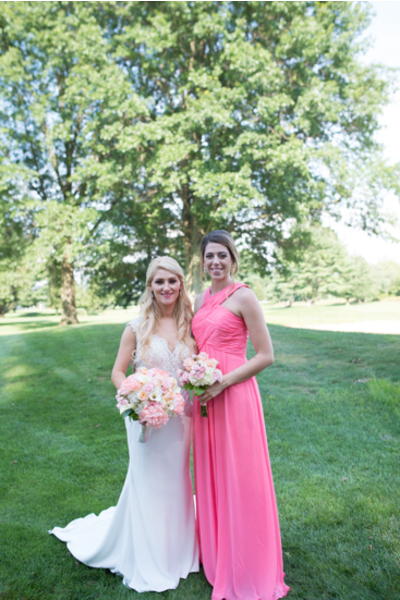 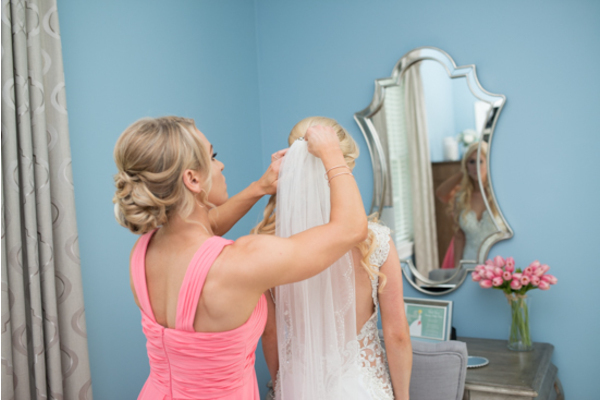 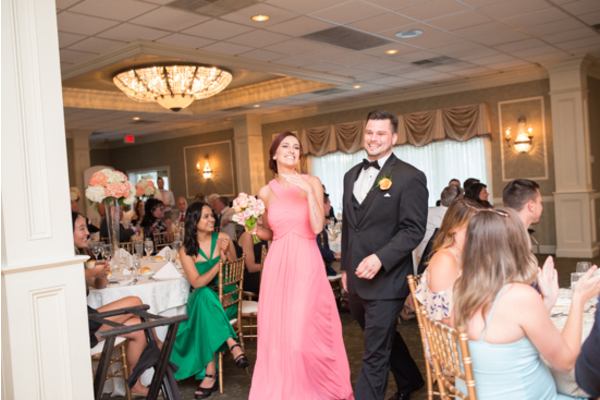 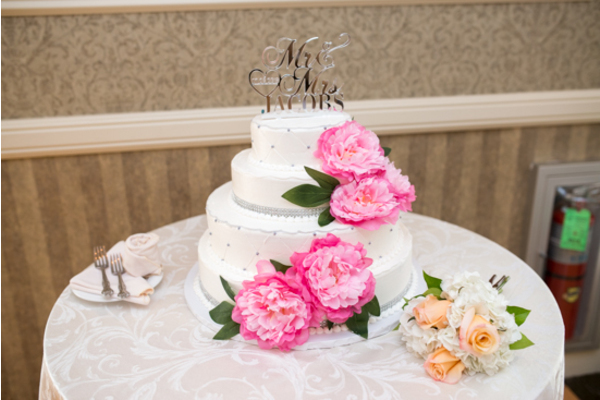 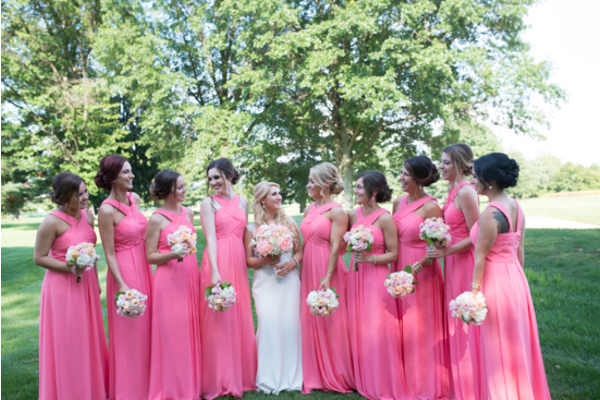 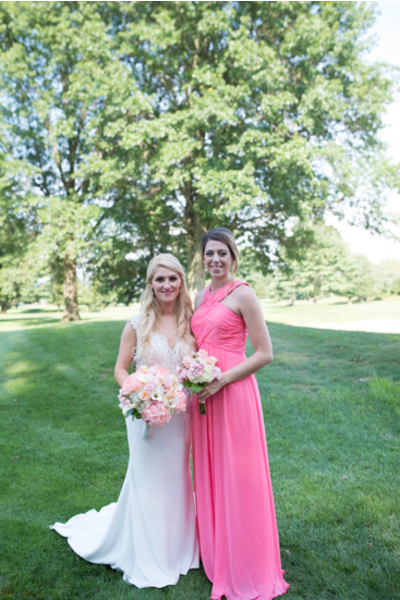 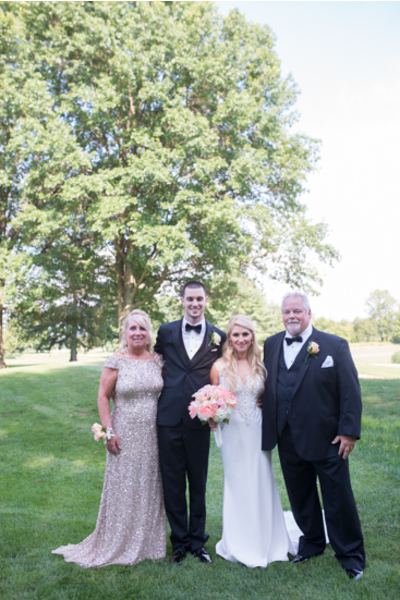 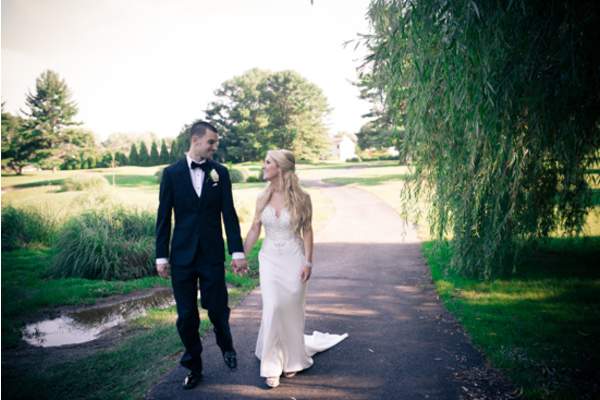 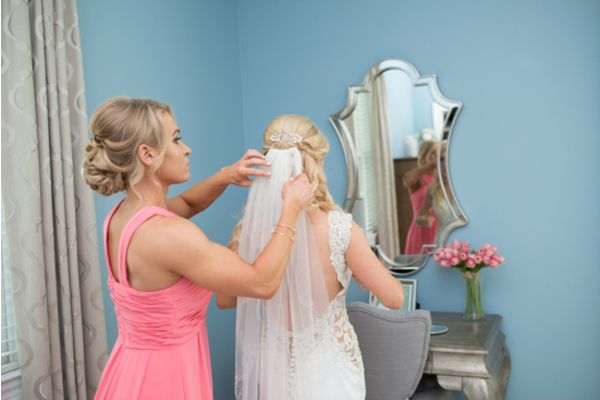 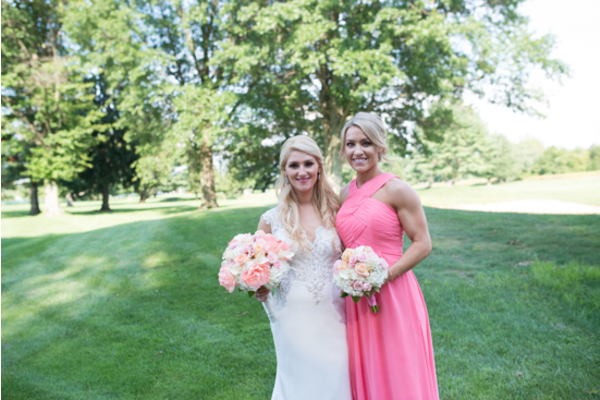 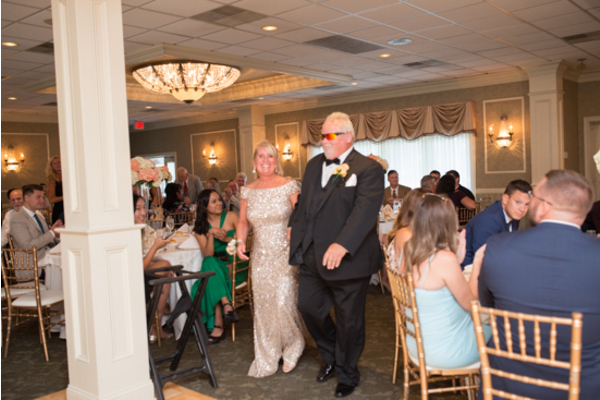 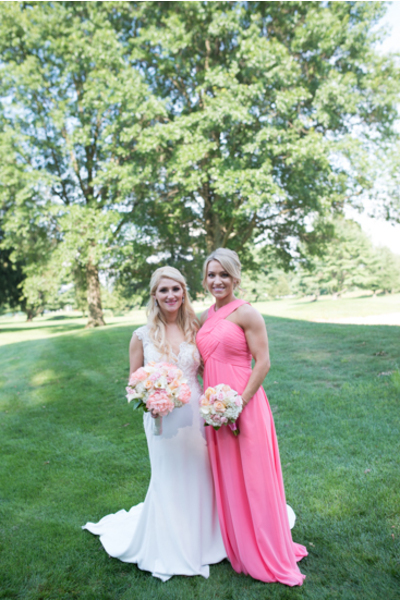 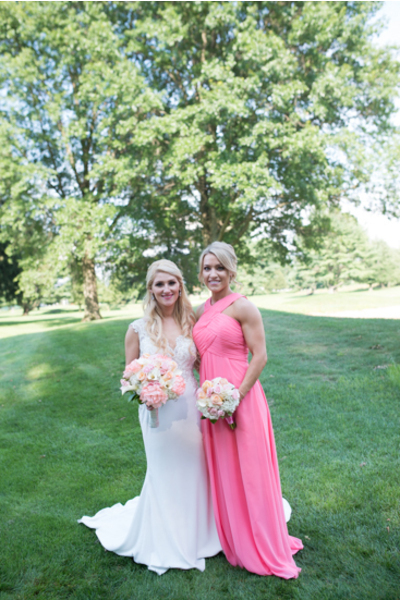 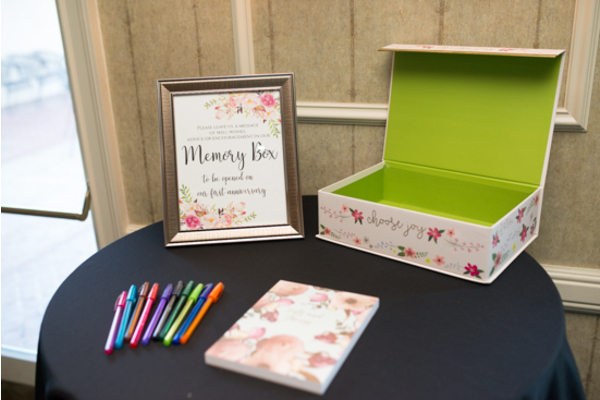 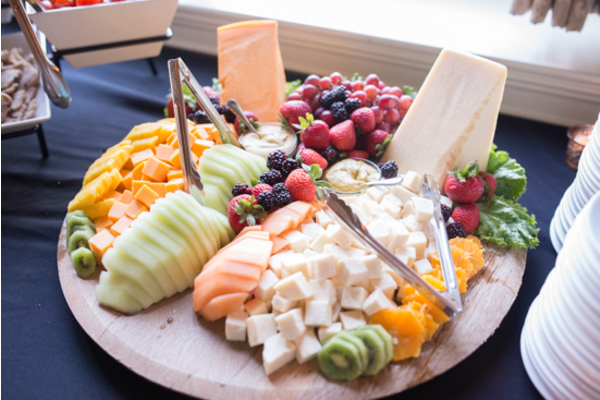 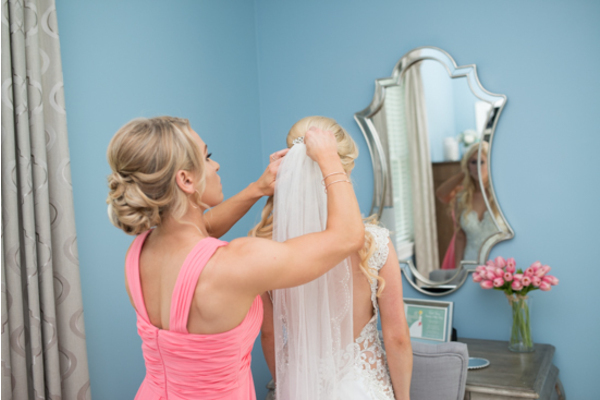 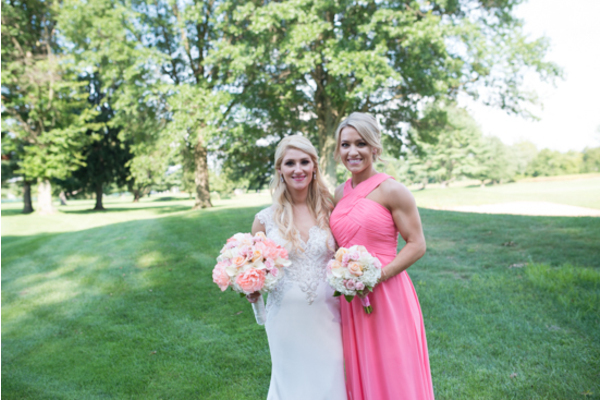 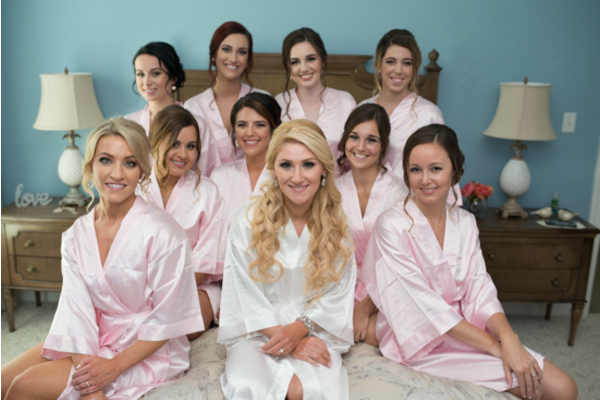 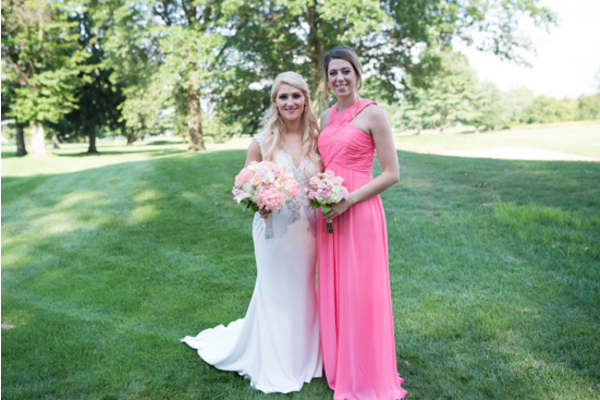 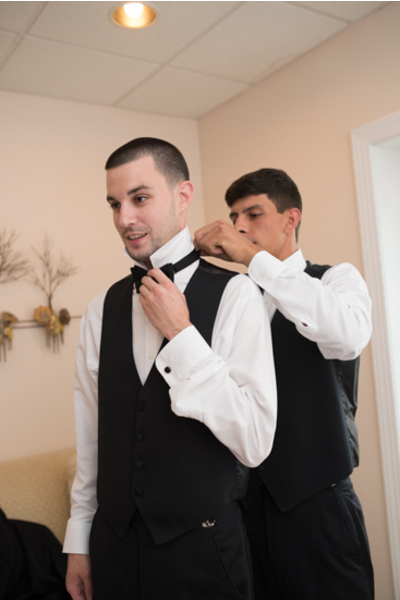 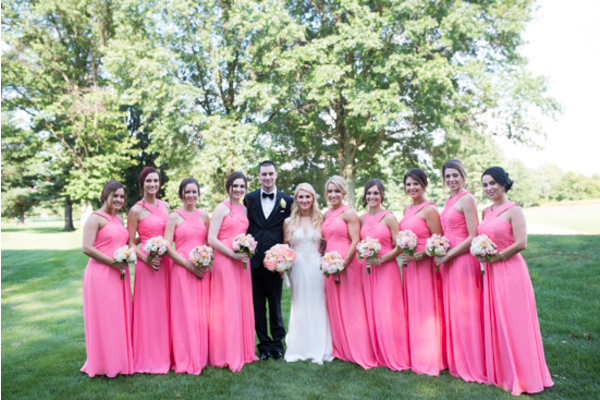 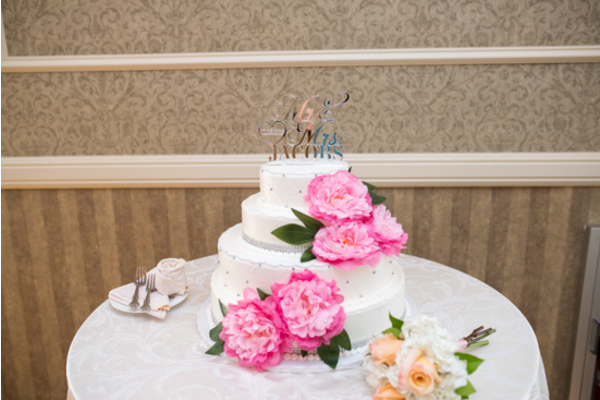 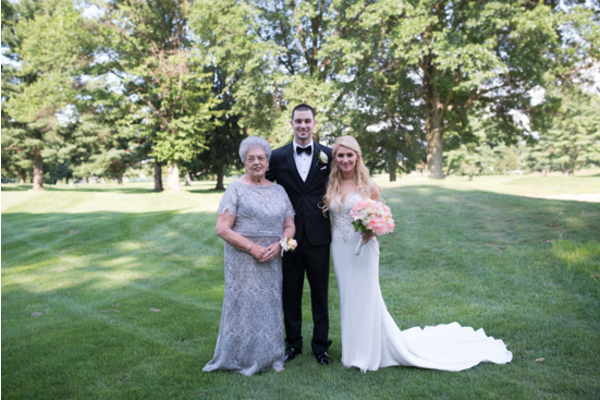 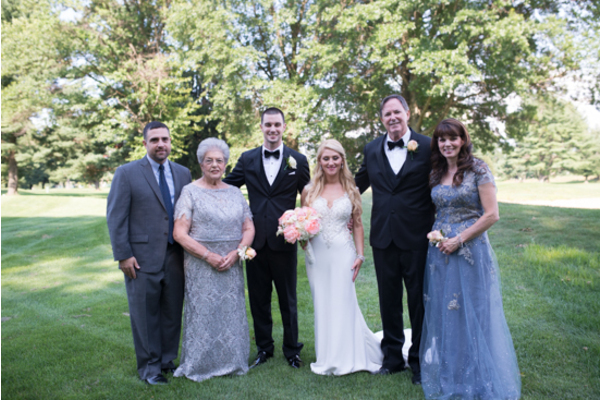 This couple tied the knot on a beautiful summer afternoon in July 2018 at the North Hampton Valley Country Club. 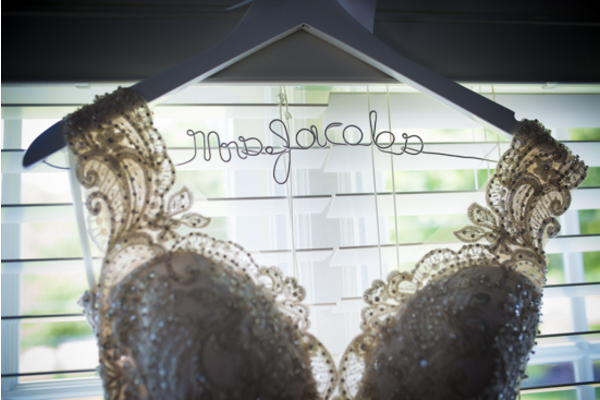 Ashley’s dress hung by the window just calling her name. 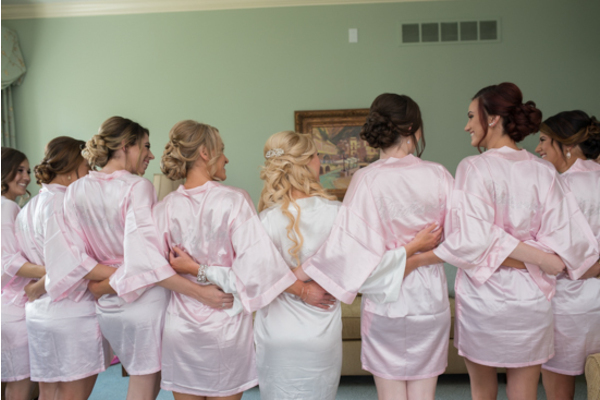 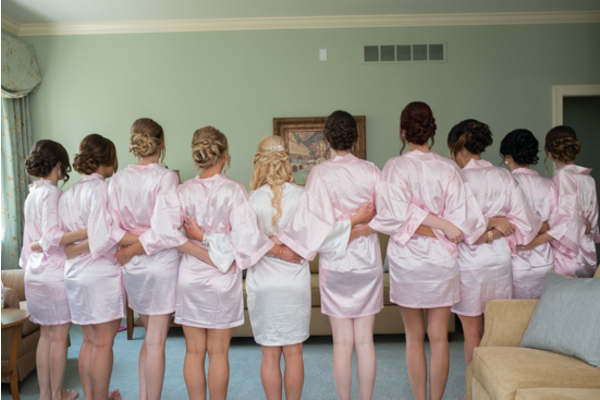 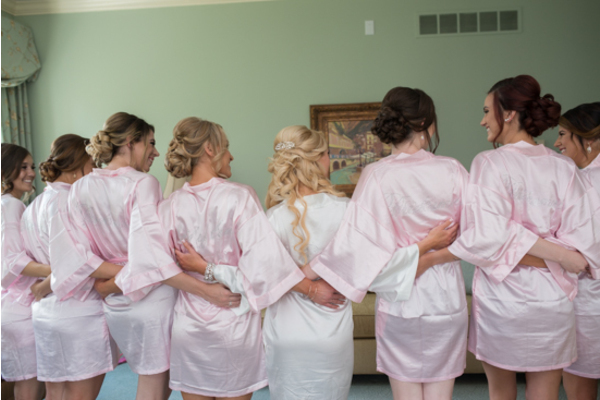 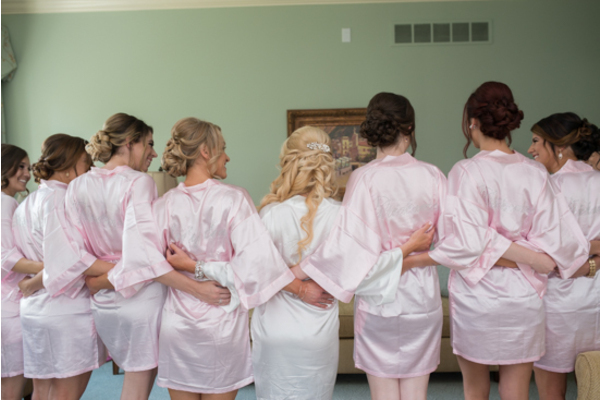 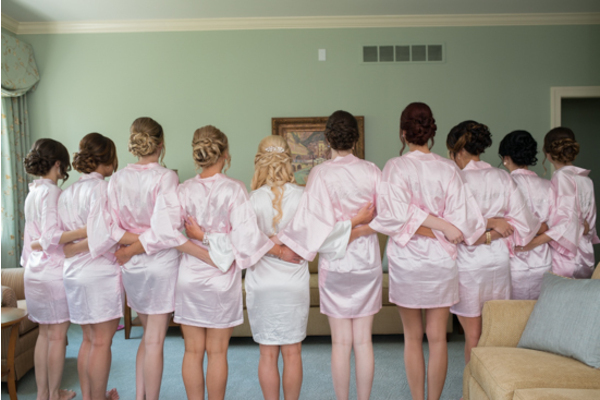 As the girls giggled and gossiped the morning away in their matching robes, Scott was just rooms away tightening his tie and slipping on his shoes. 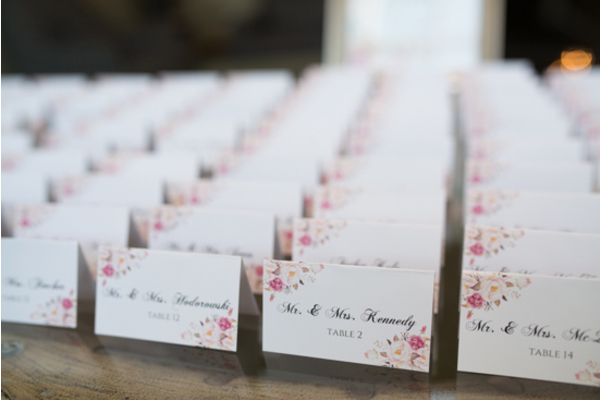 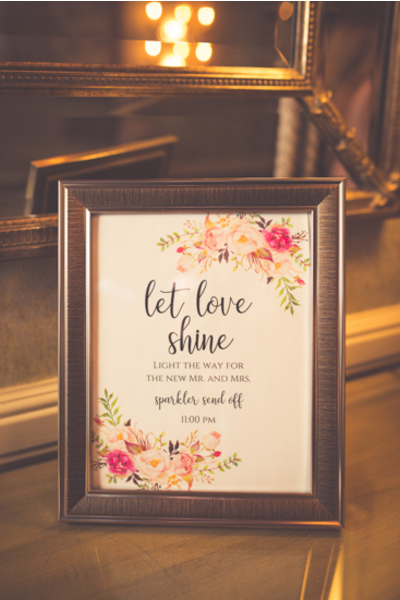 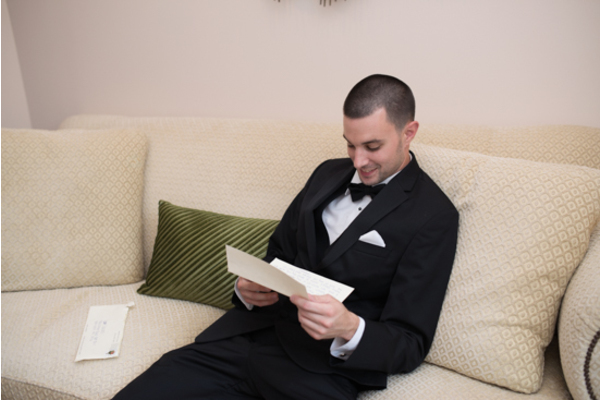 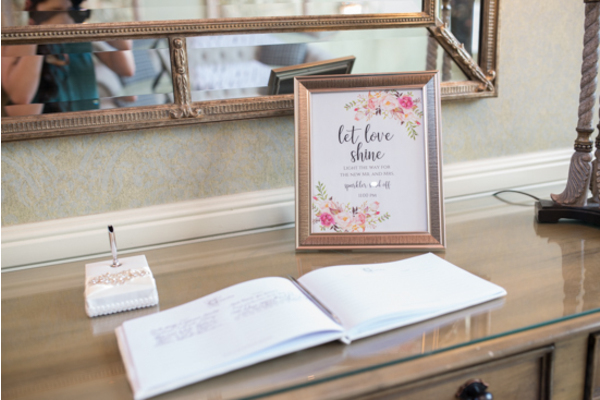 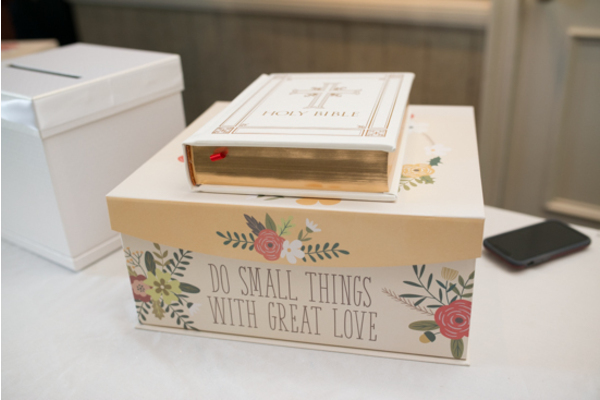 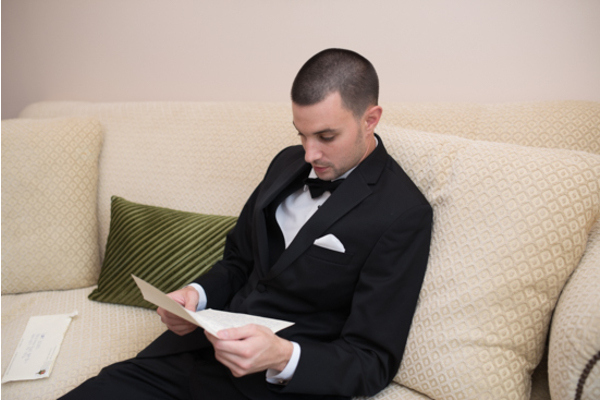 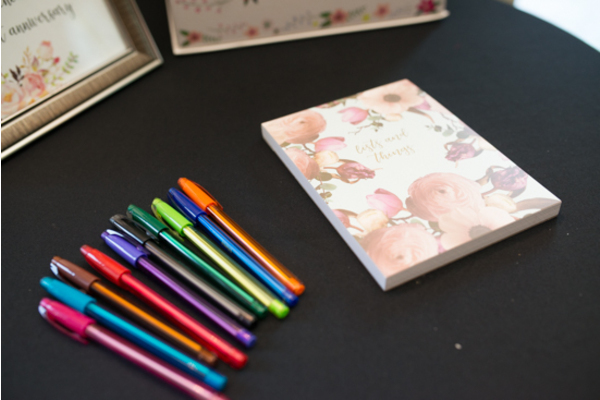 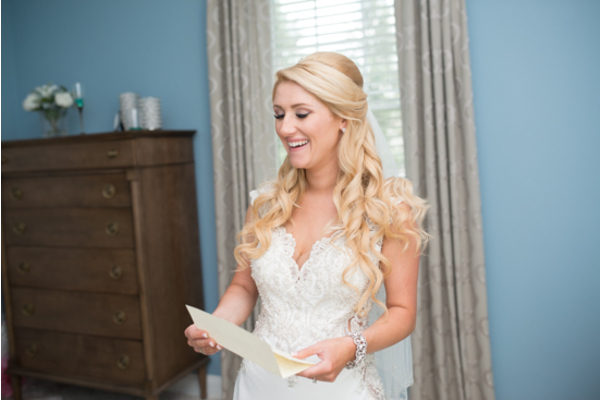 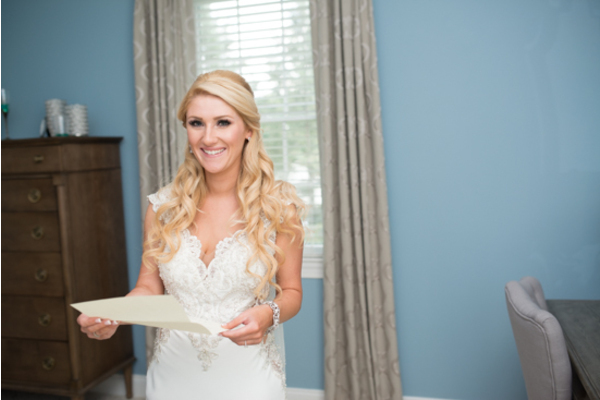 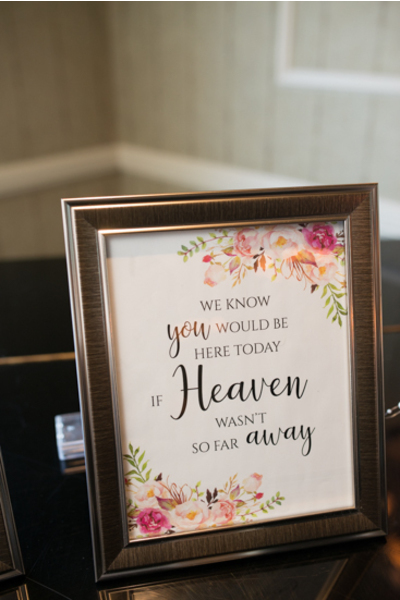 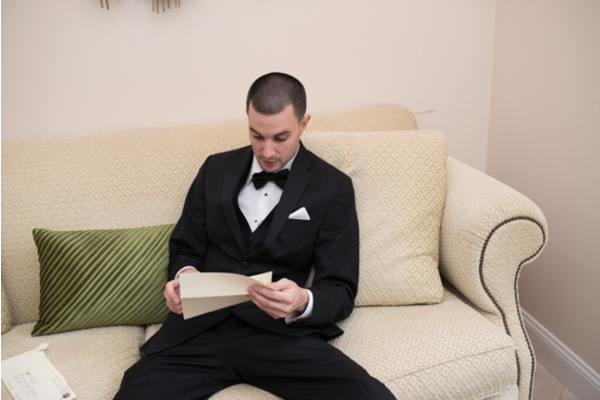 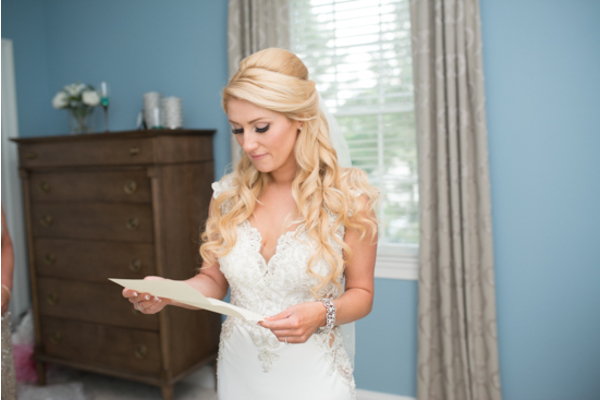 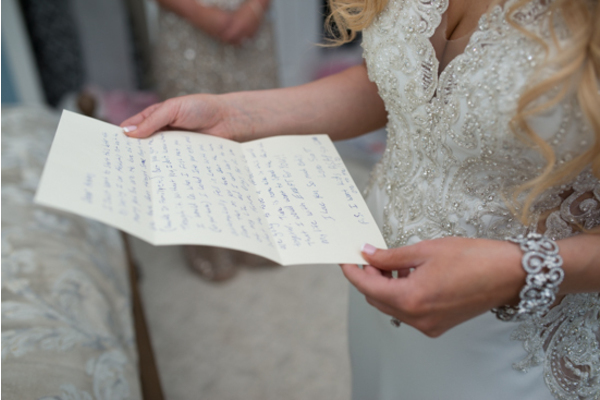 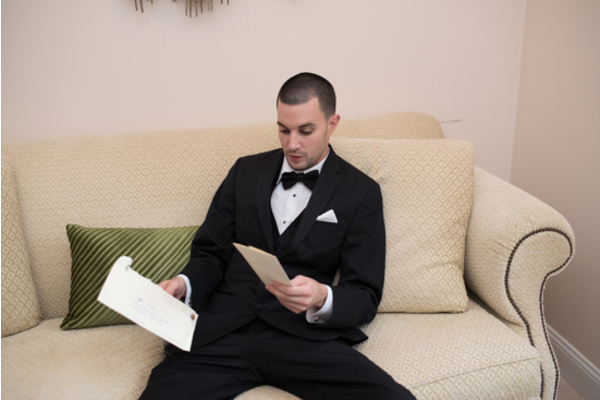 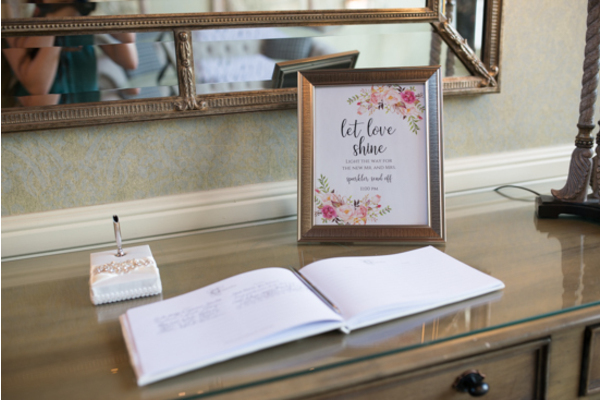 Before the bride and groom made their way to the ceremony, they each took a moment to read hand-written letters written for each other. 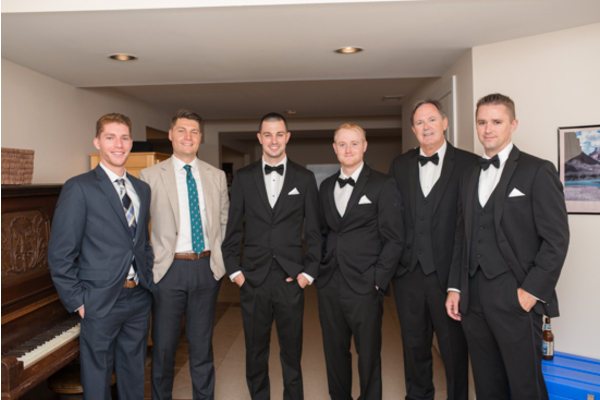 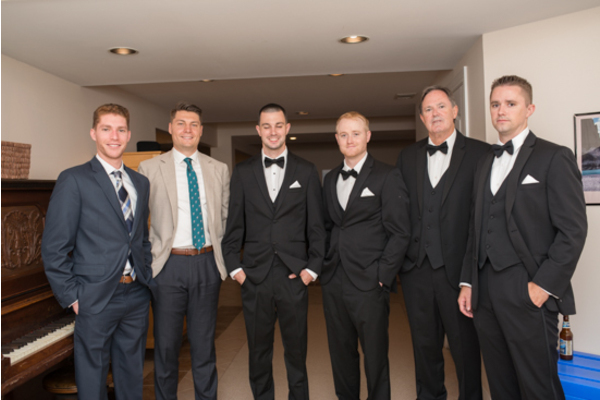 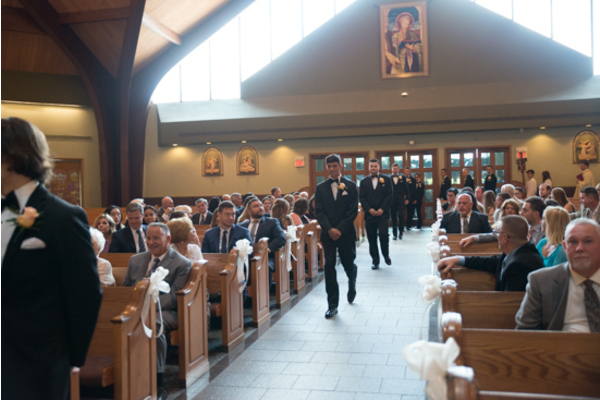 With anticipation levels rising as the bridal party lined the alter, Scott could not wait to see his fiancé in all white for the first time! 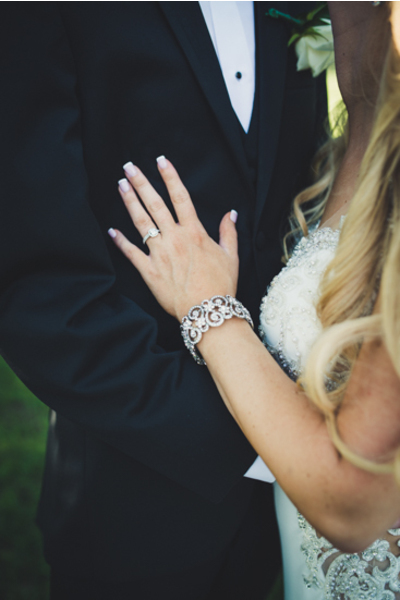 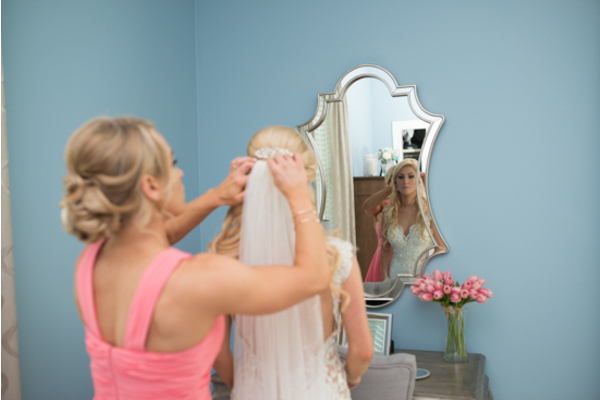 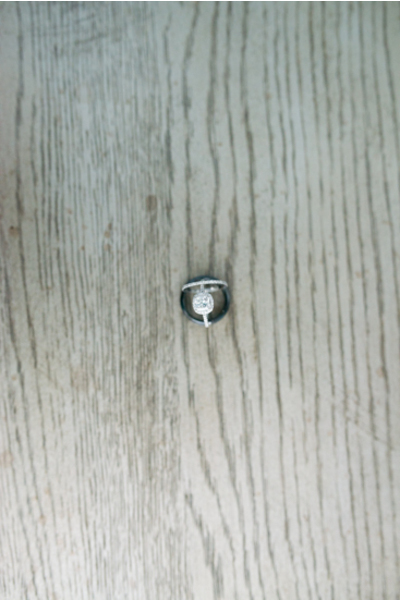 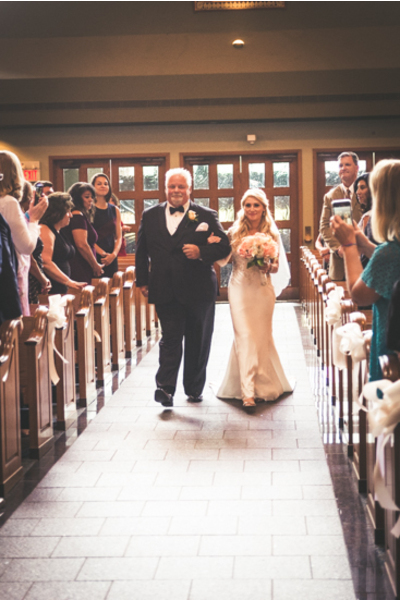 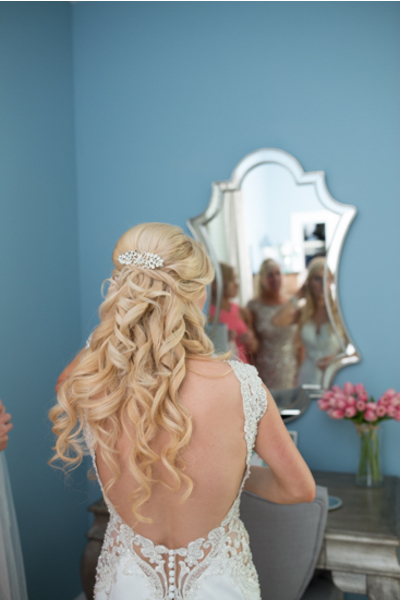 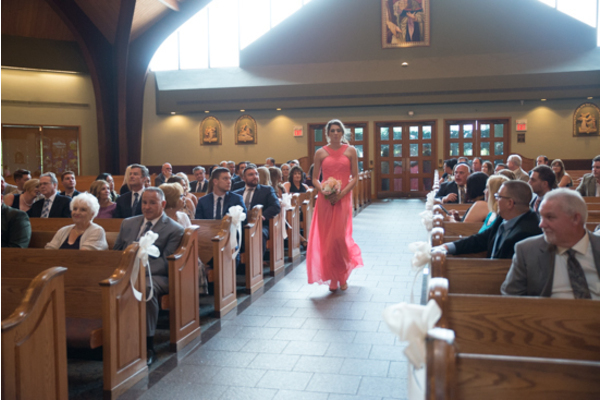 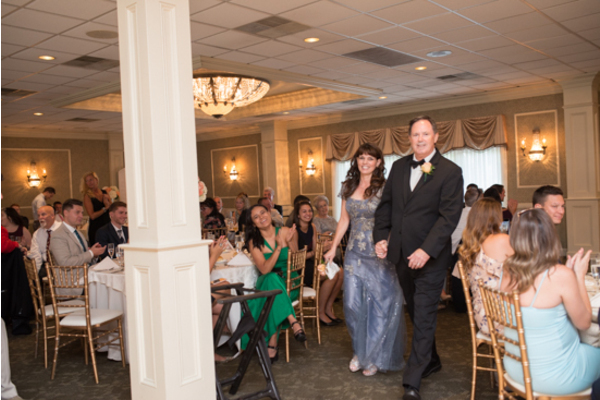 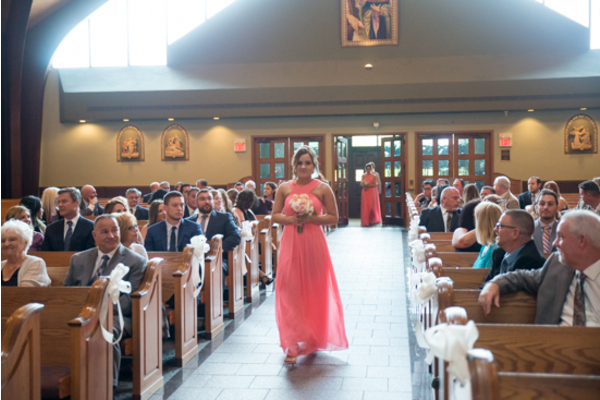 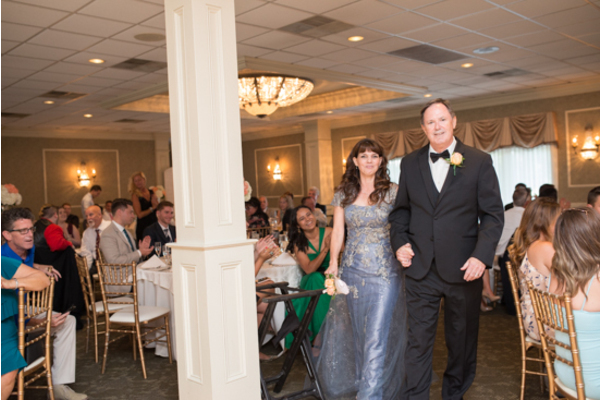 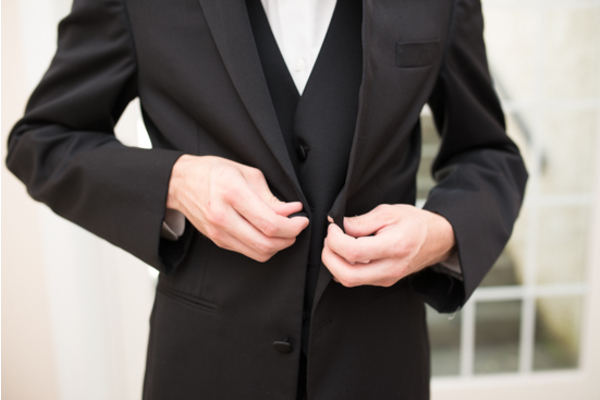 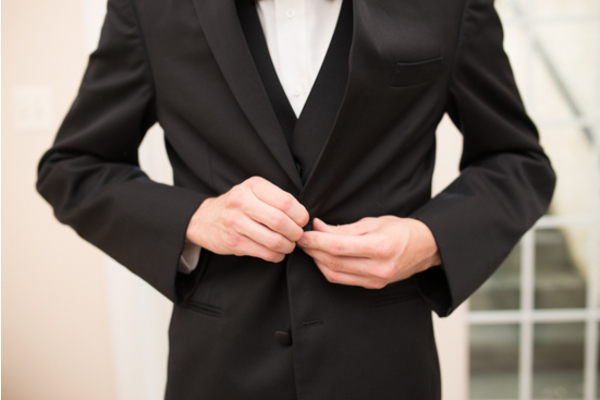 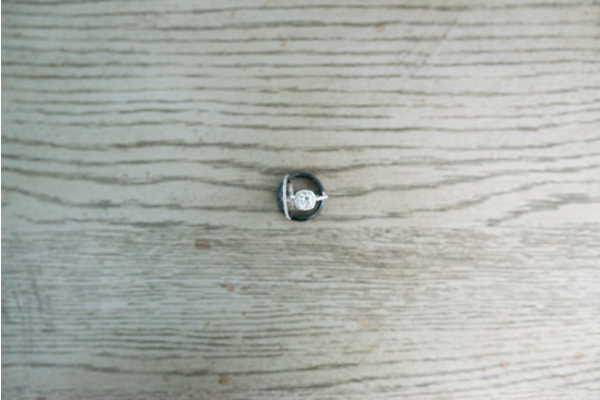 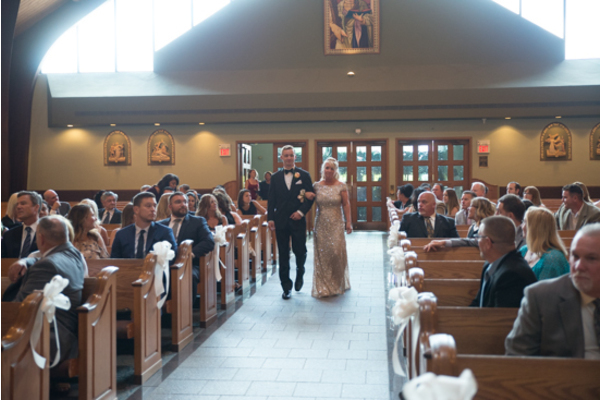 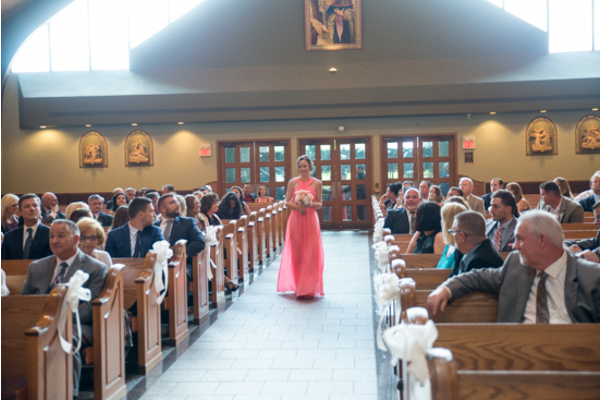 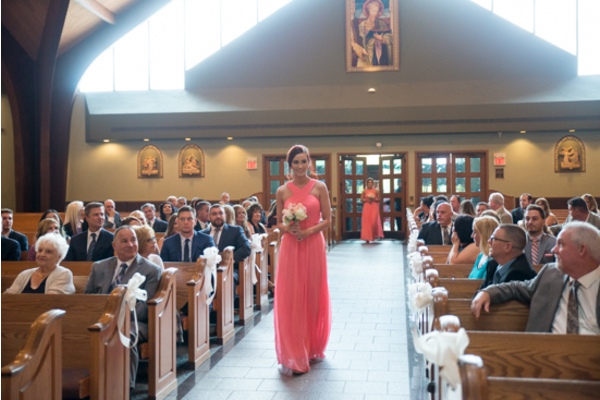 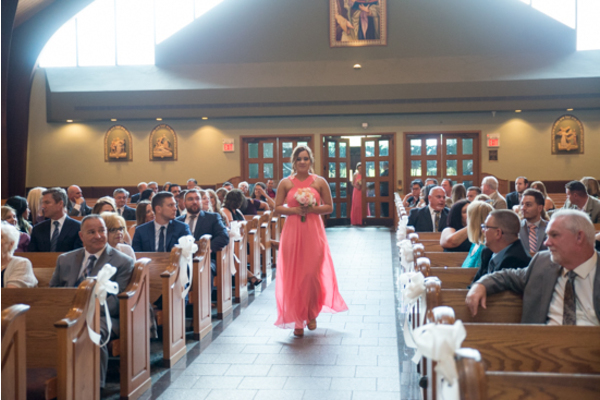 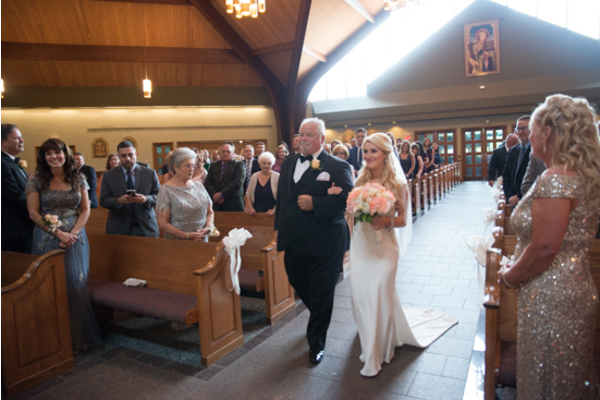 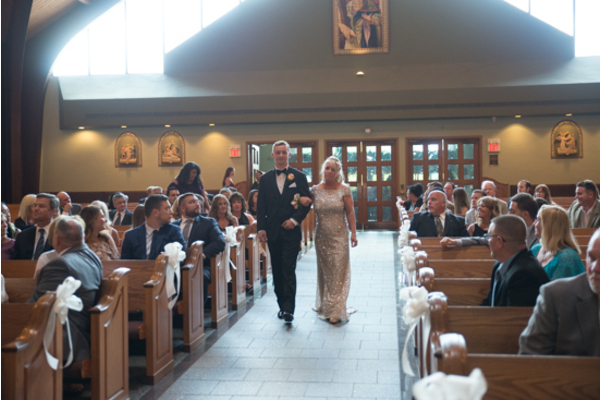 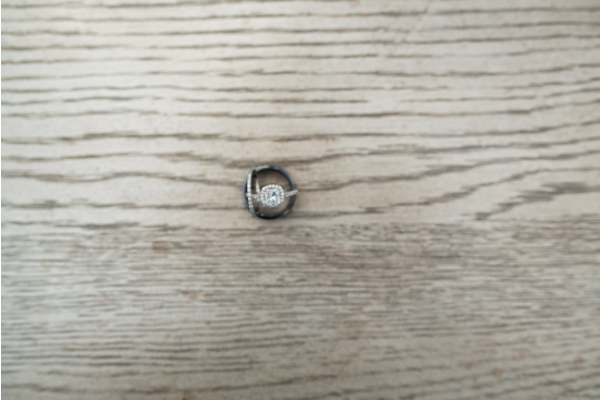 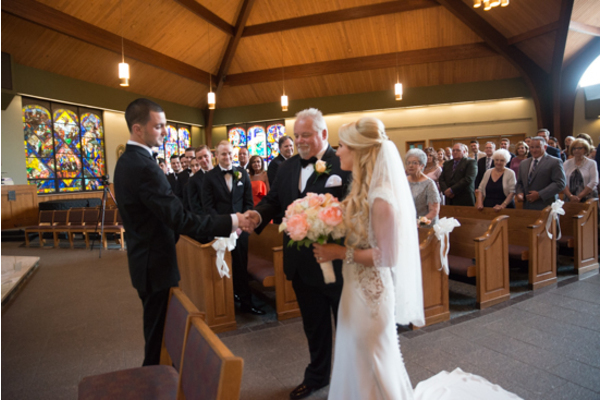 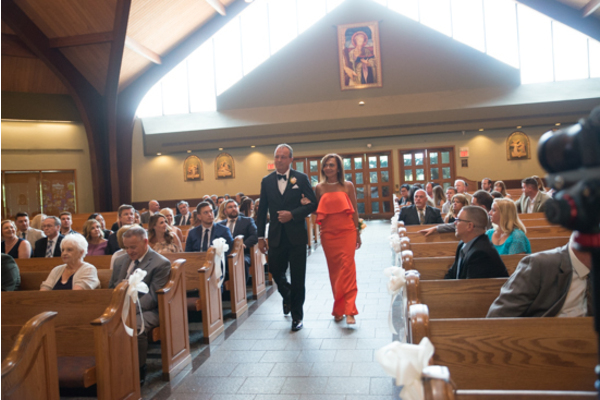 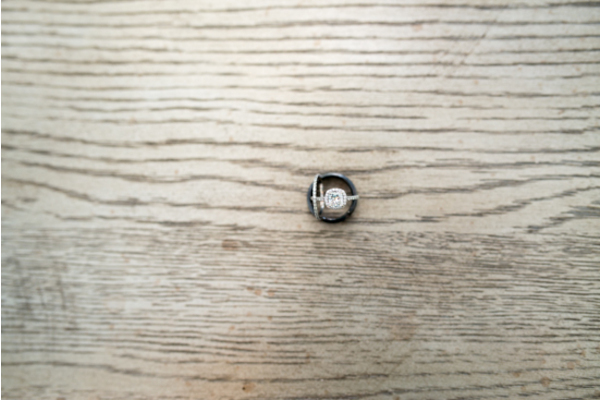 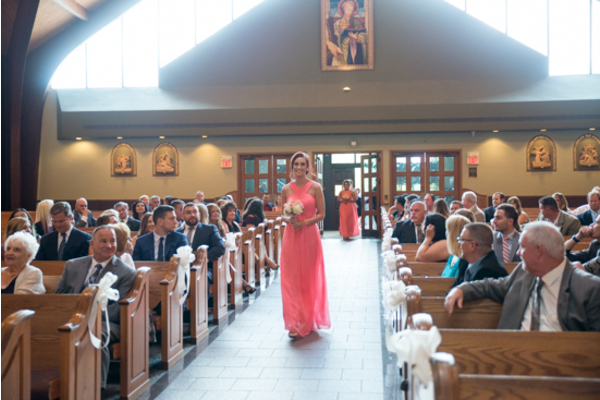 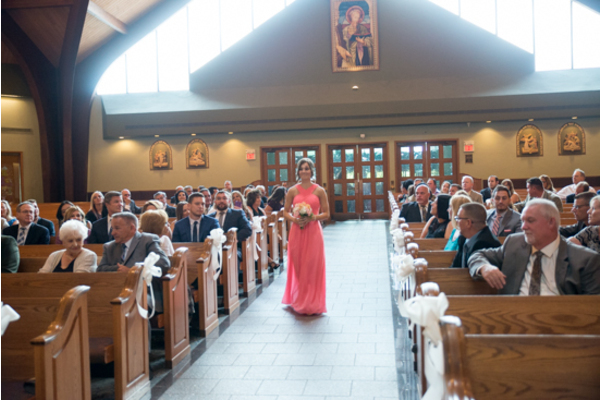 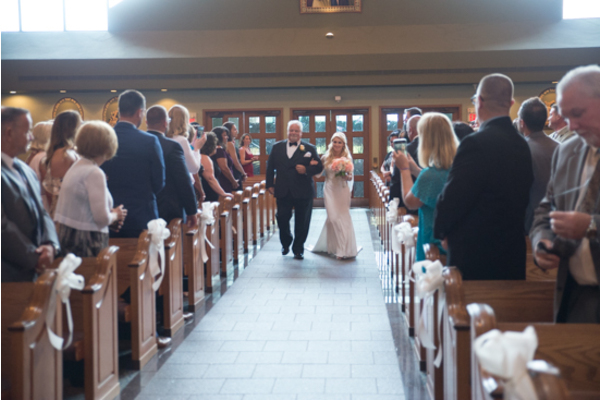 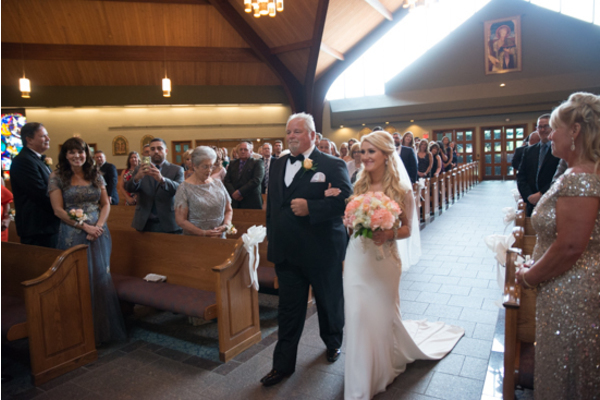 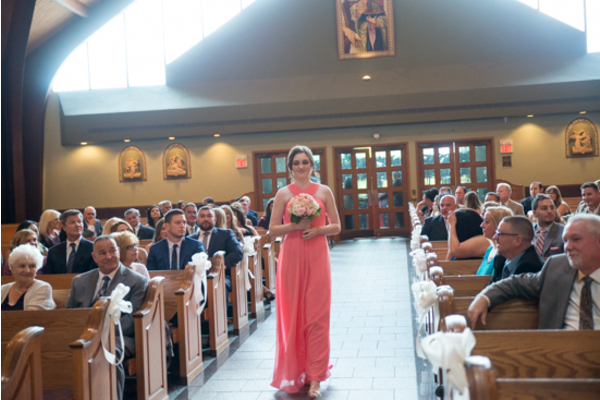 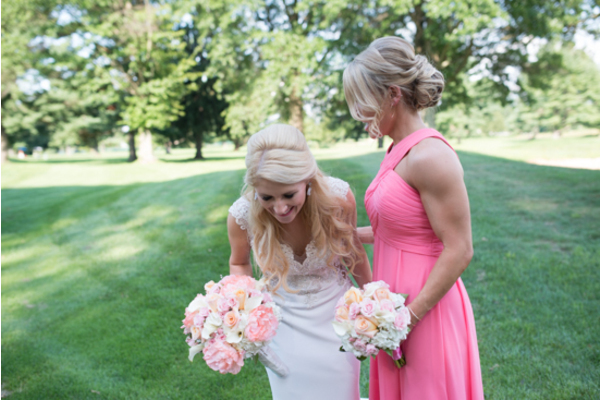 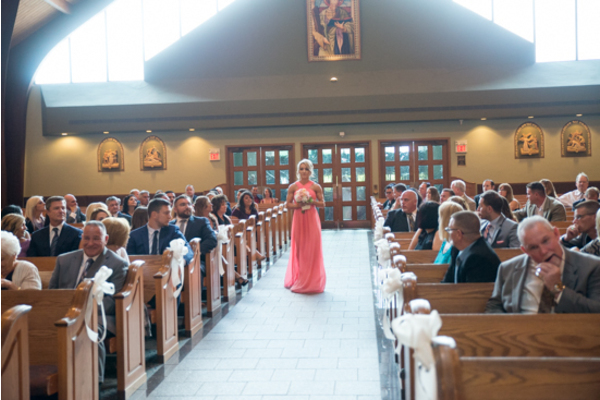 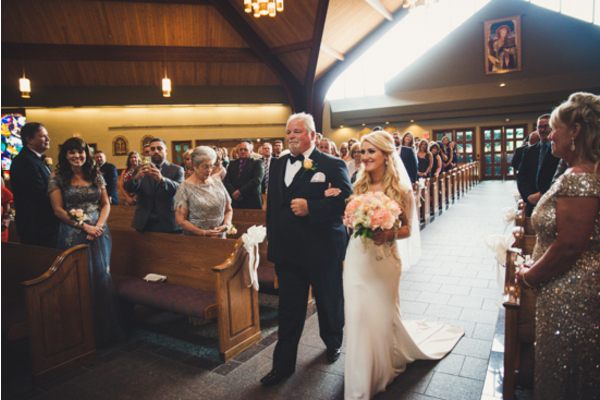 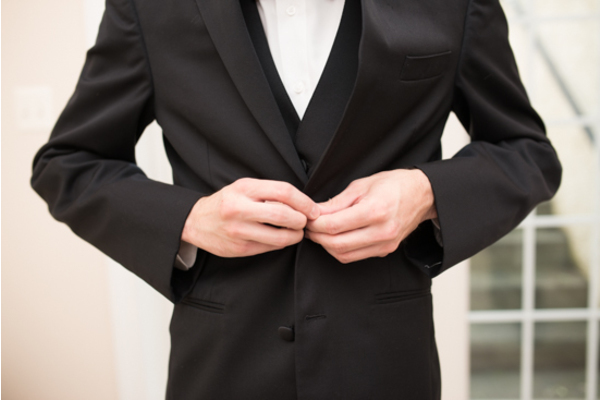 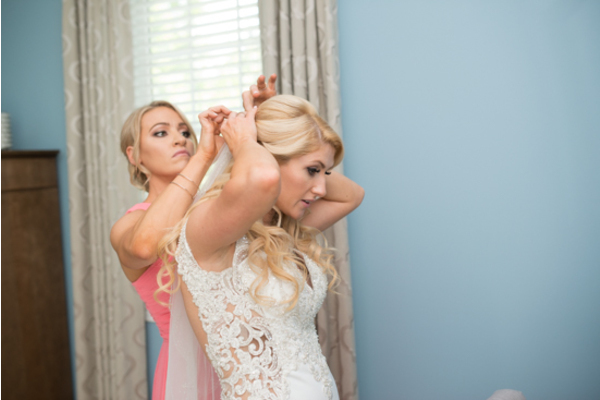 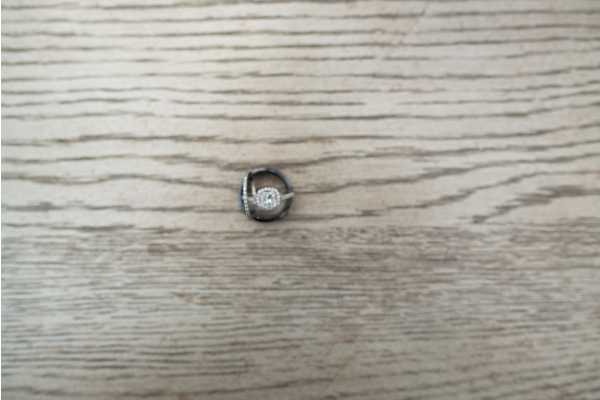 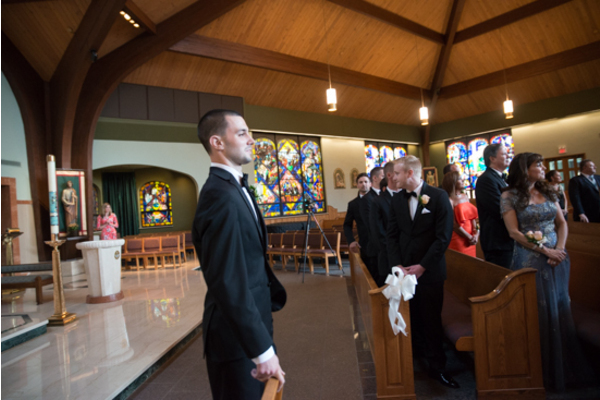 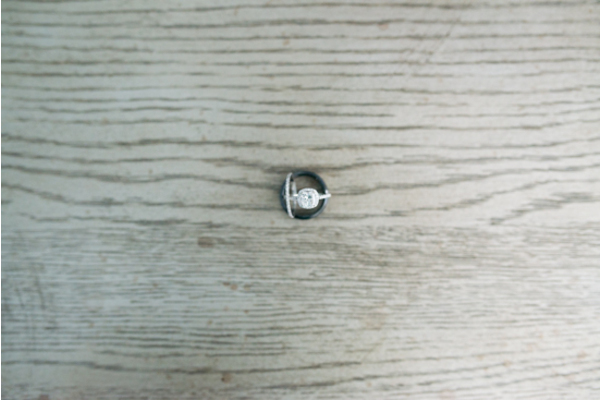 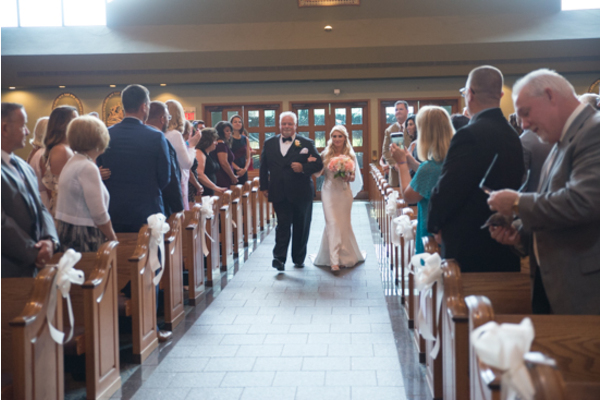 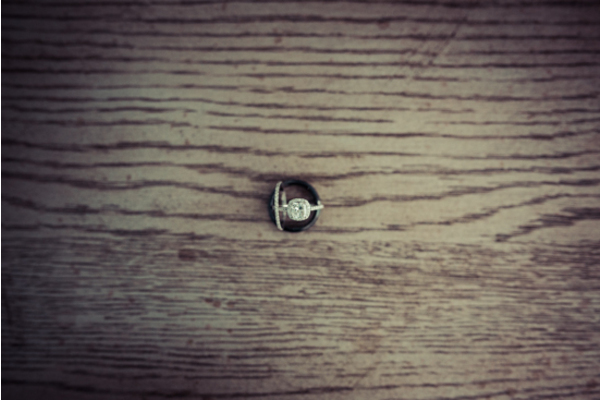 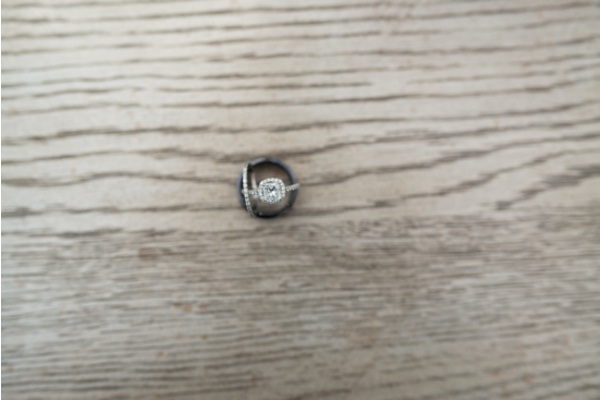 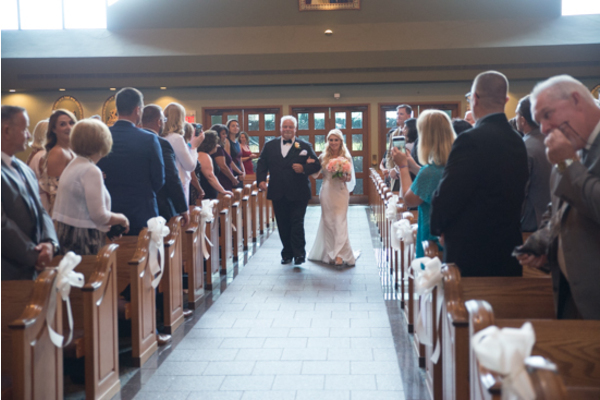 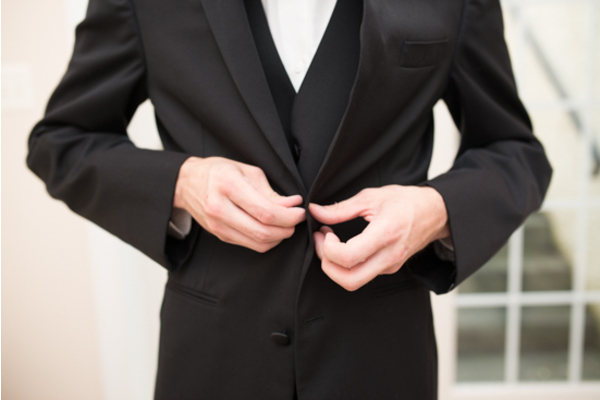 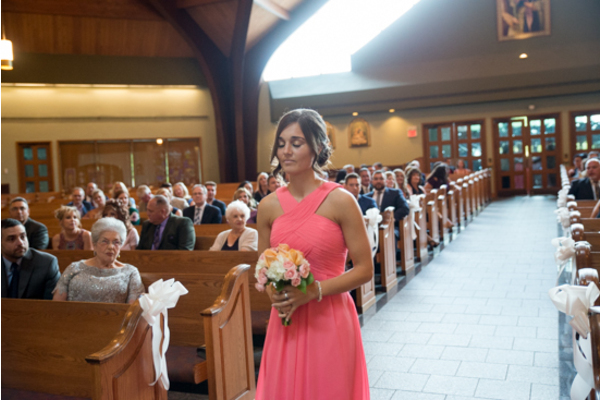 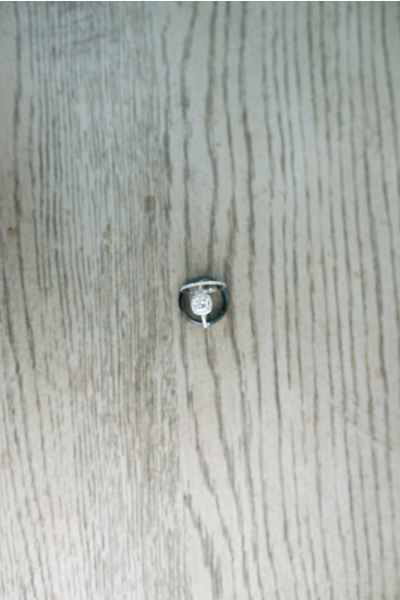 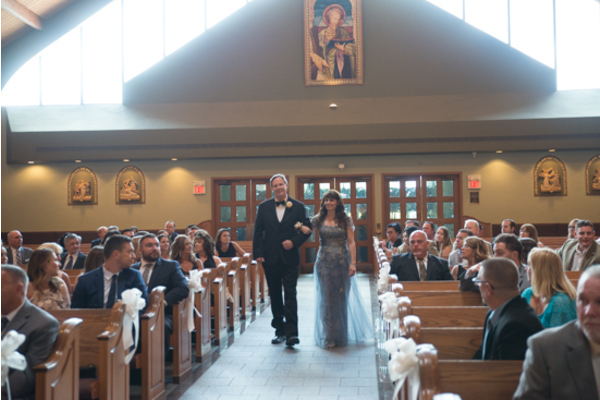 Ashley linked arms with her father and made her way up the aisle towards Scott. 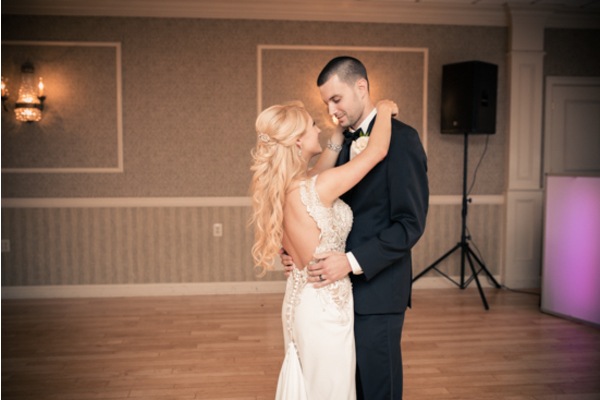 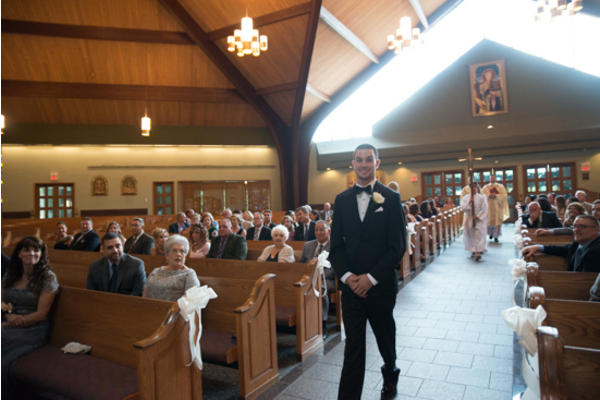 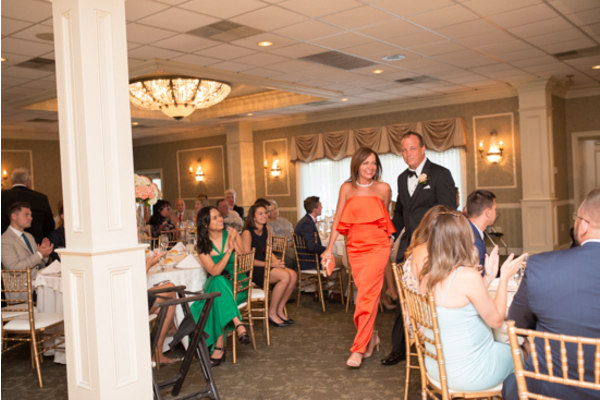 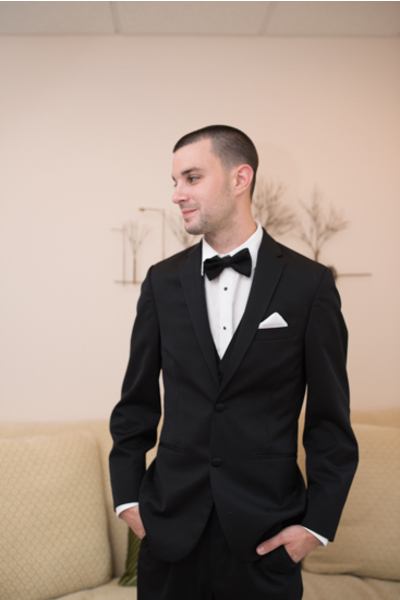 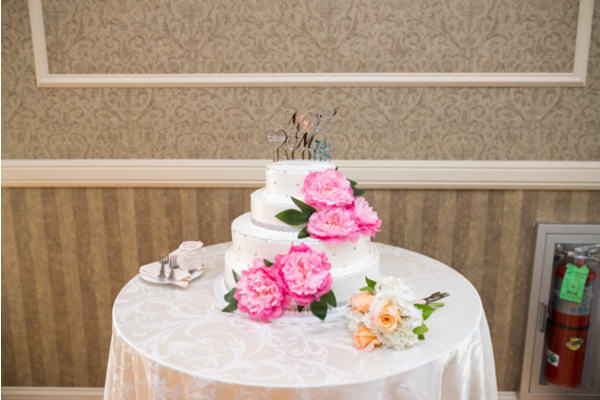 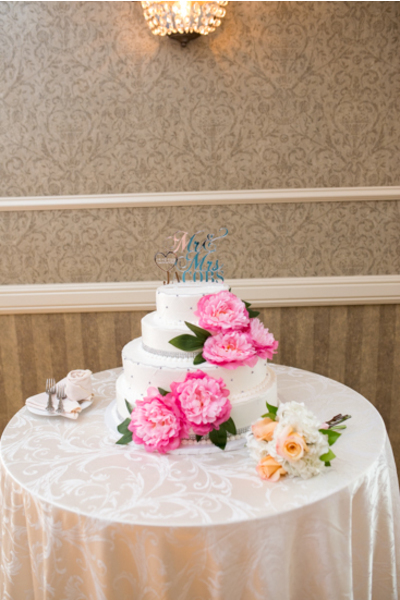 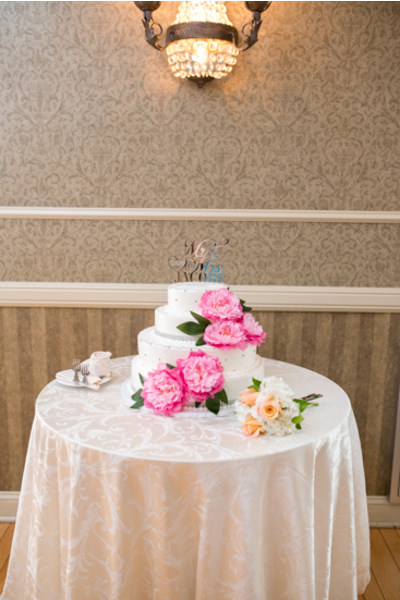 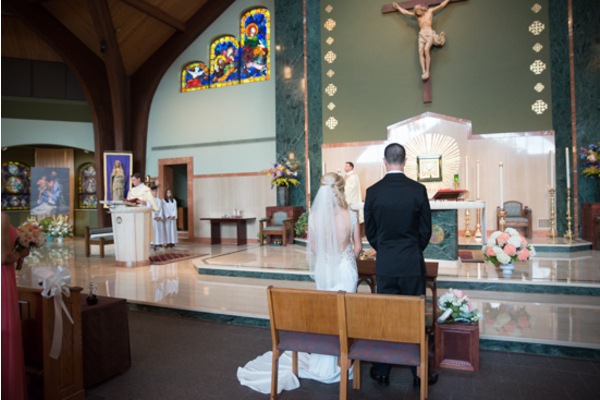 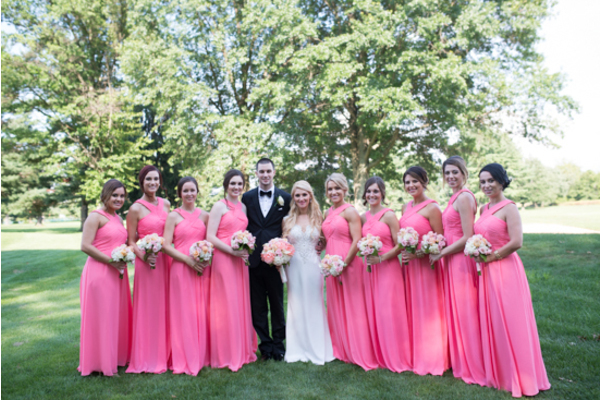 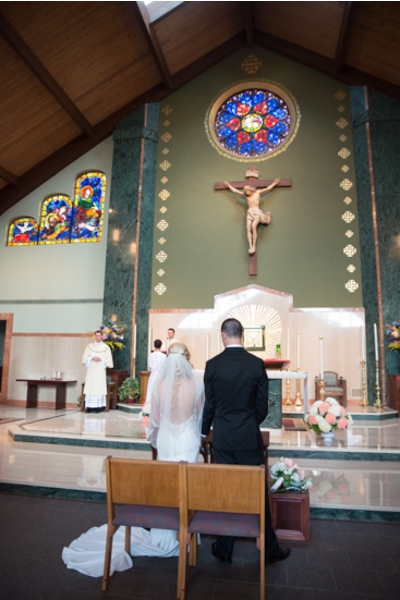 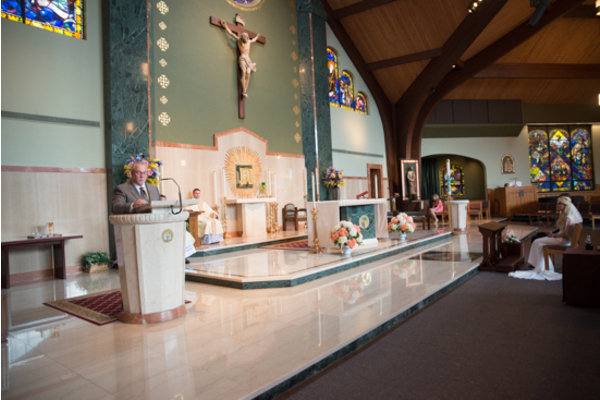 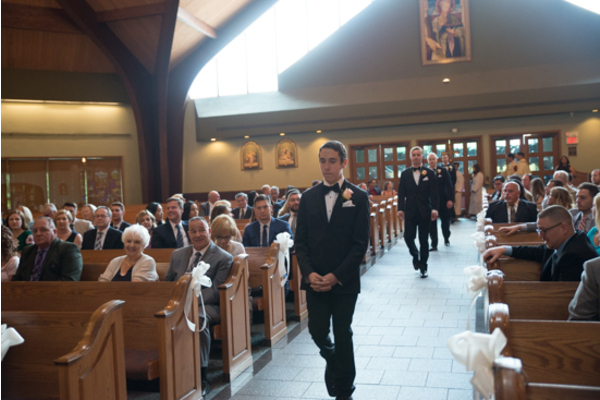 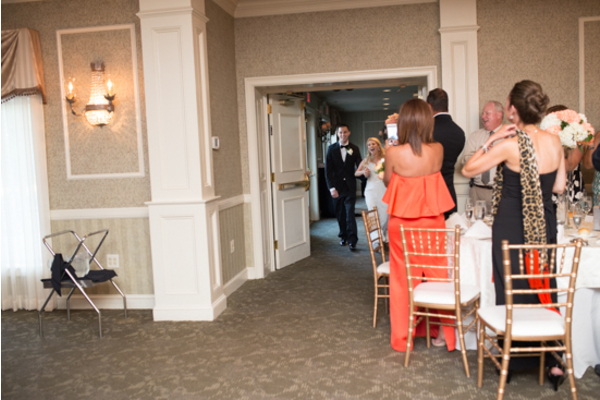 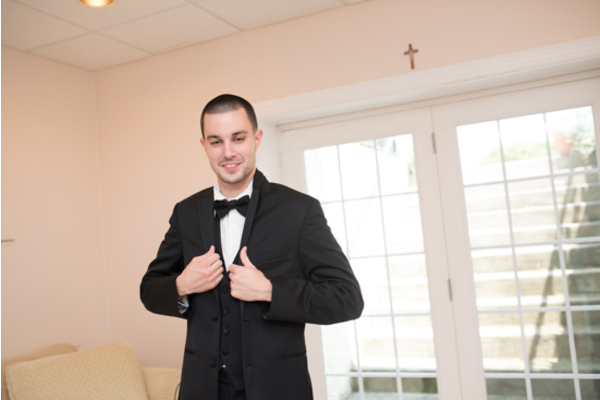 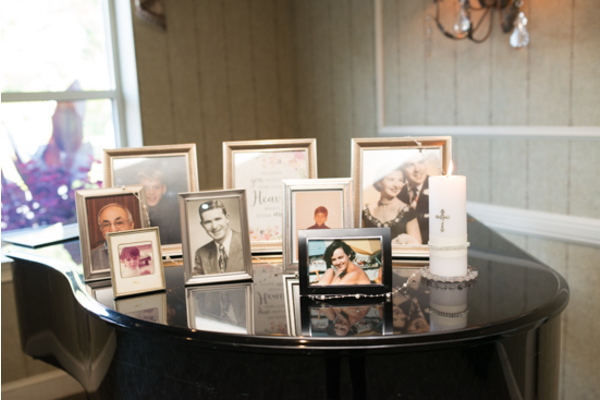 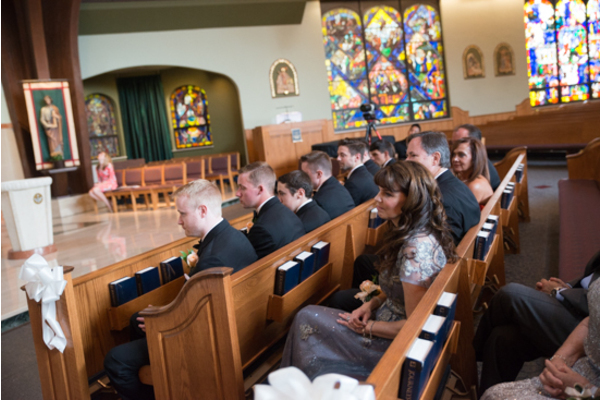 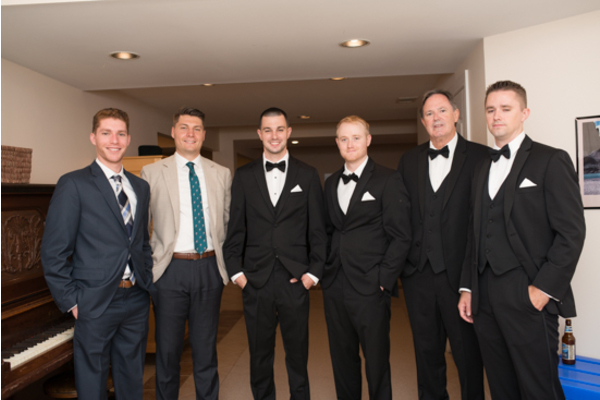 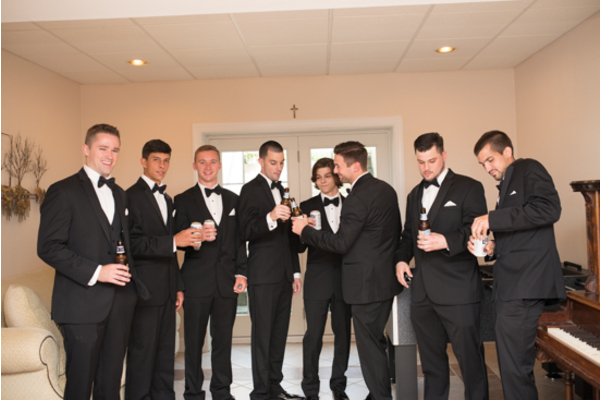 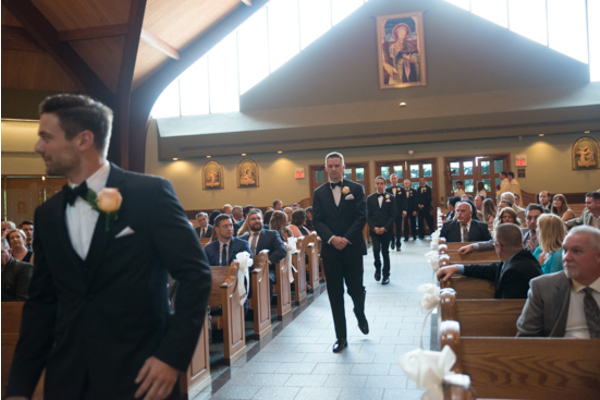 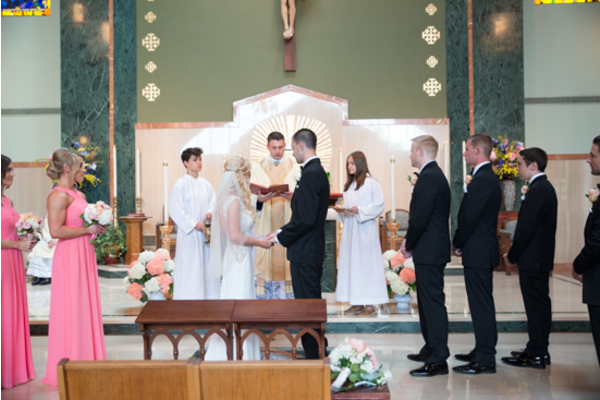 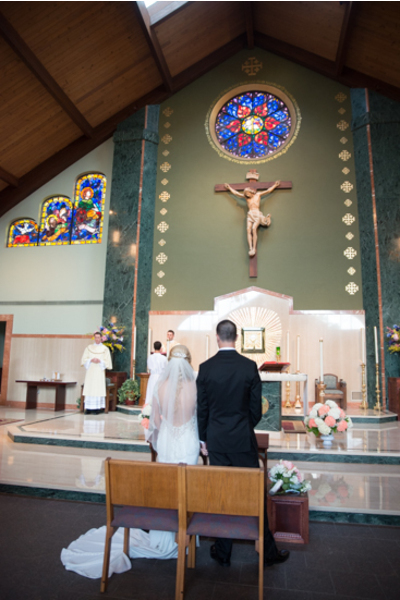 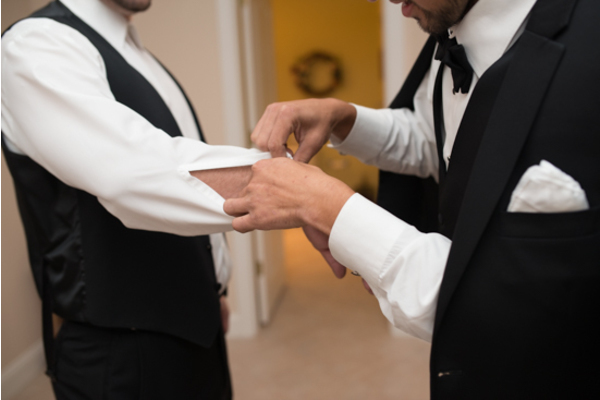 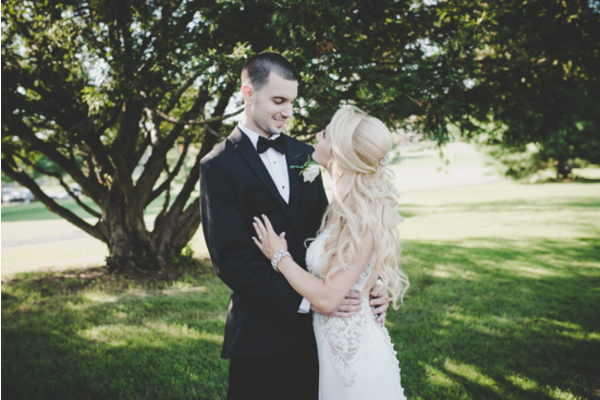 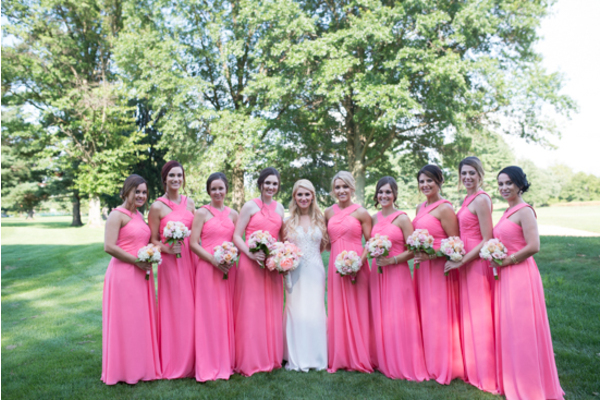 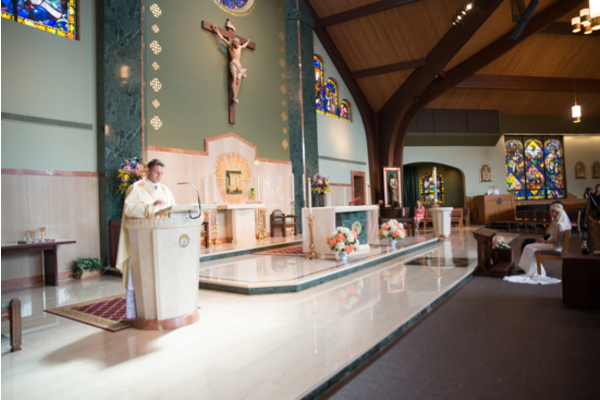 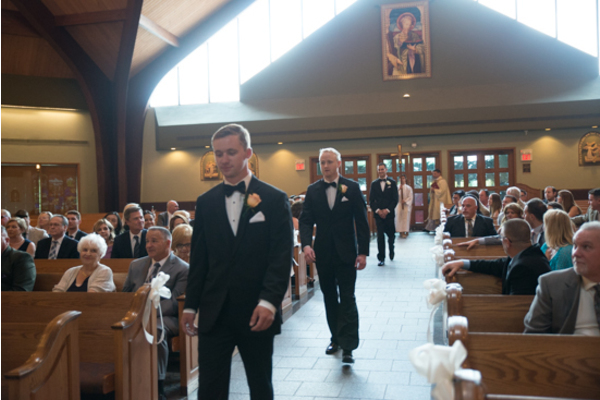 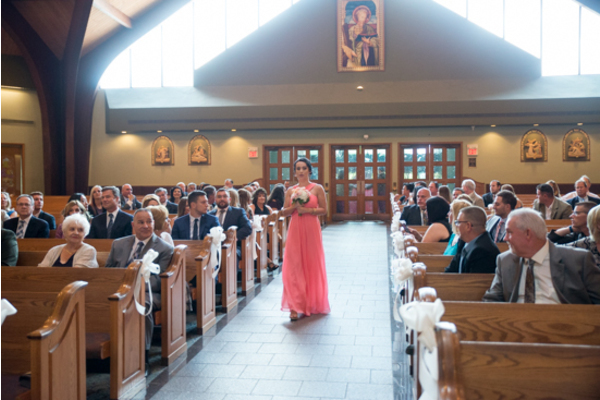 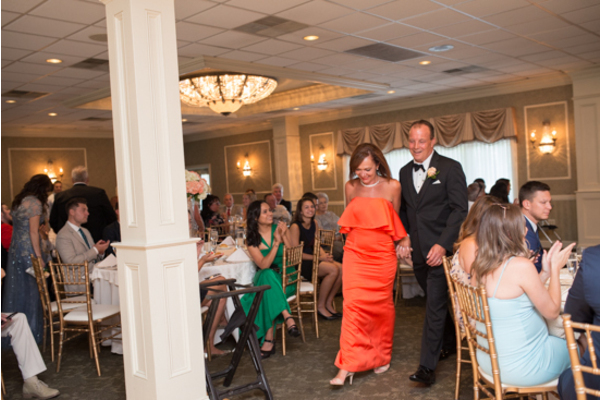 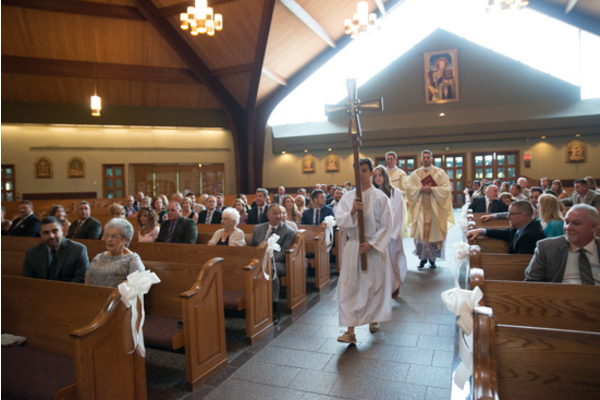 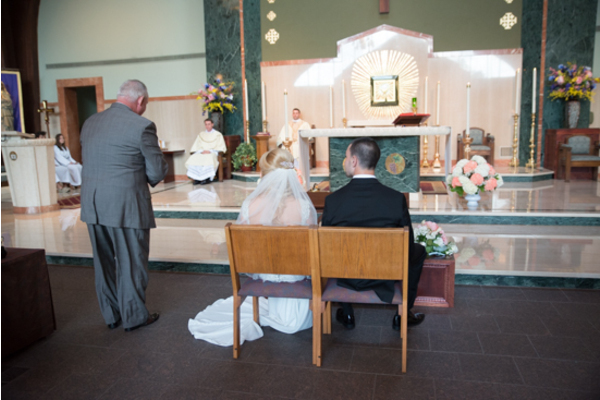 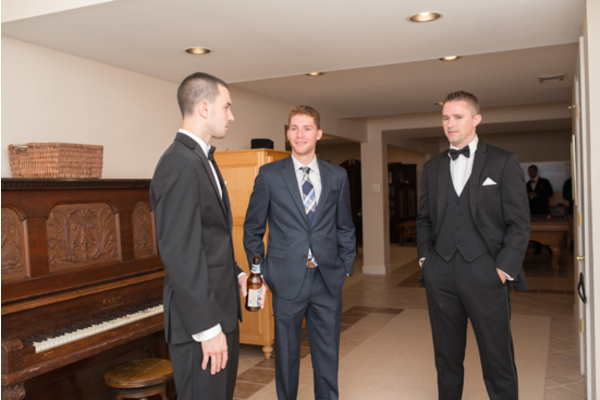 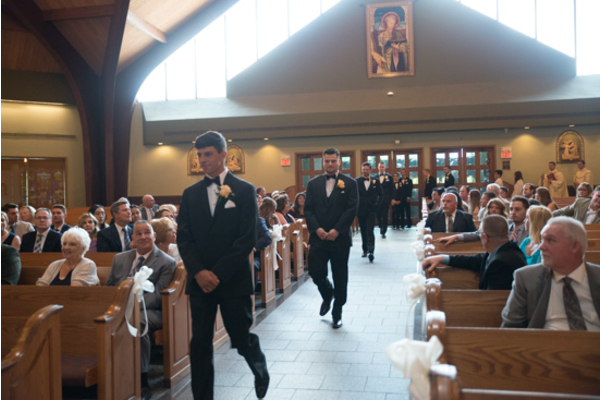 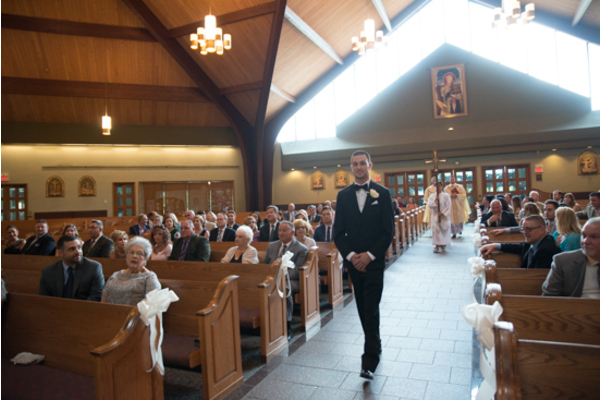 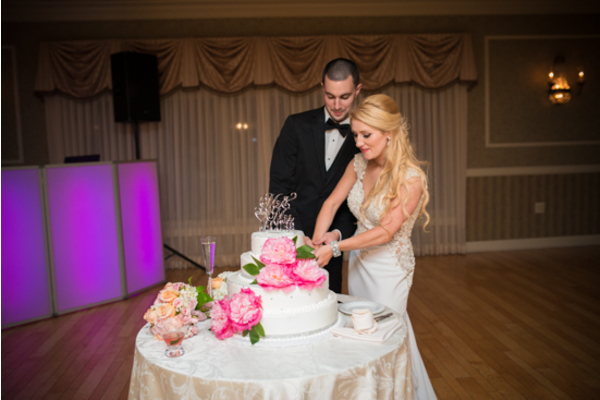 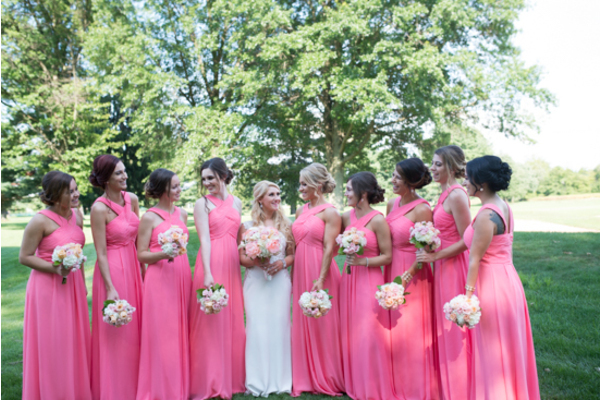 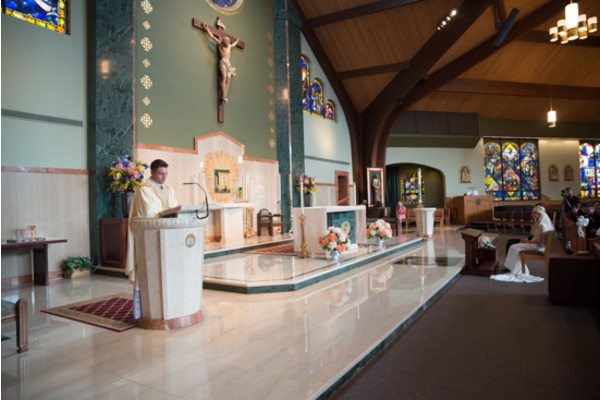 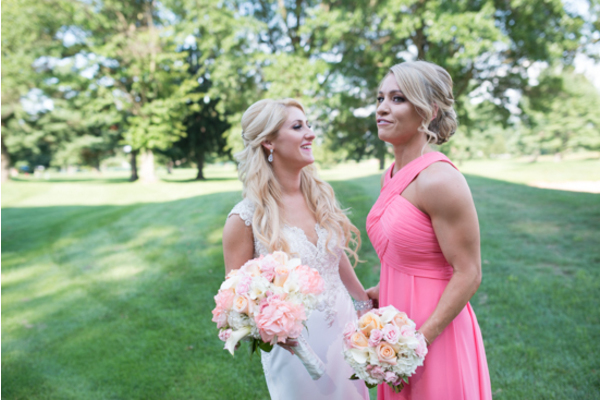 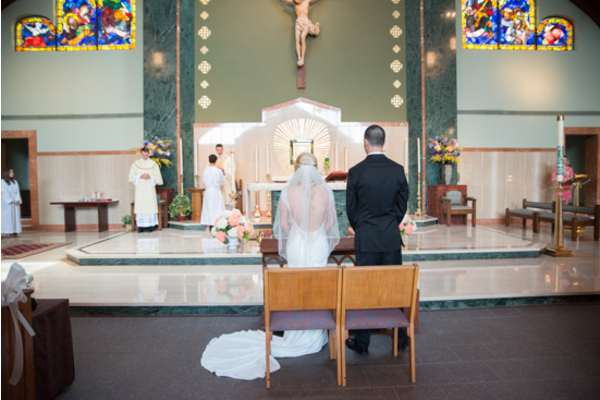 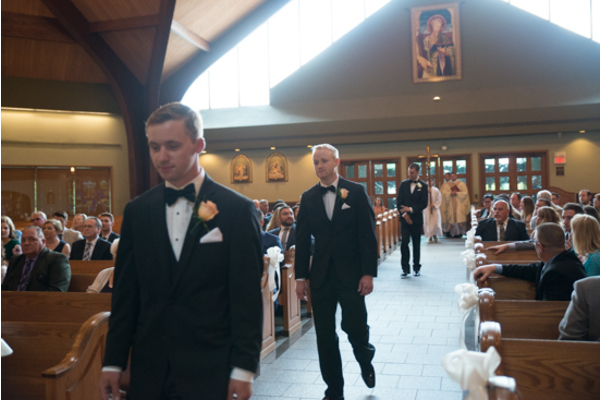 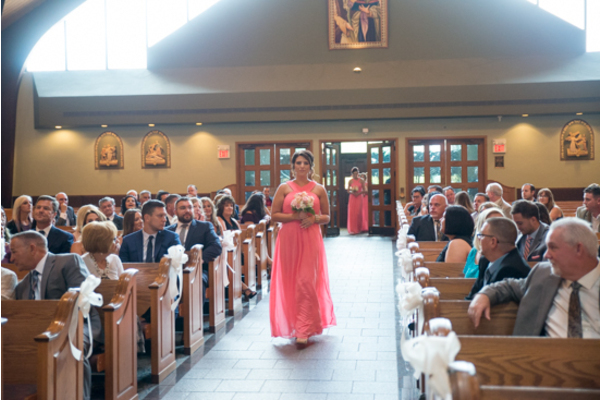 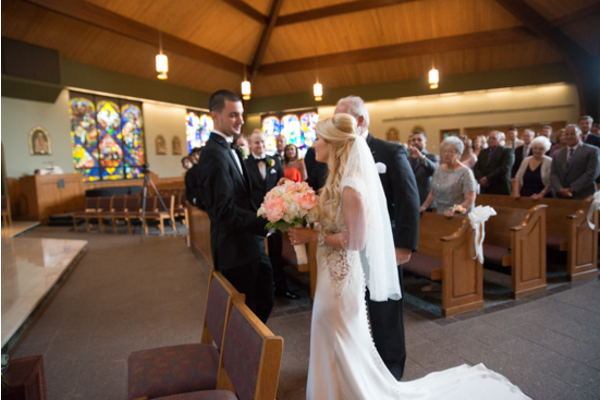 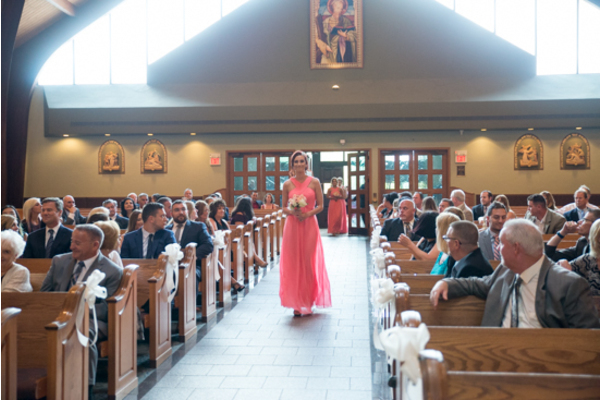 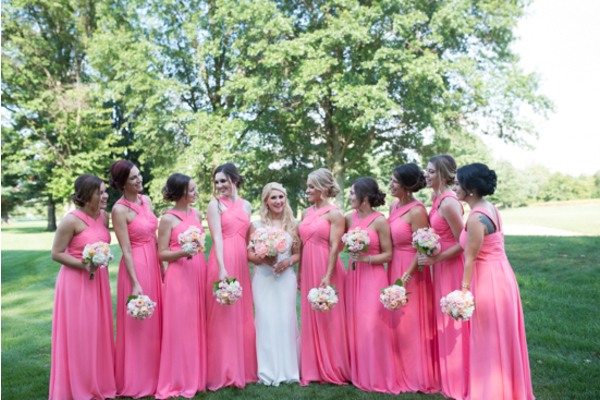 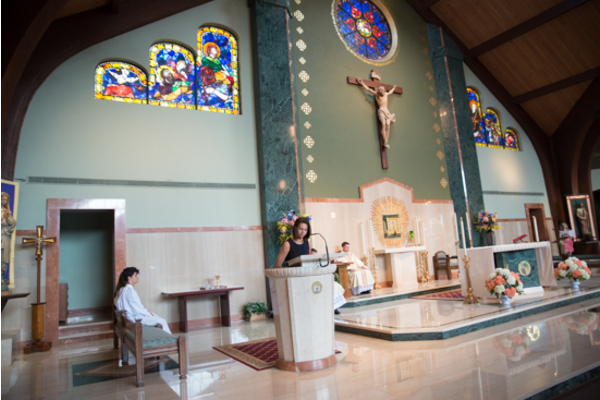 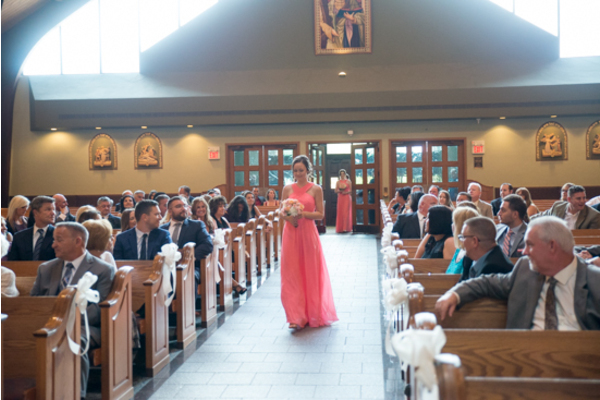 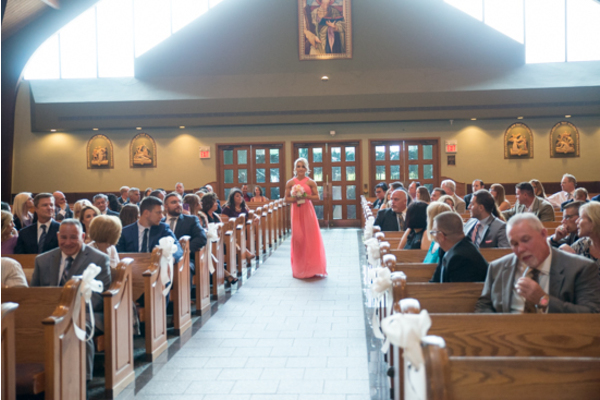 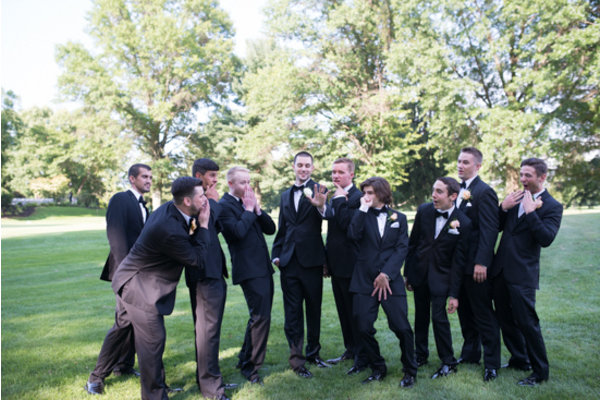 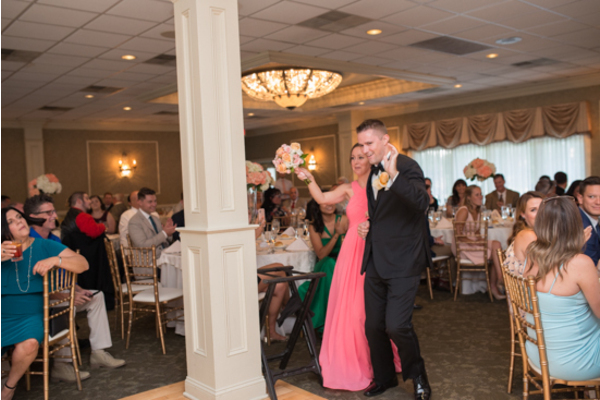 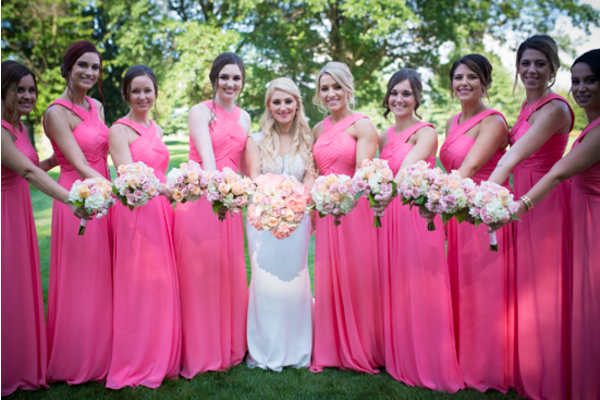 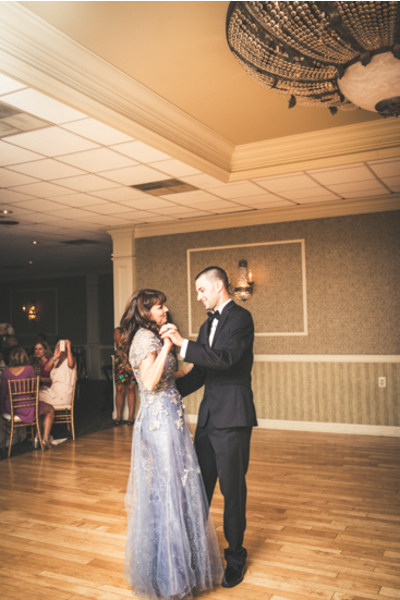 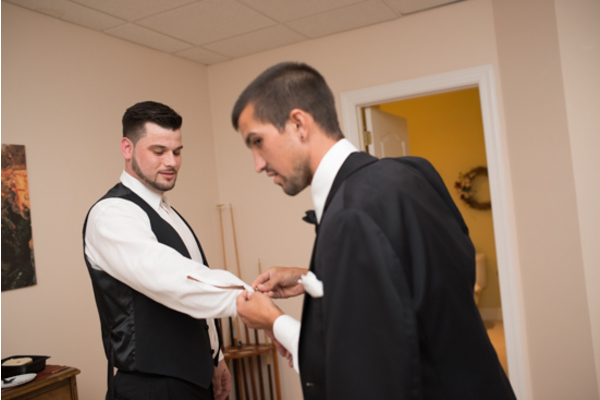 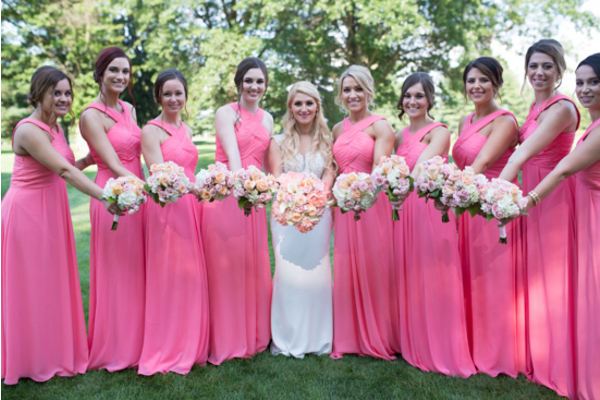 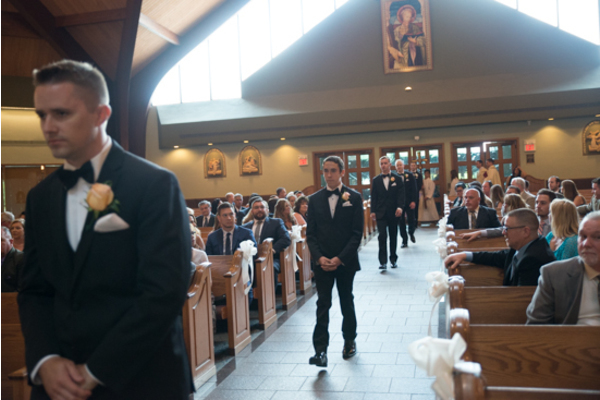 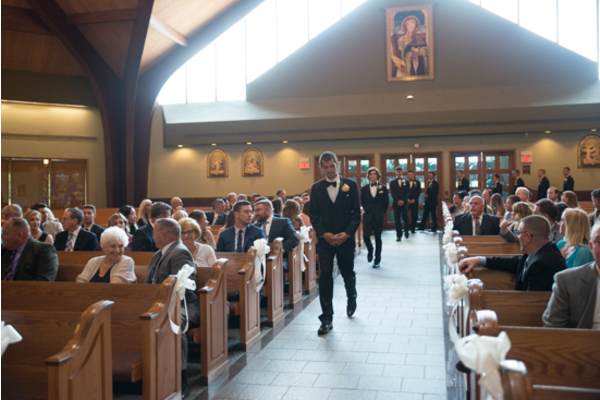 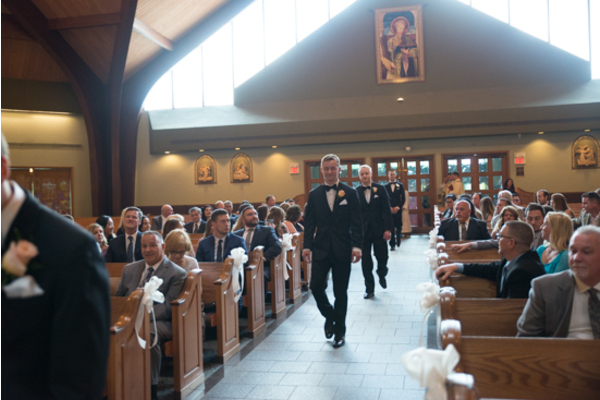 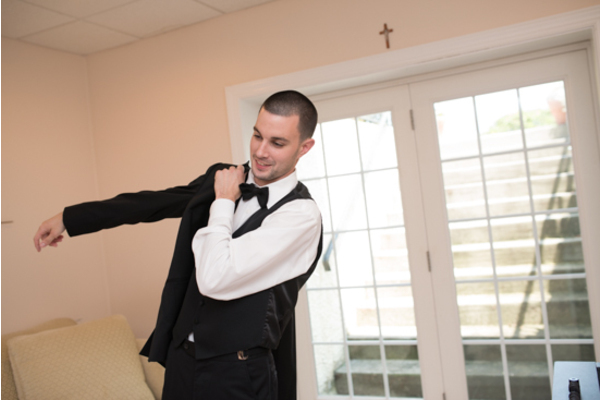 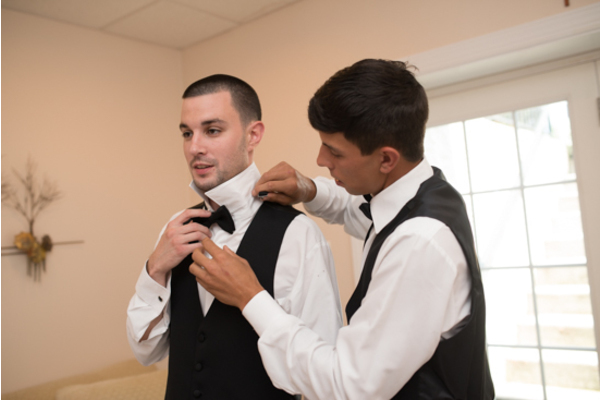 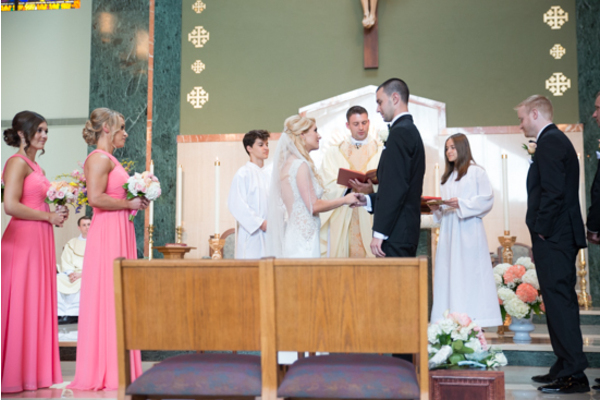 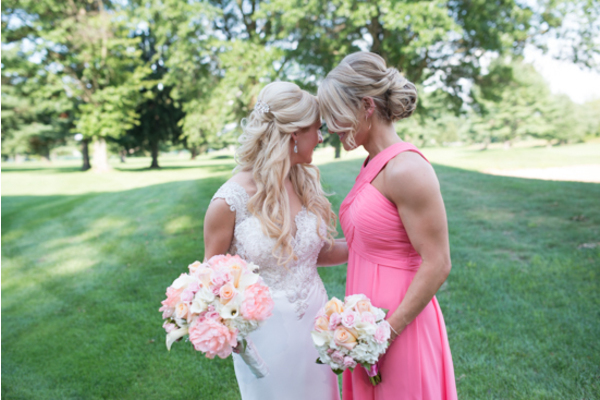 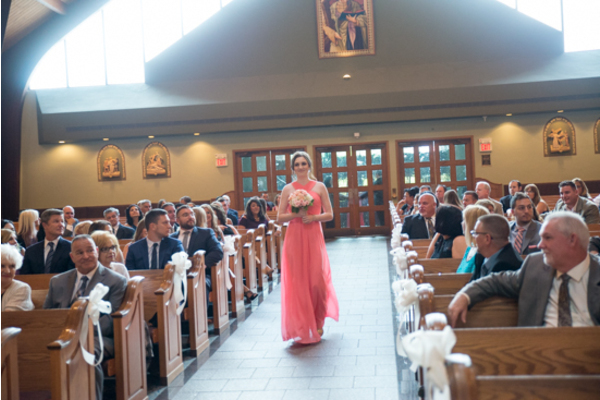 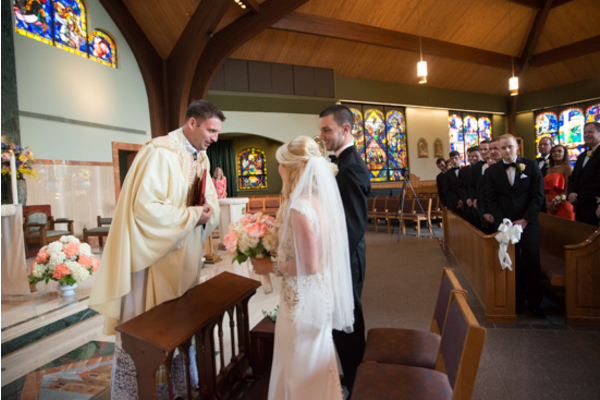 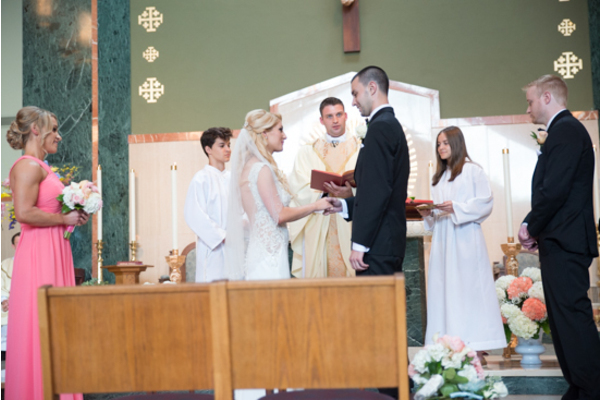 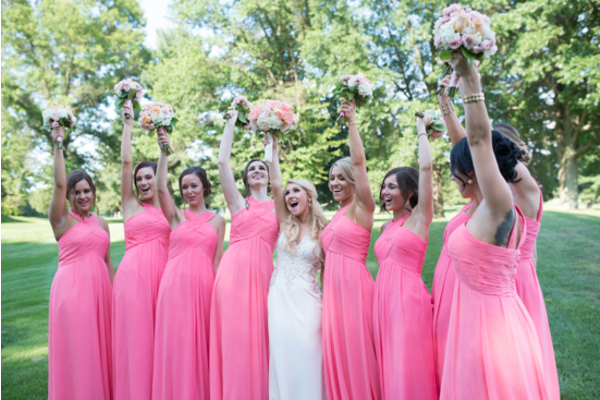 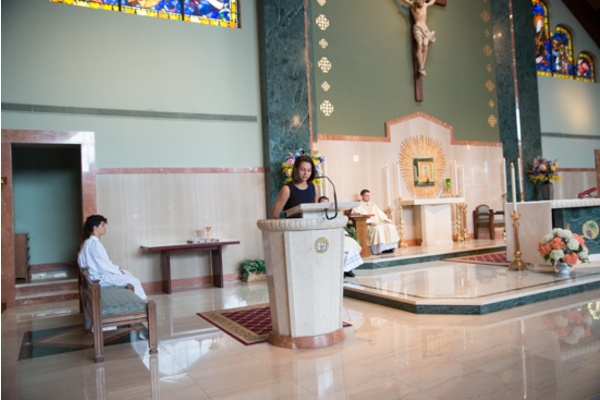 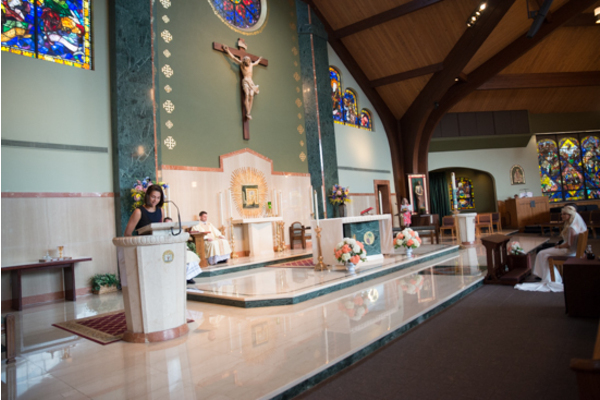 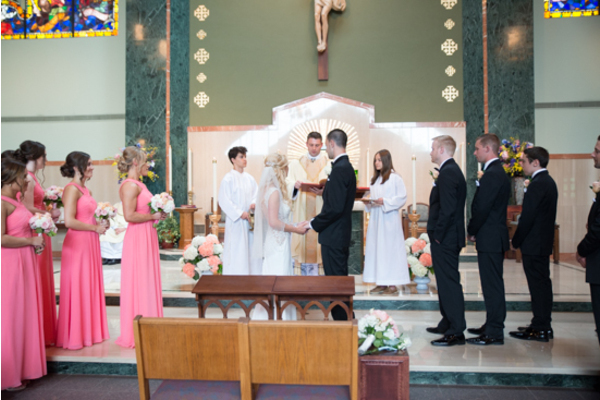 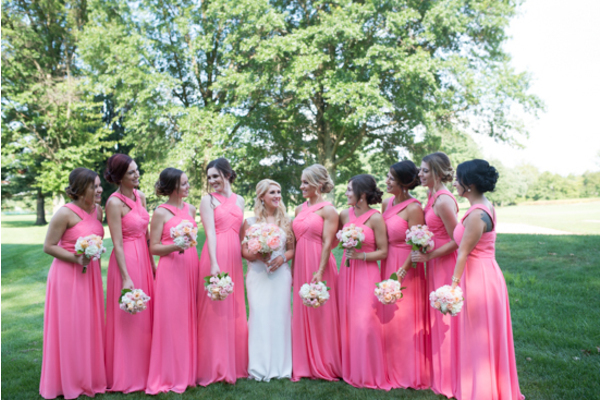 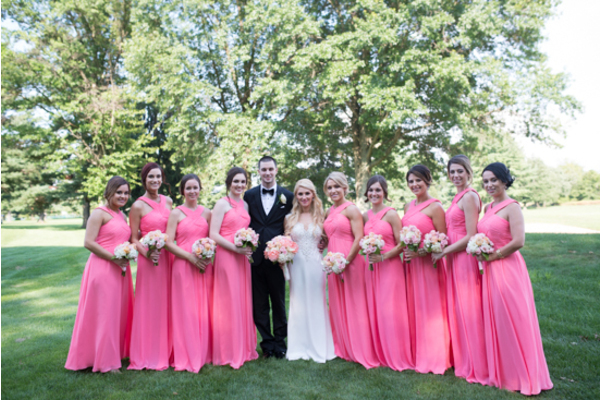 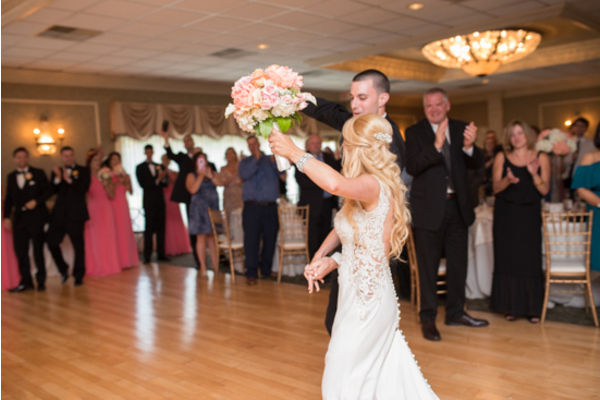 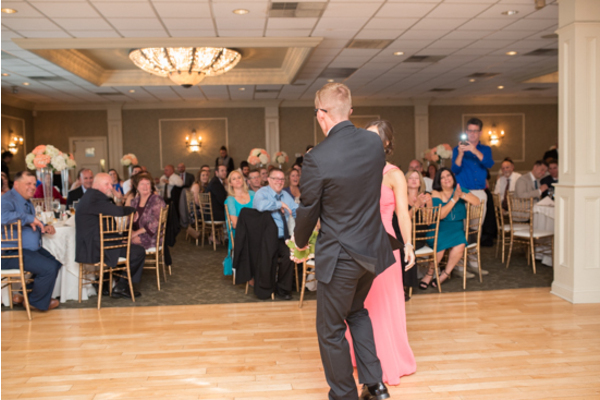 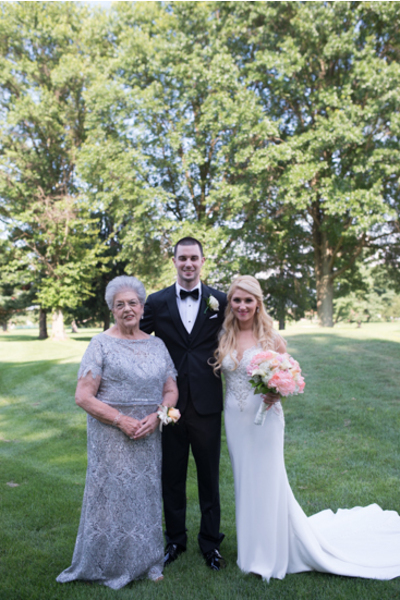 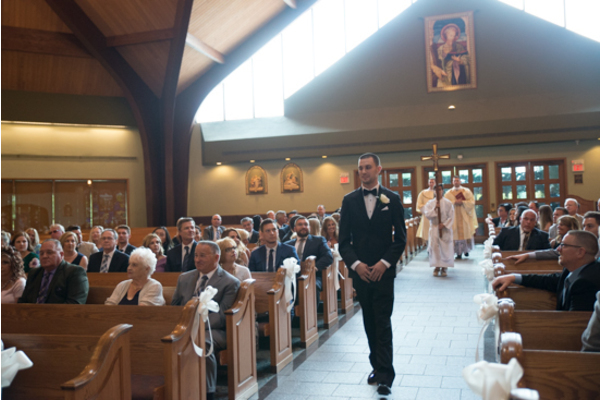 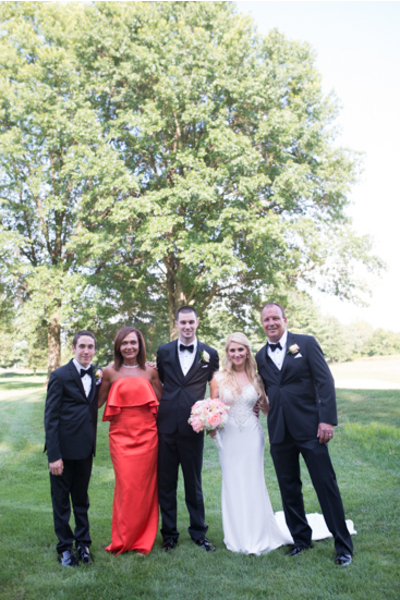 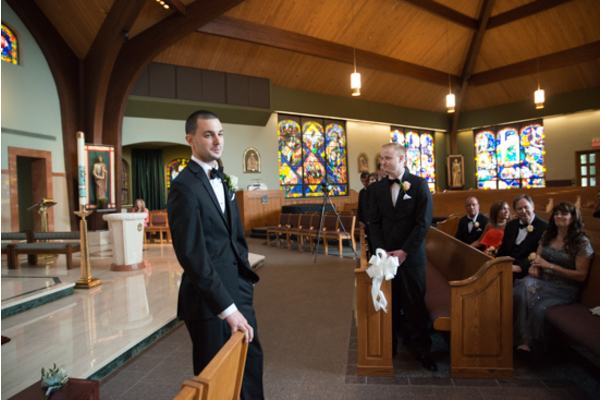 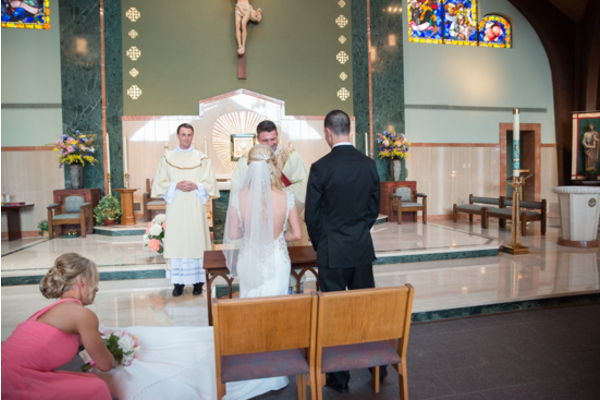 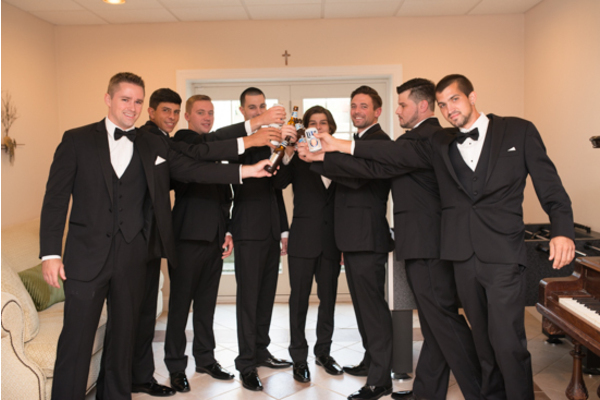 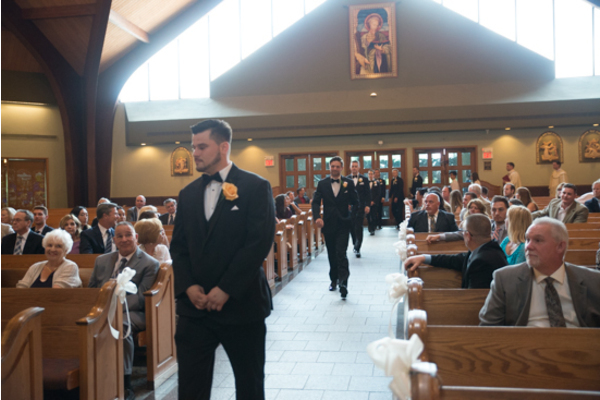 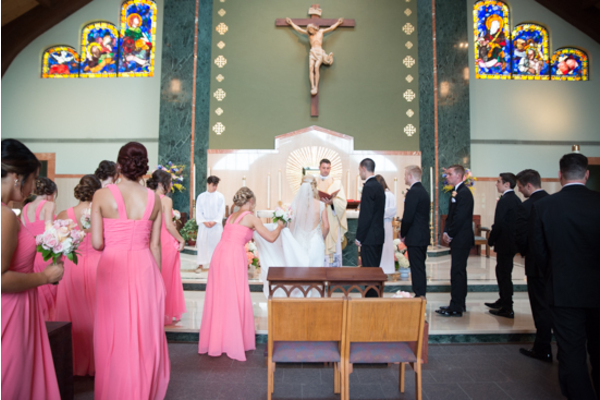 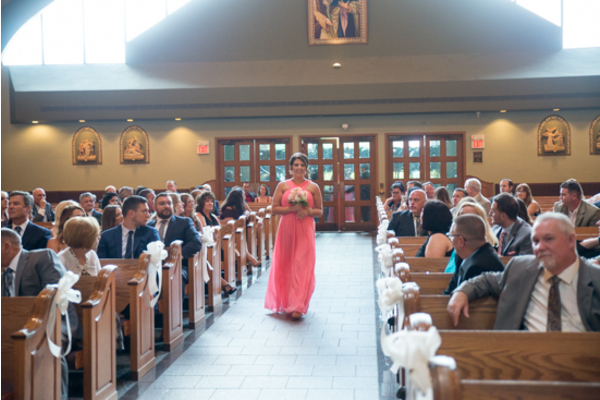 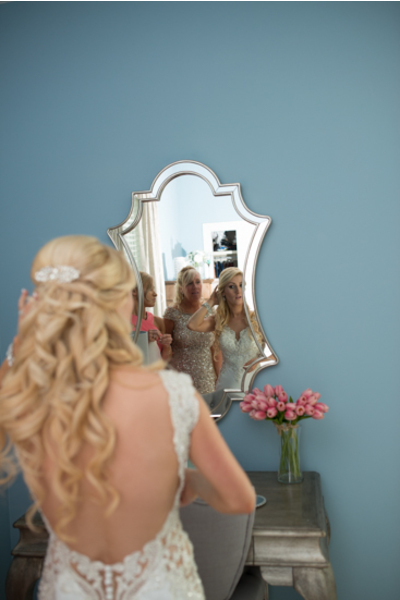 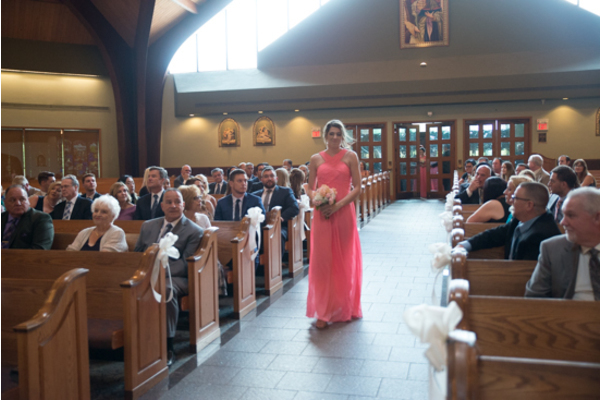 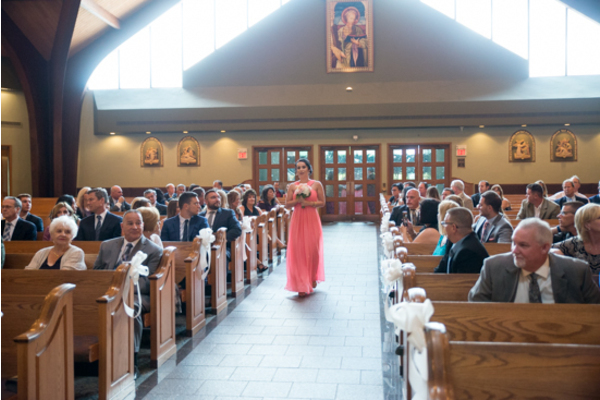 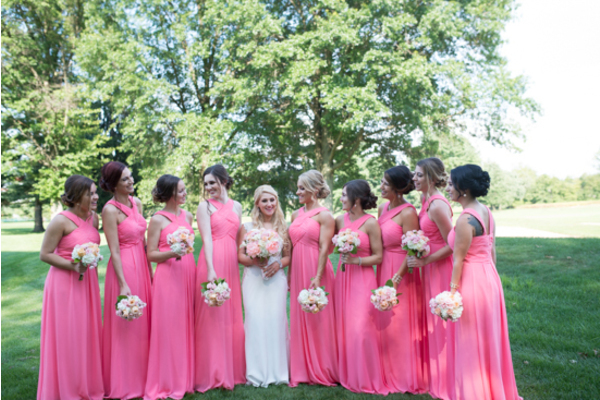 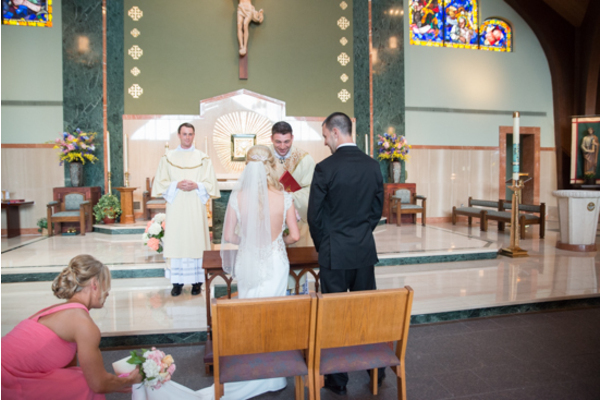 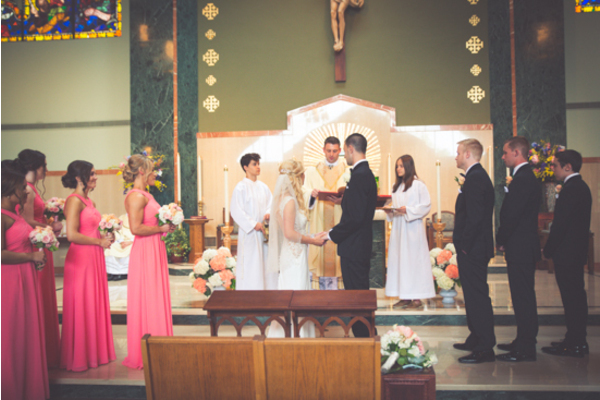 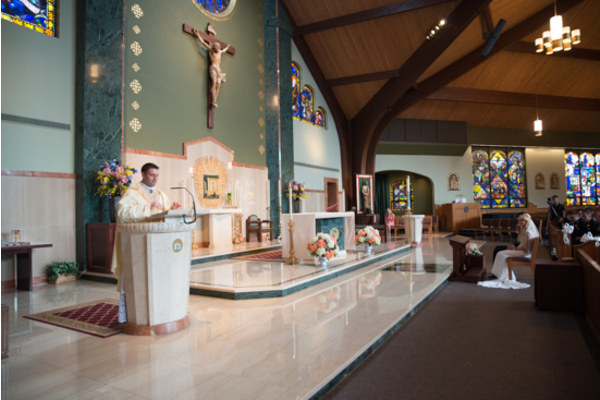 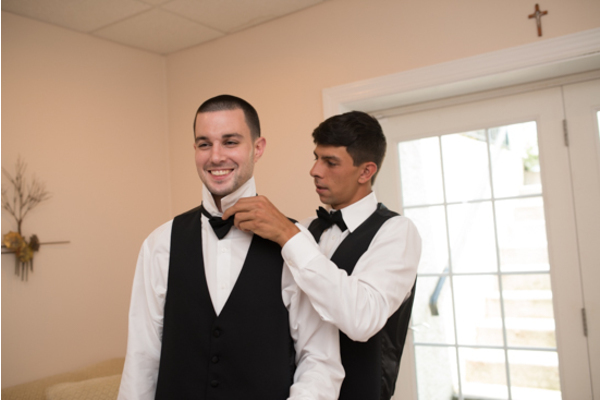 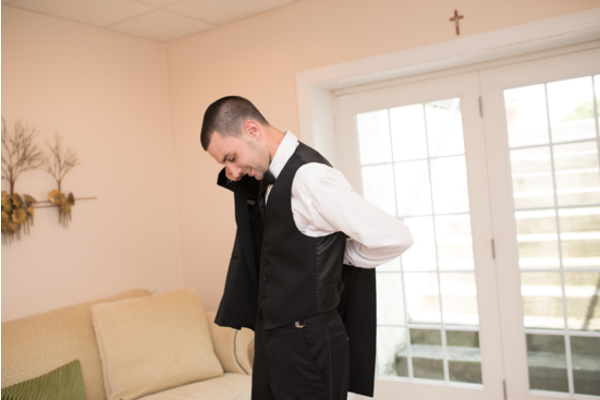 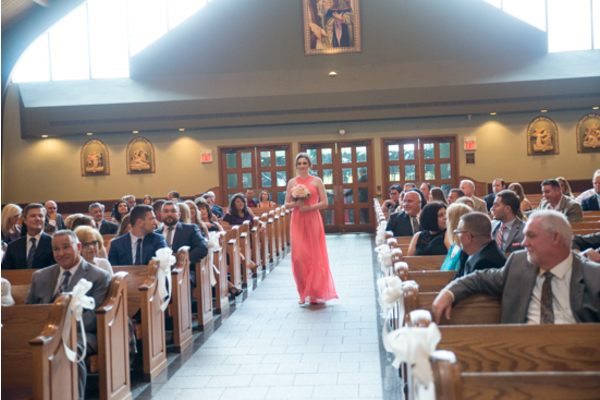 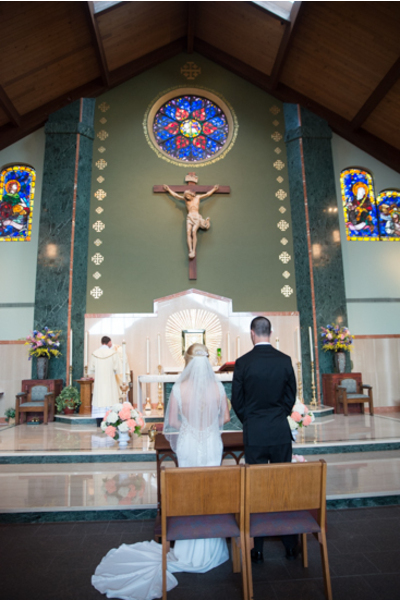 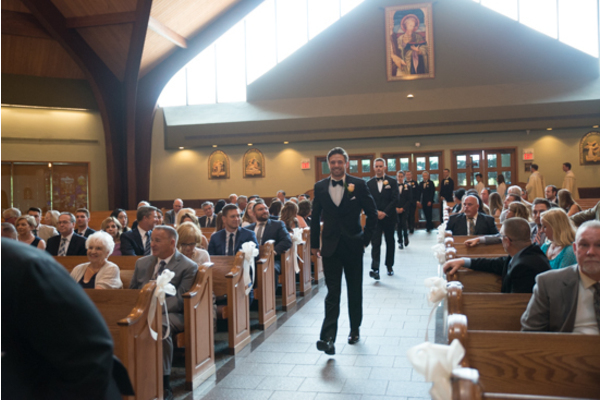 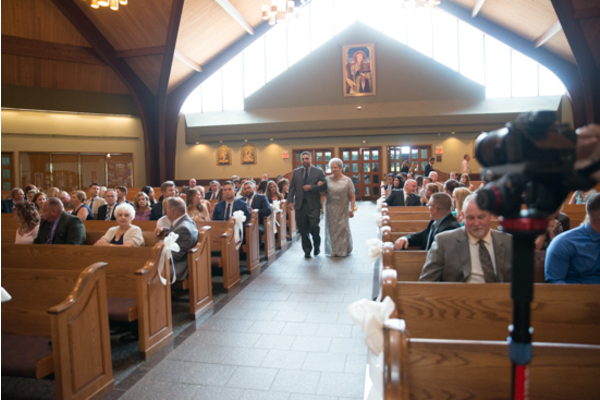 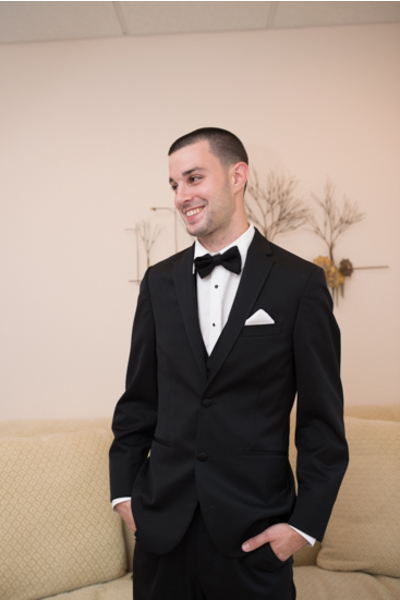 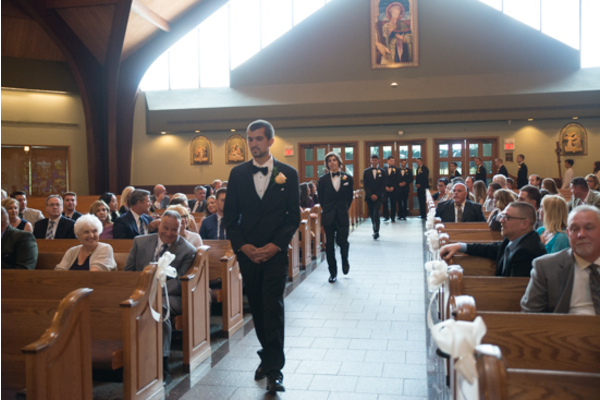 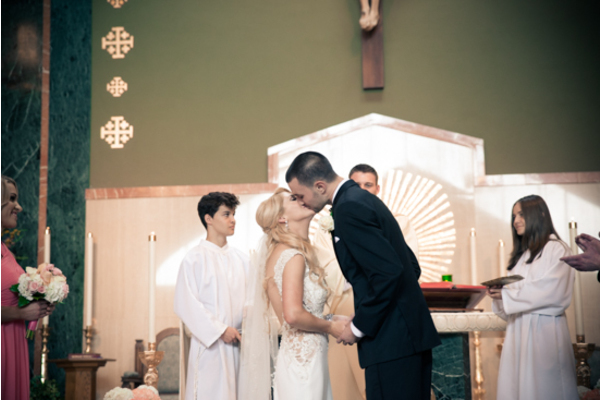 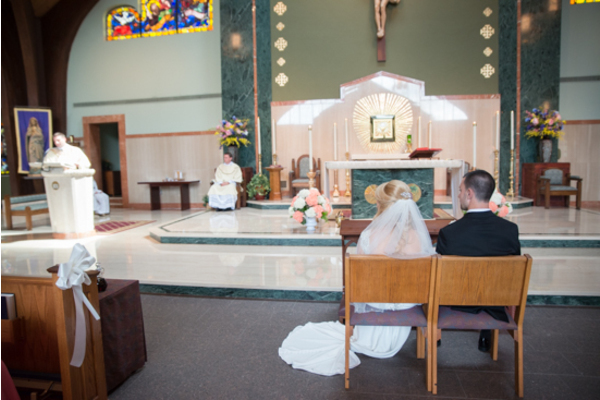 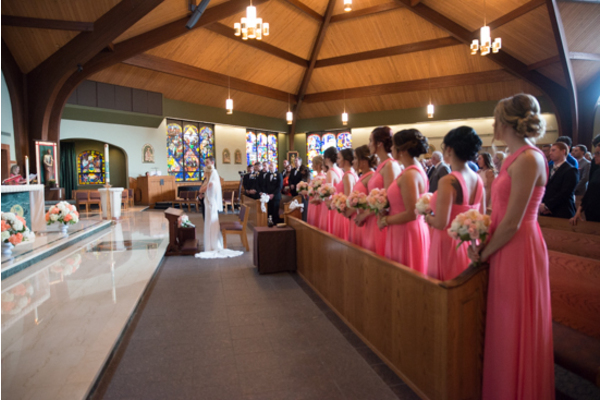 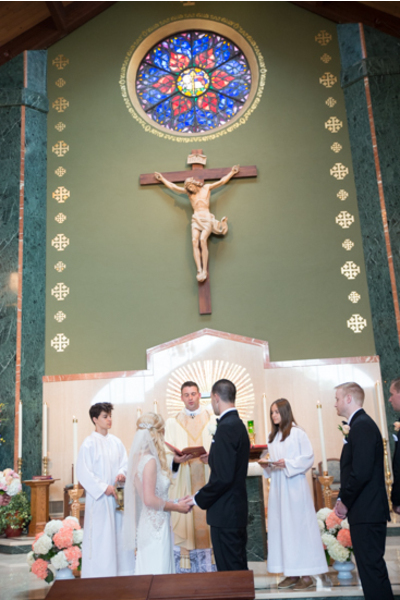 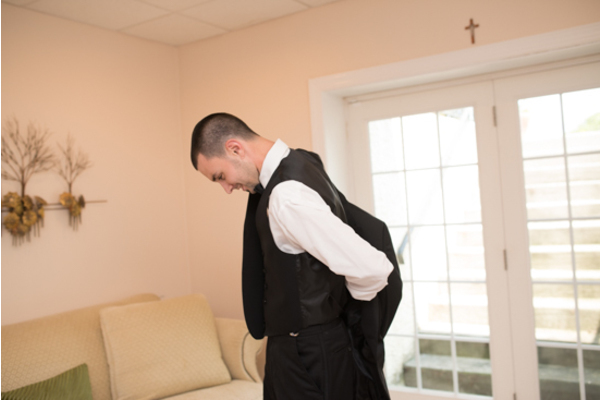 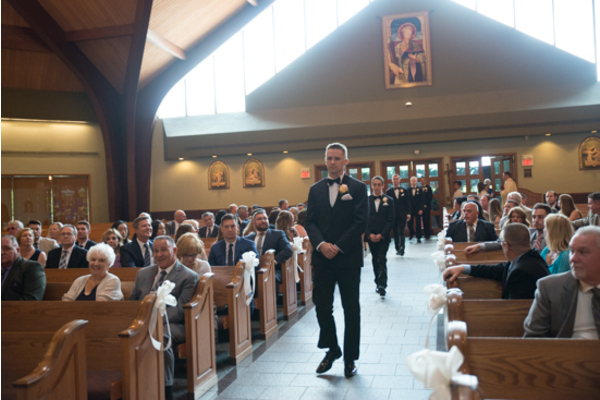 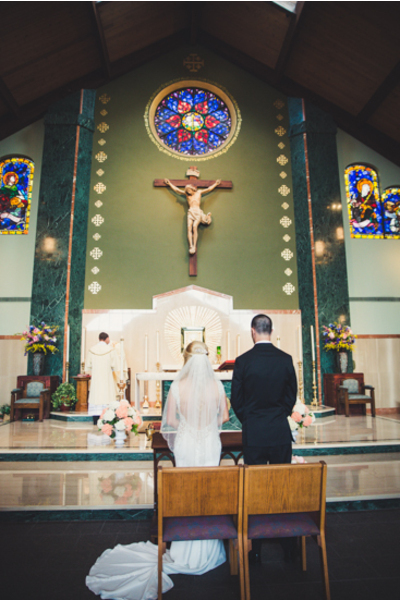 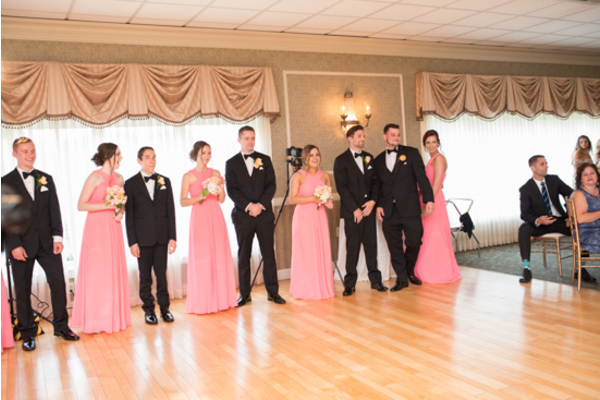 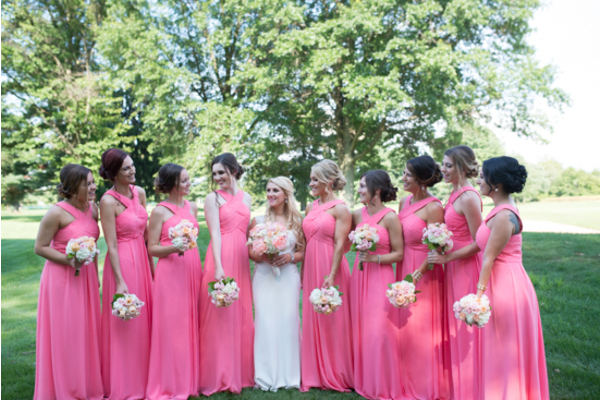 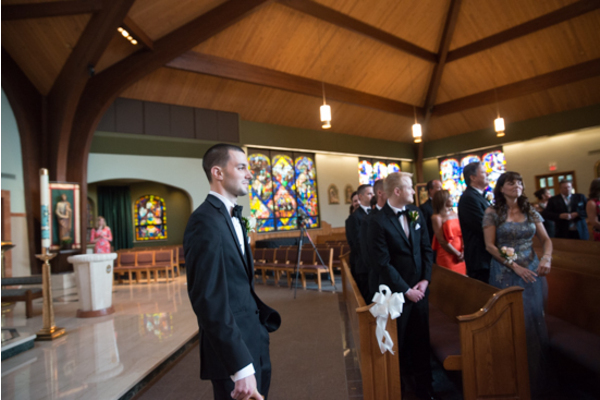 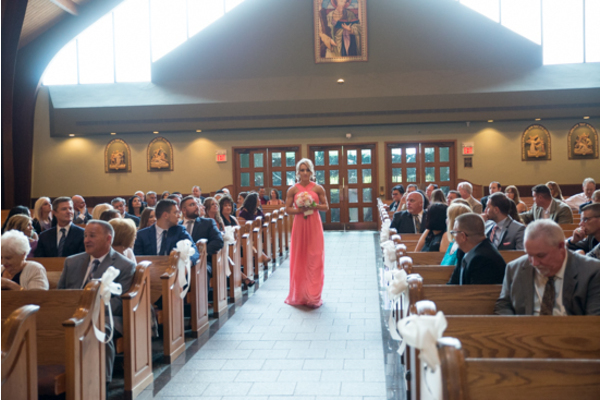 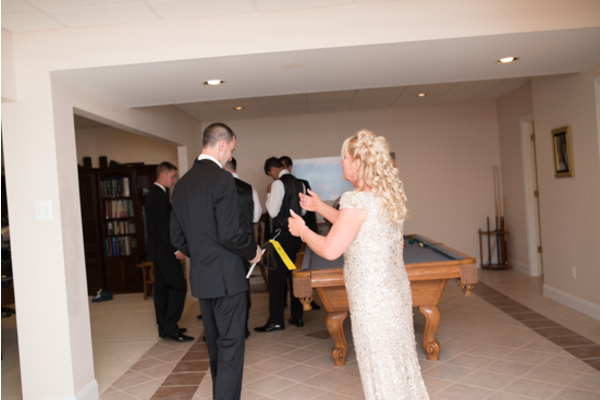 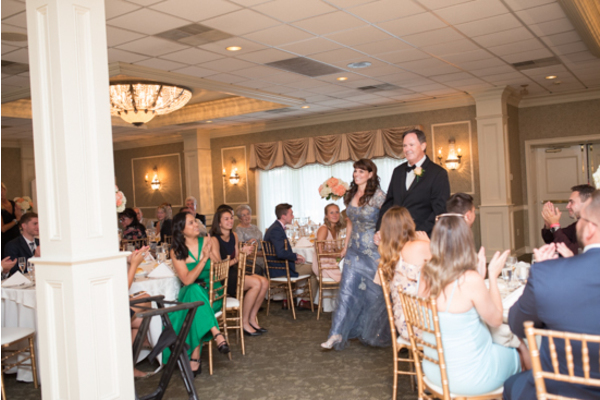 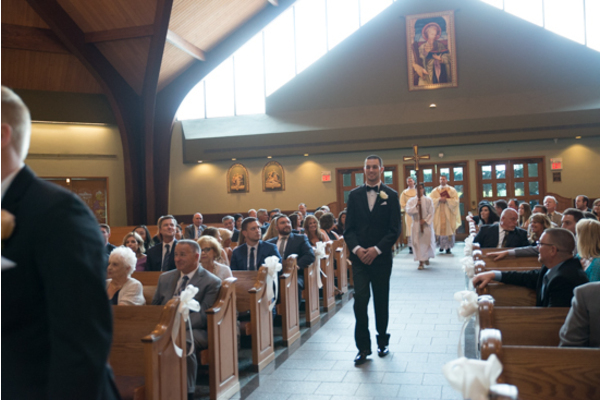 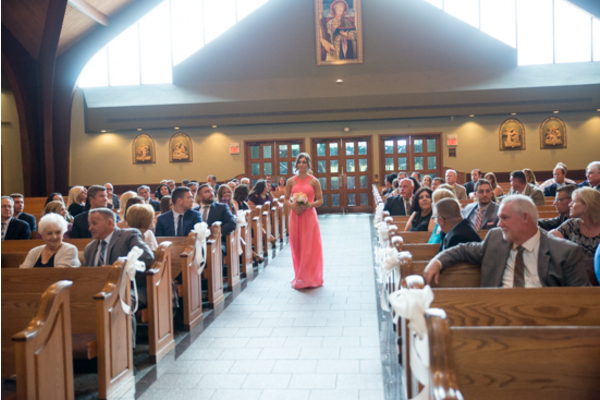 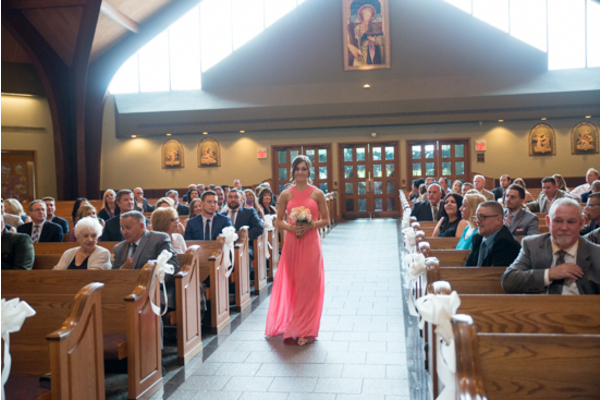 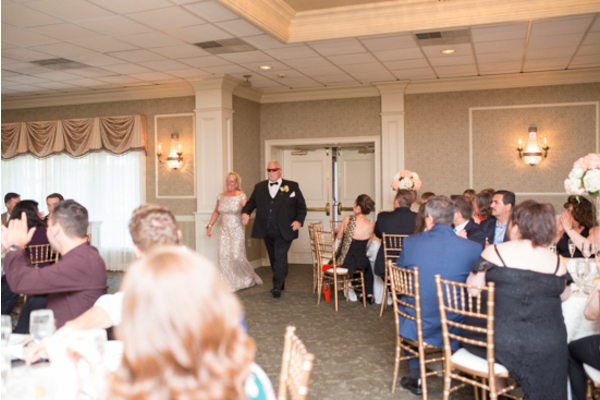 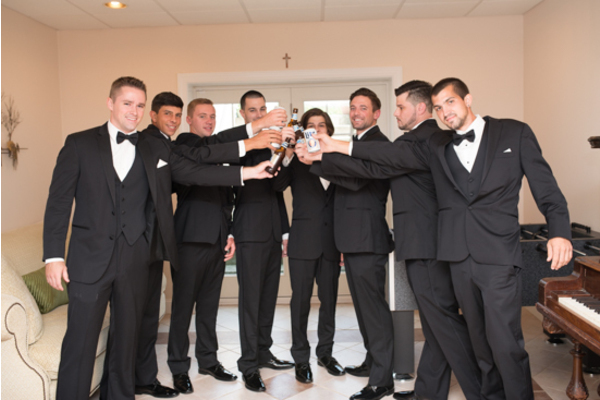 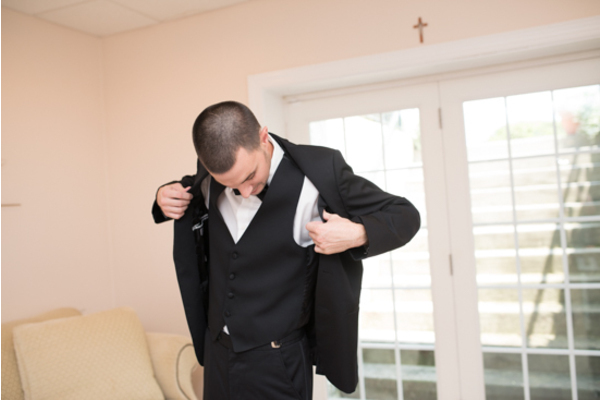 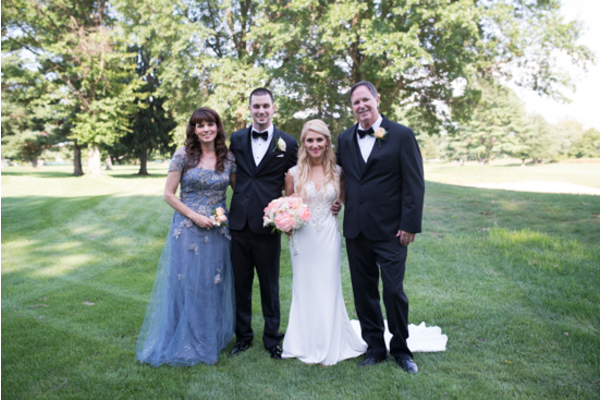 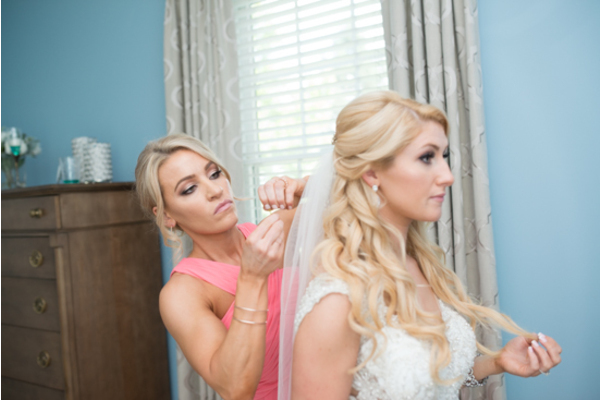 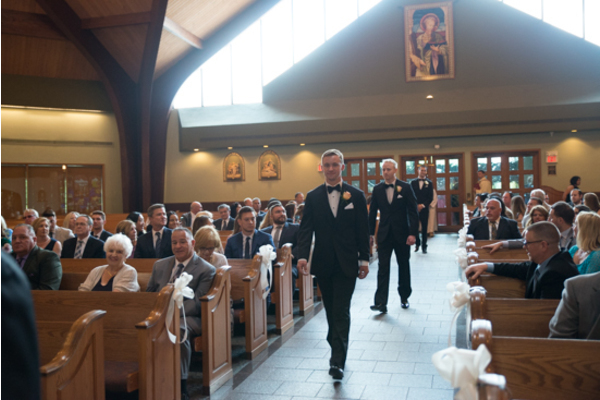 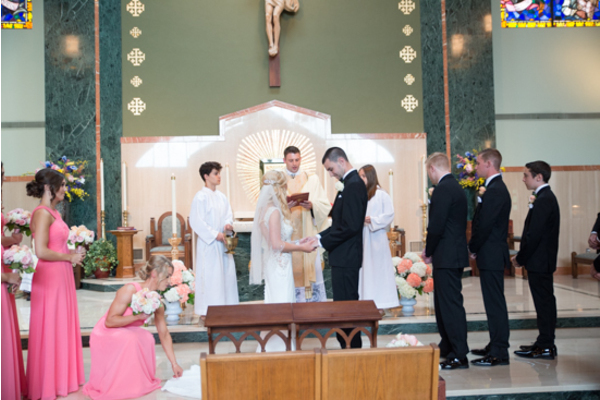 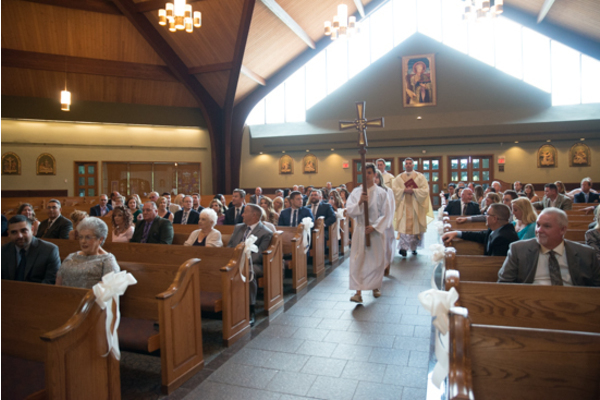 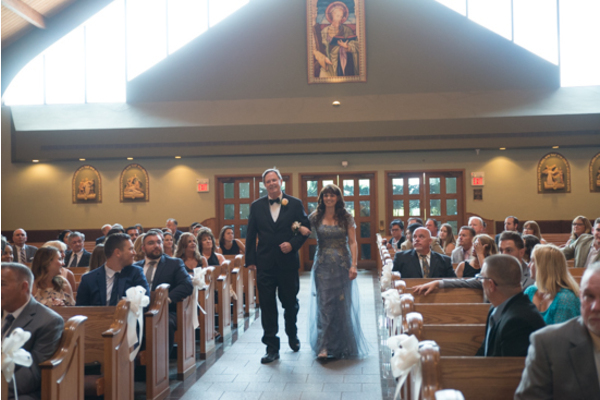 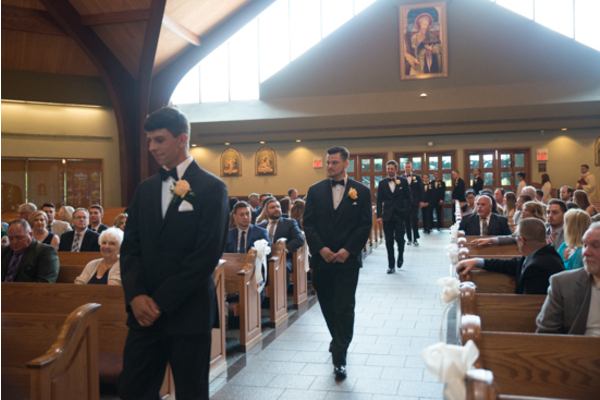 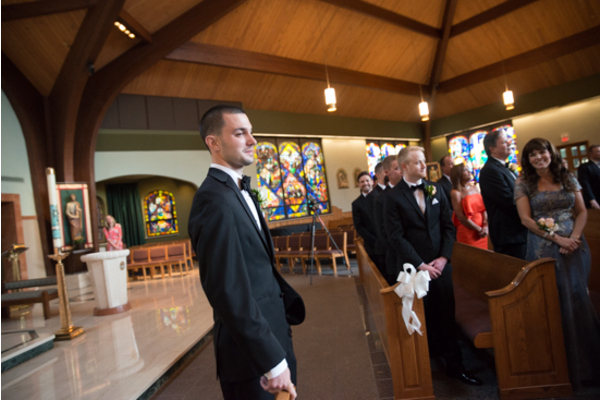 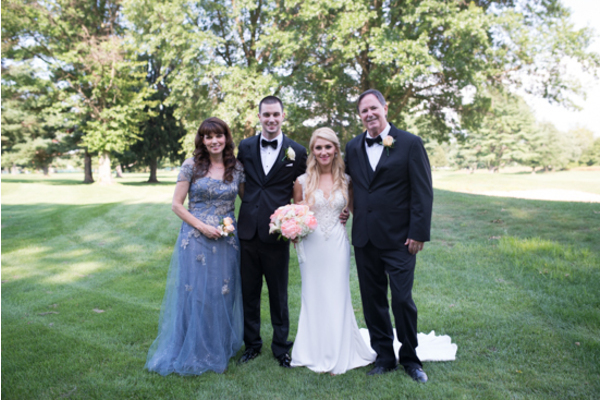 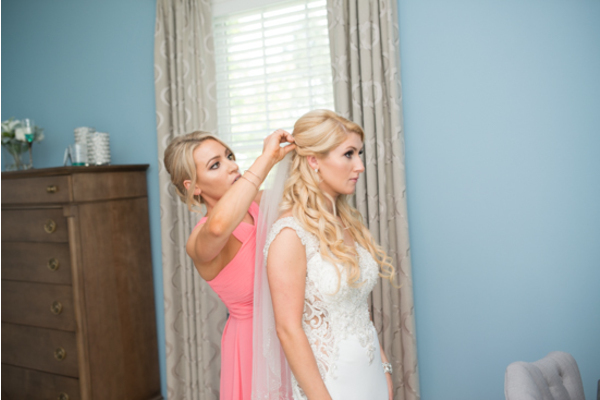 Standing before their loved ones and our NJ Wedding Videographer, the couple exchanged promises of love and loyalty. 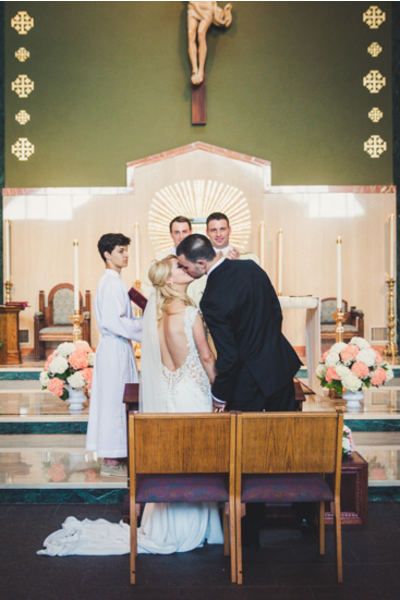 Finally, their love was sealed with a kiss to close the touching ceremony! 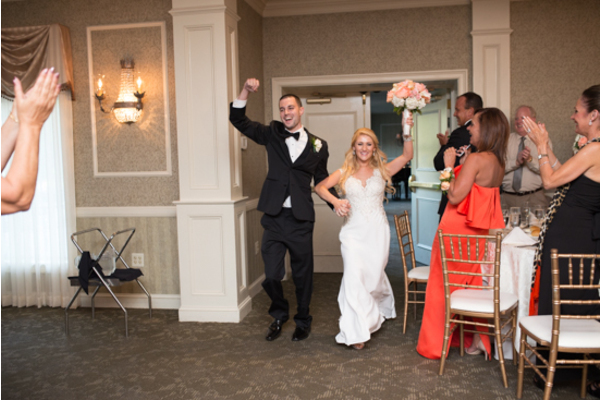 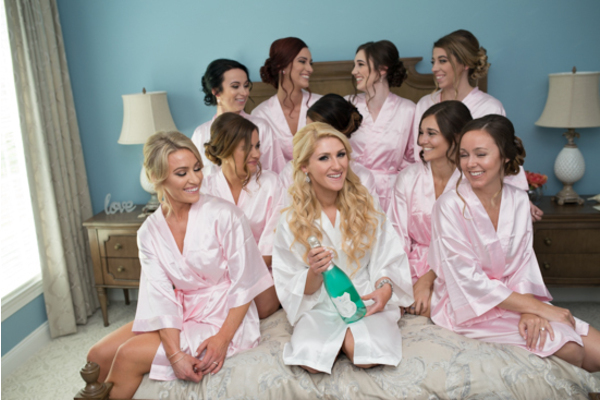 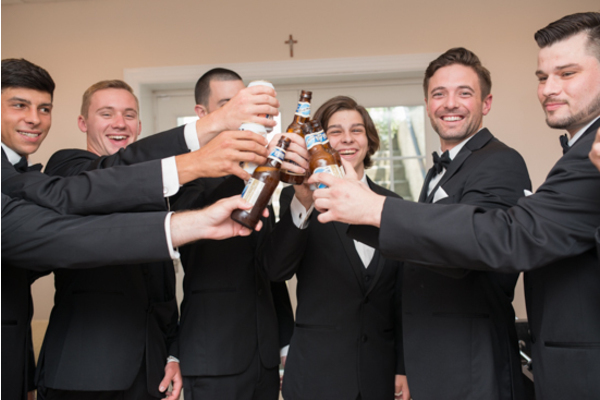 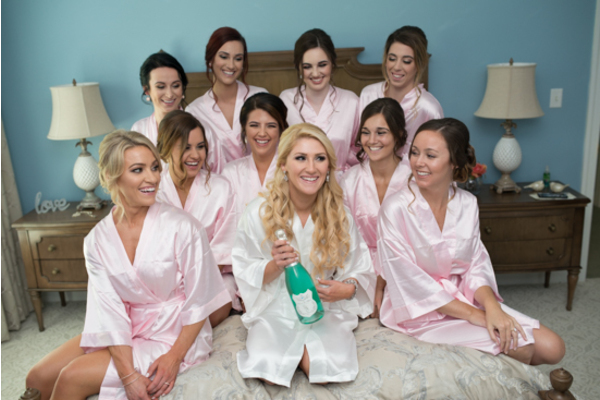 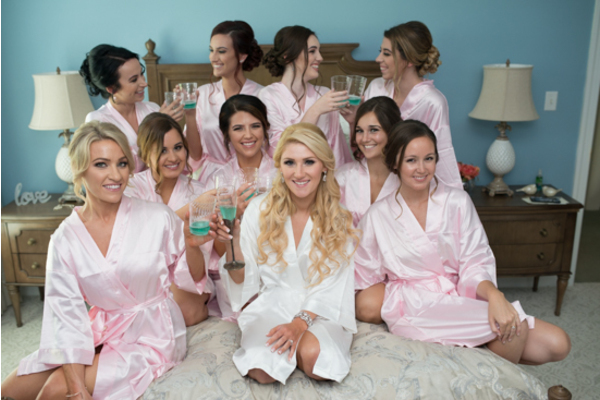 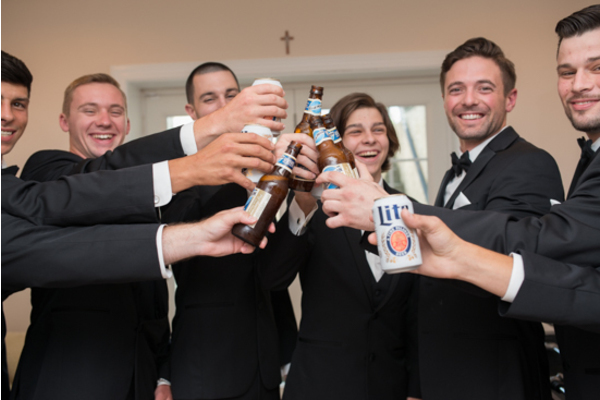 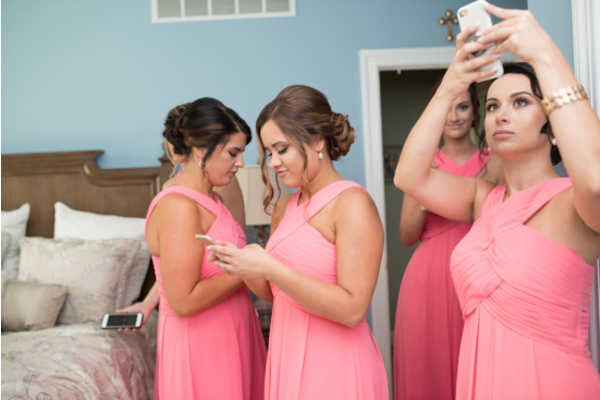 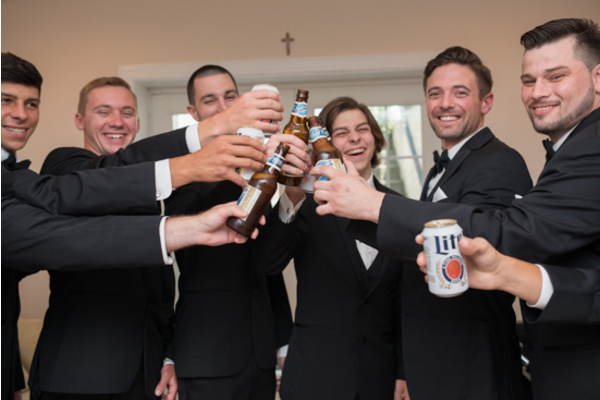 After fun photos were taken with our NJ Wedding Photographer, it was time to celebrate! 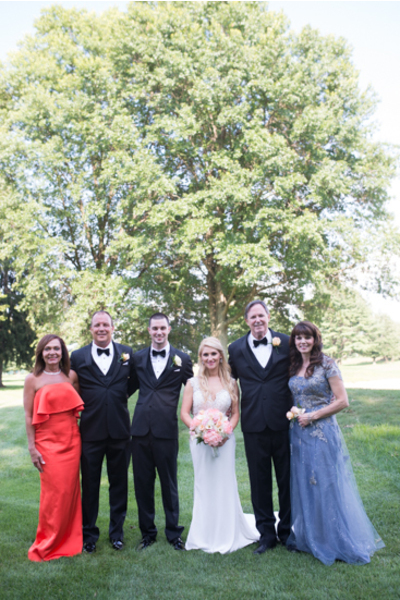 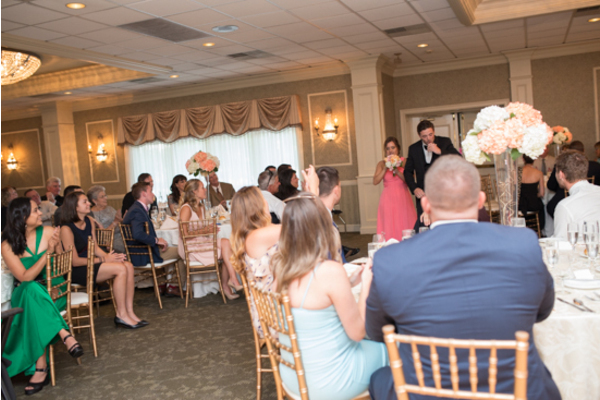 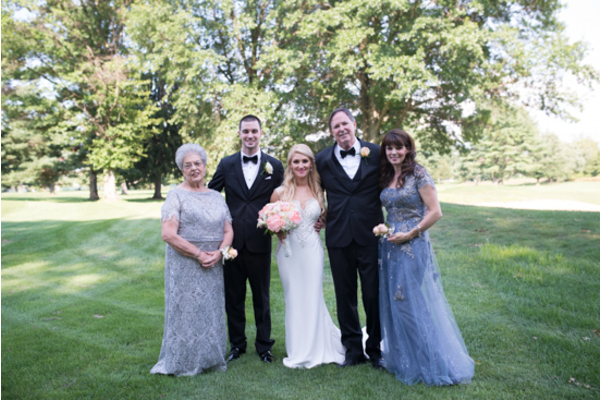 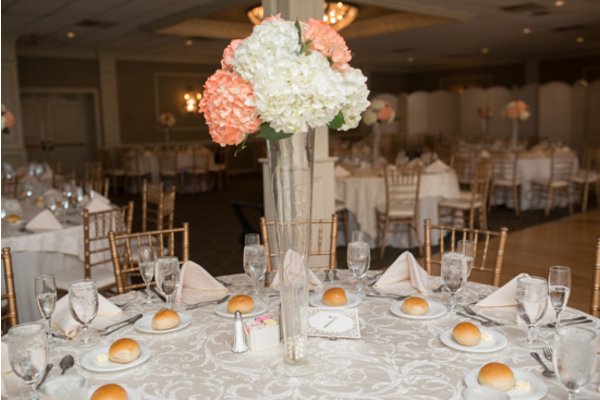 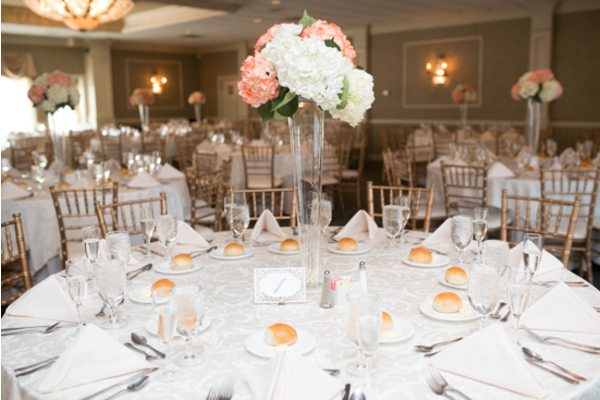 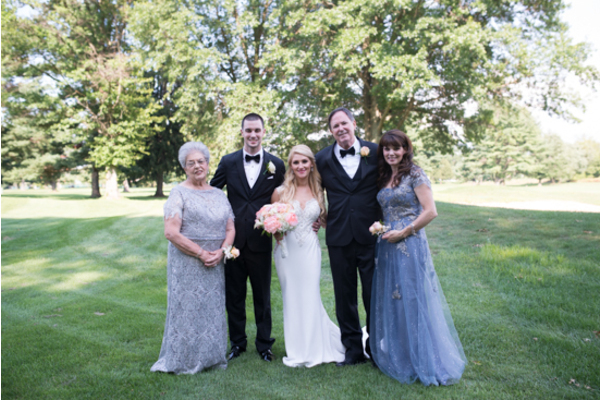 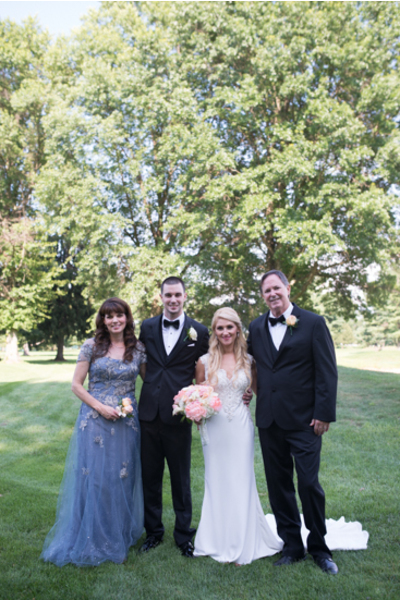 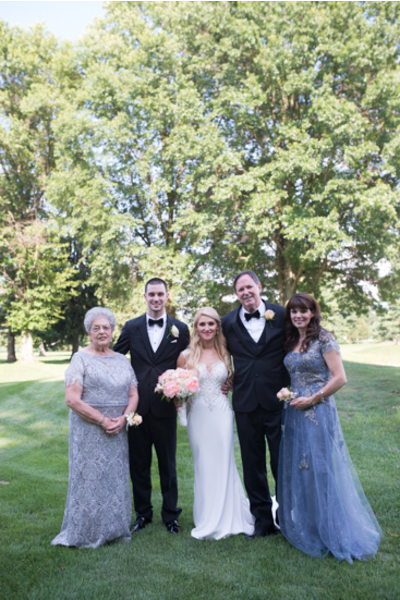 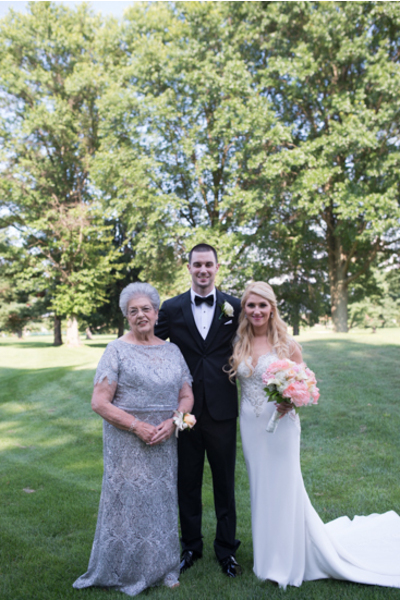 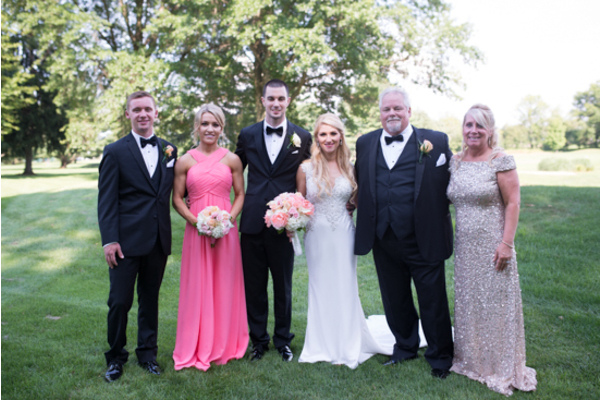 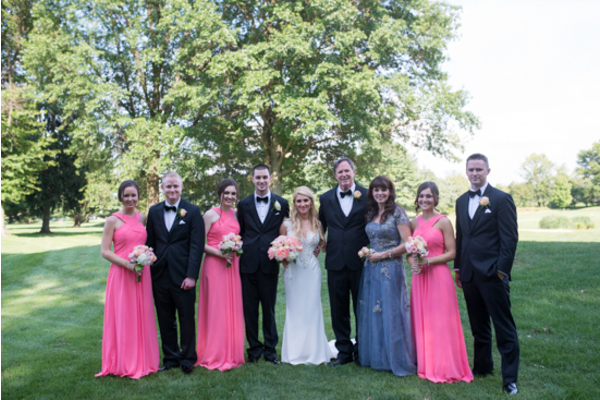 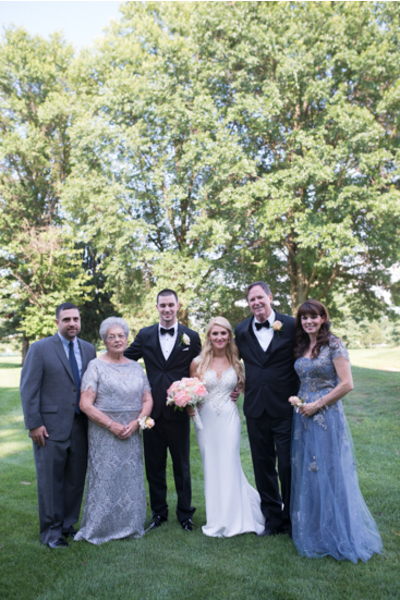 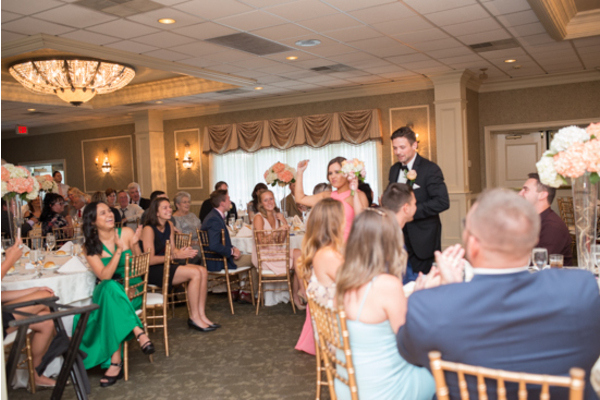 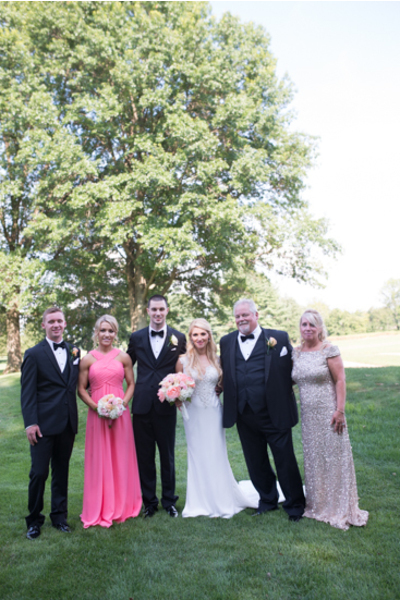 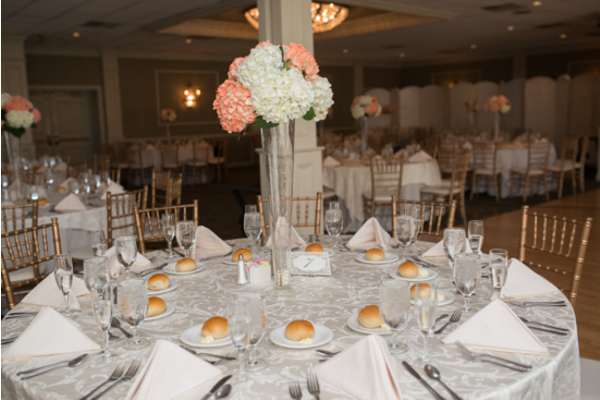 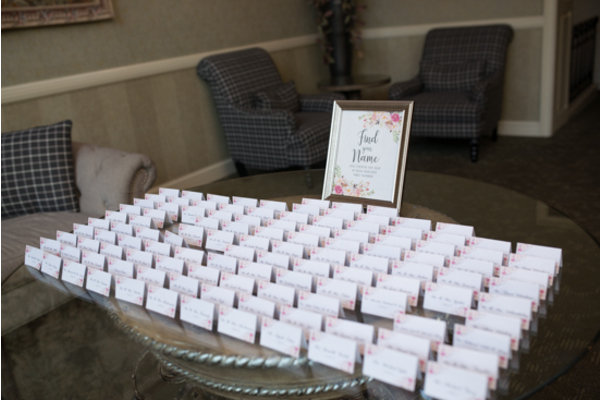 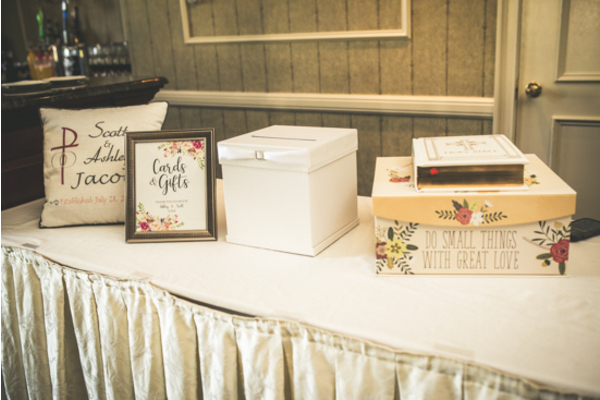 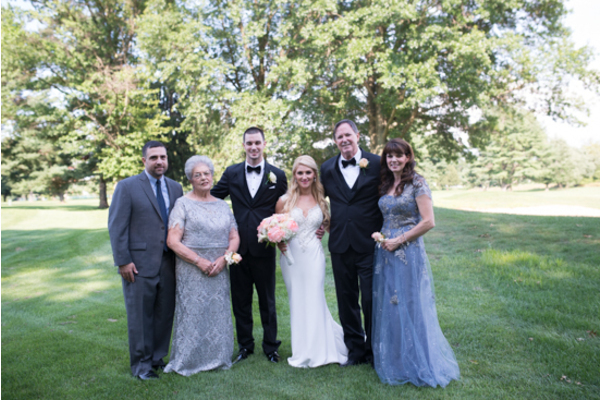 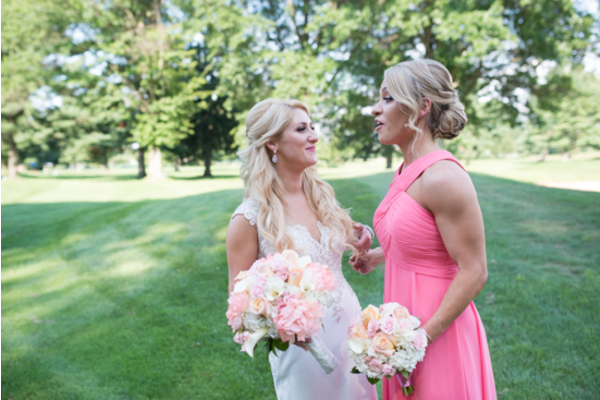 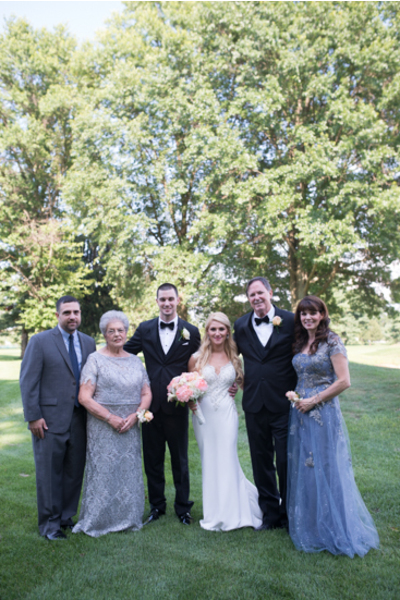 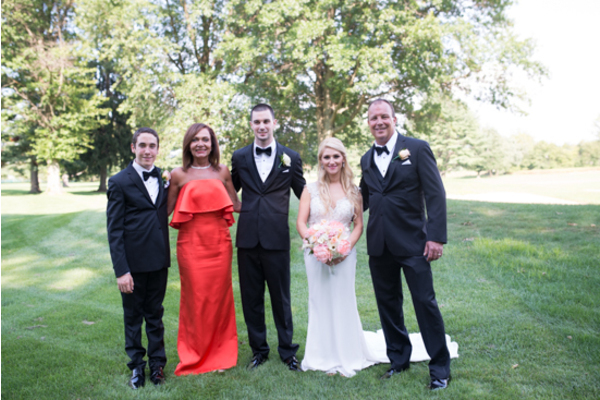 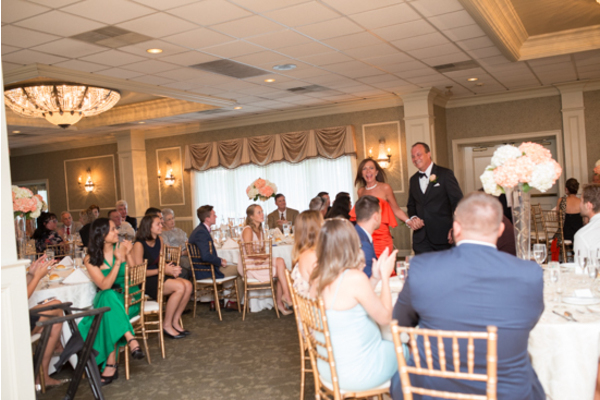 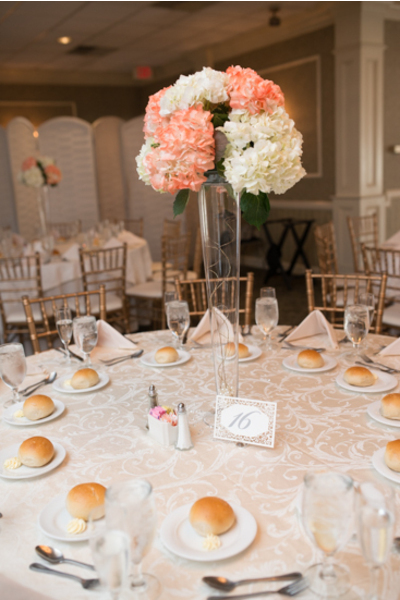 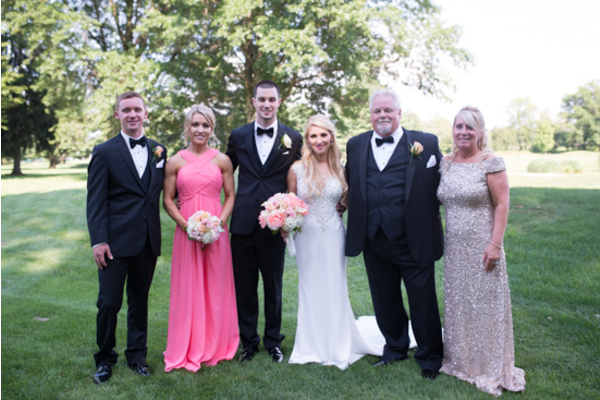 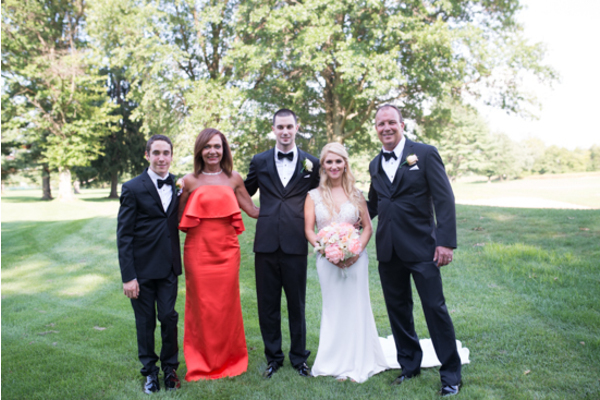 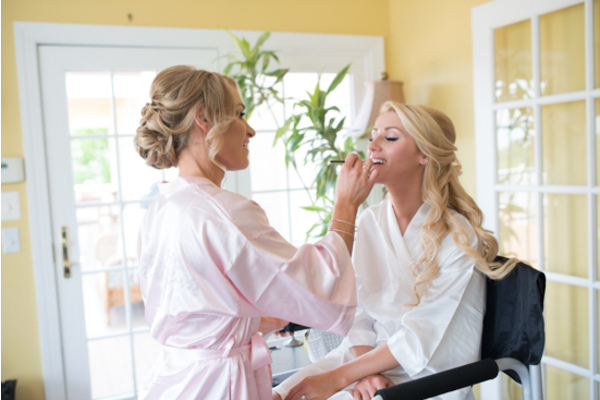 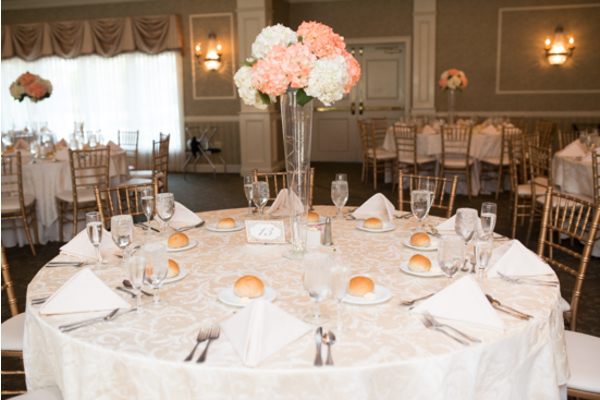 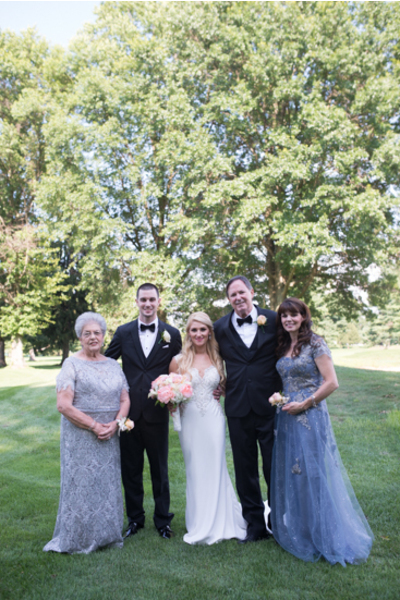 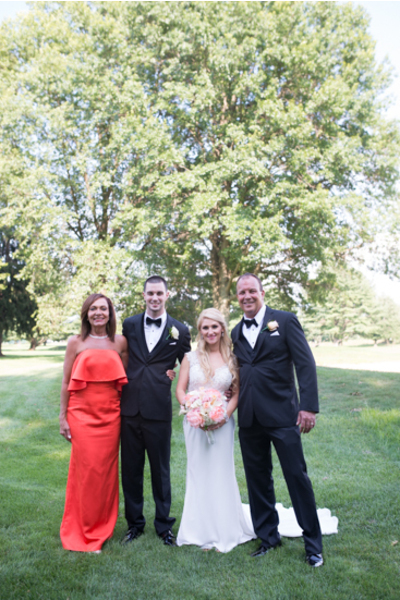 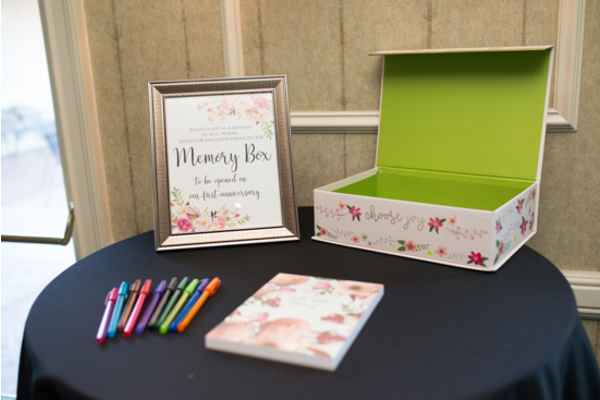 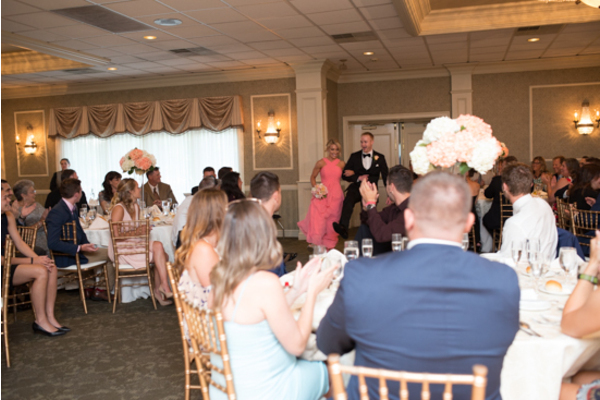 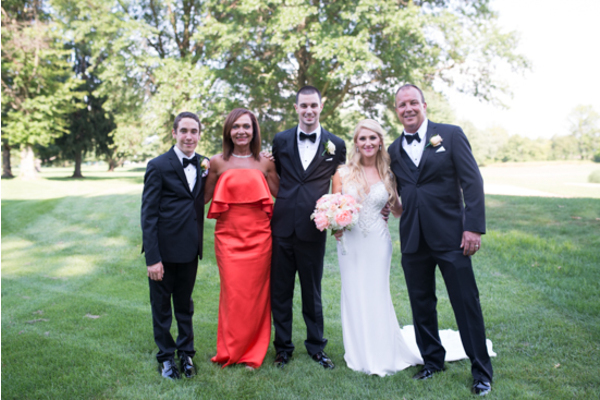 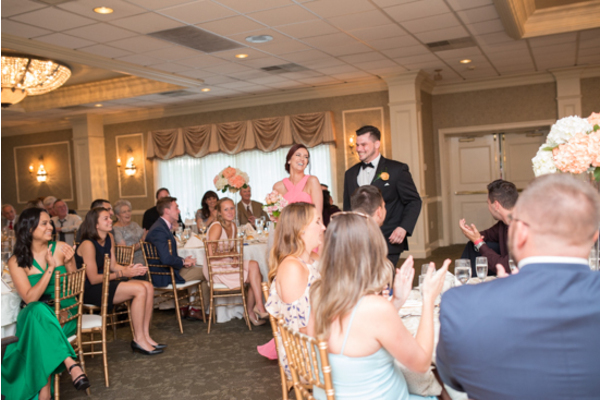 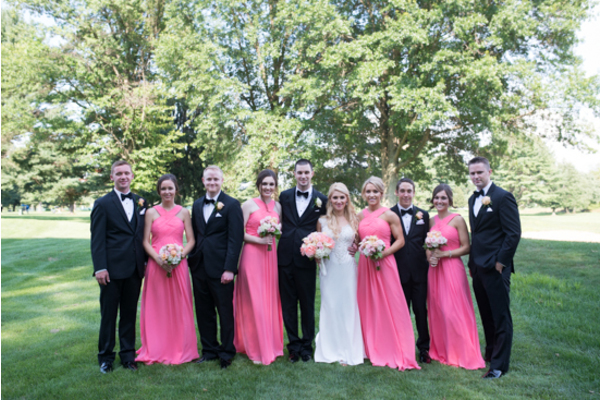 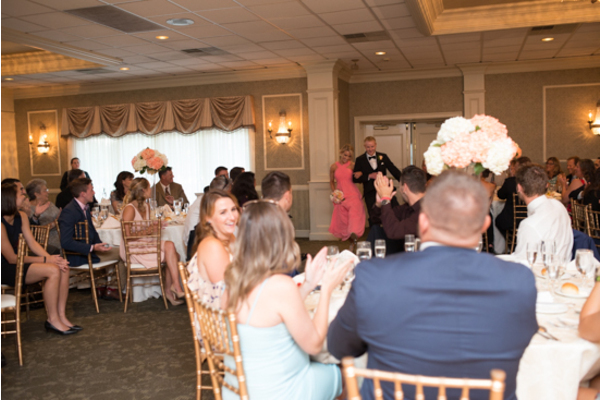 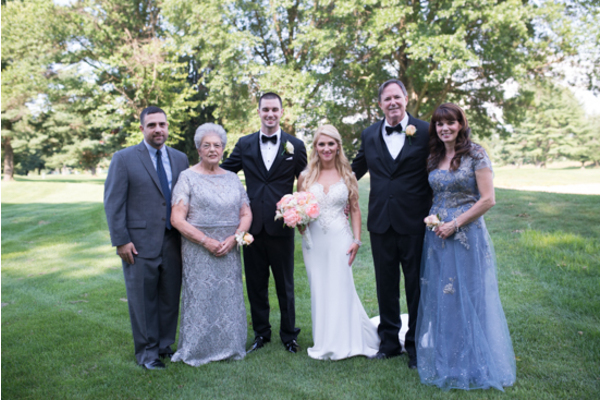 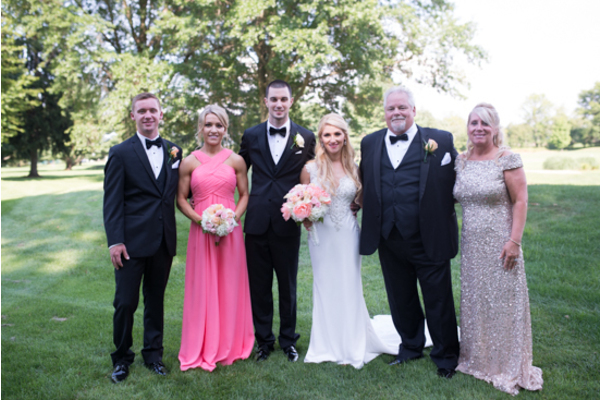 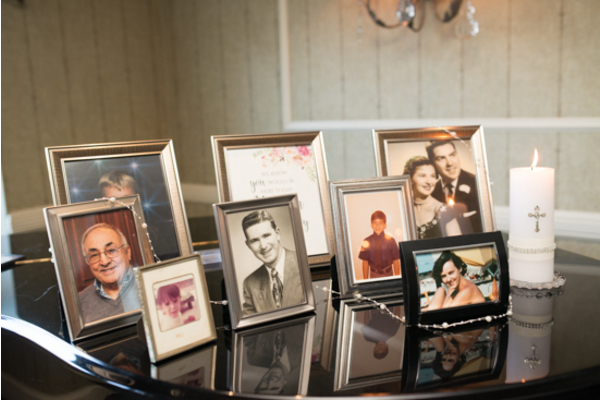 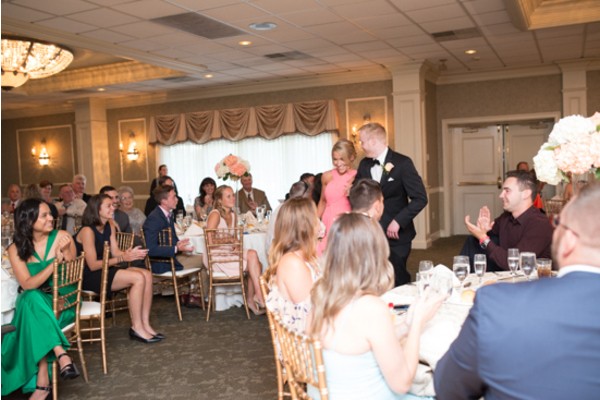 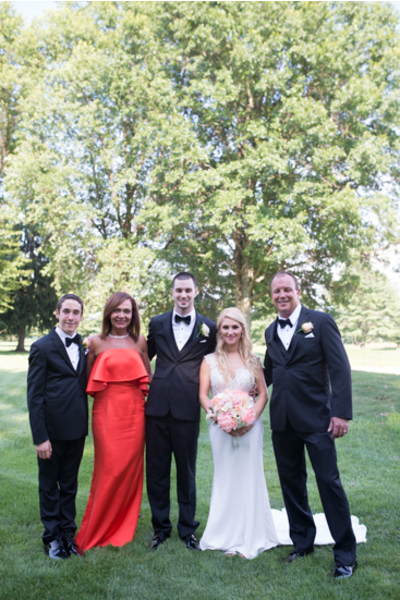 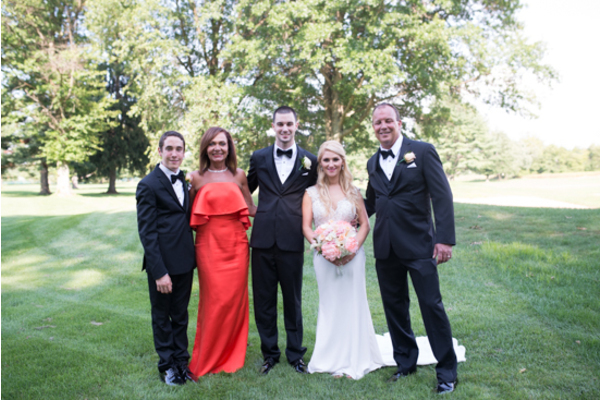 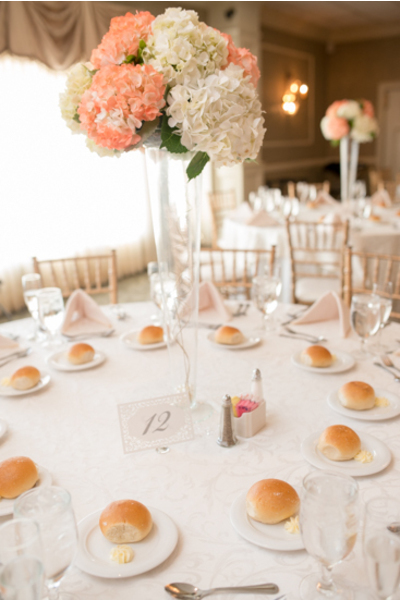 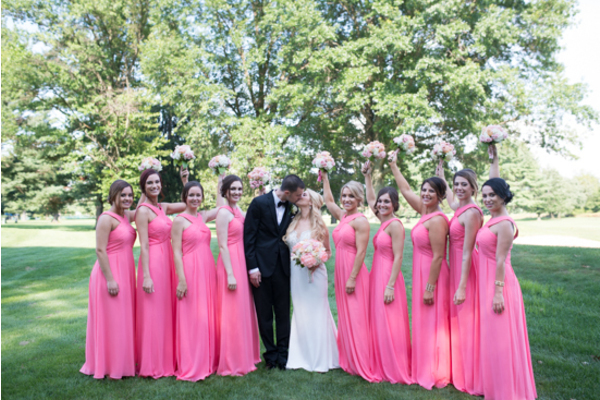 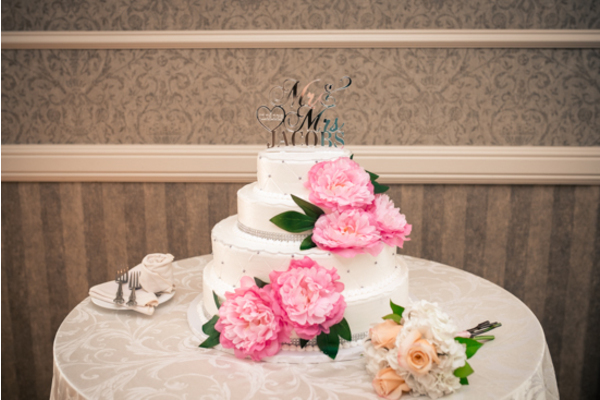 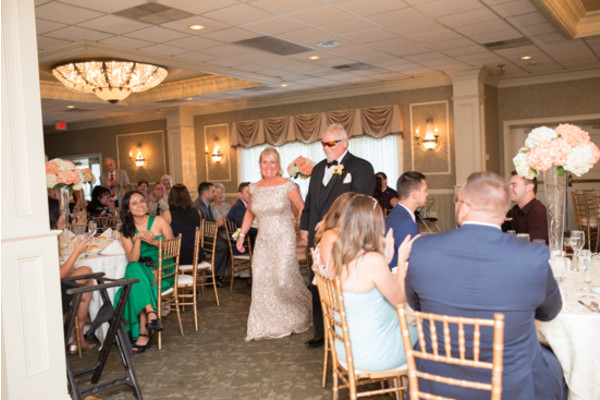 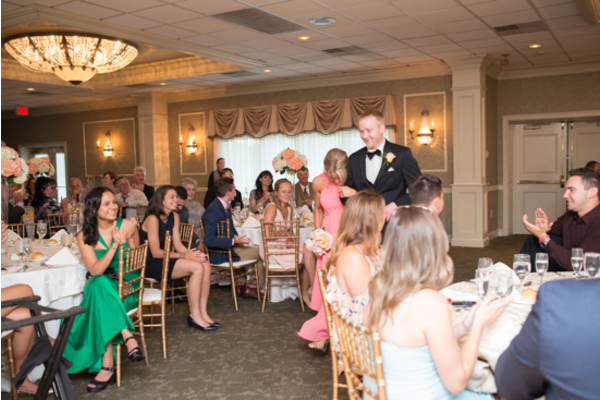 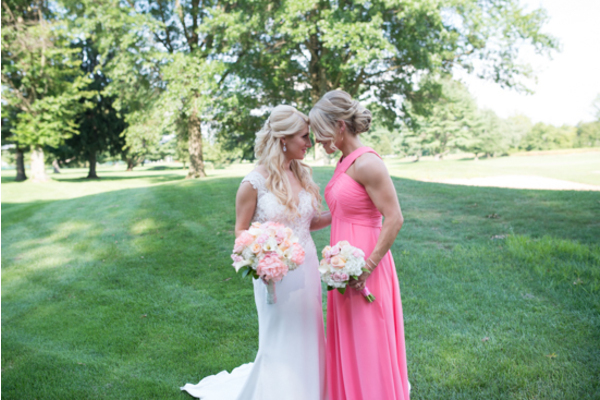 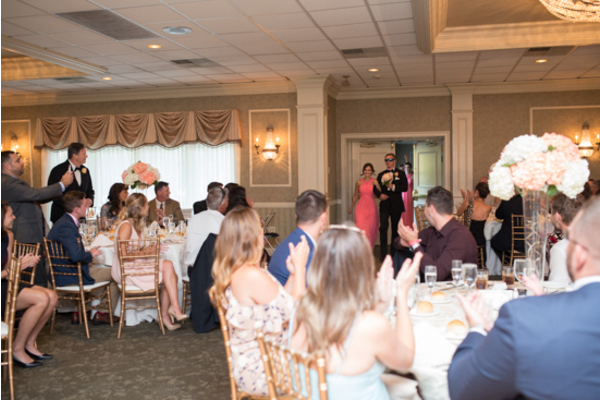 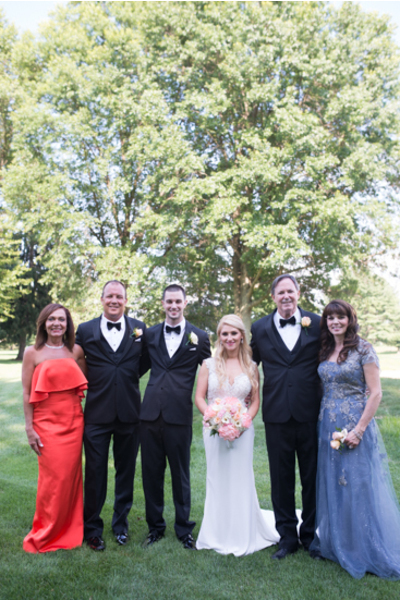 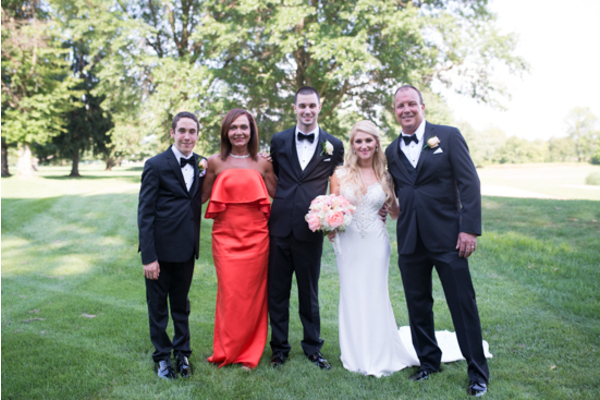 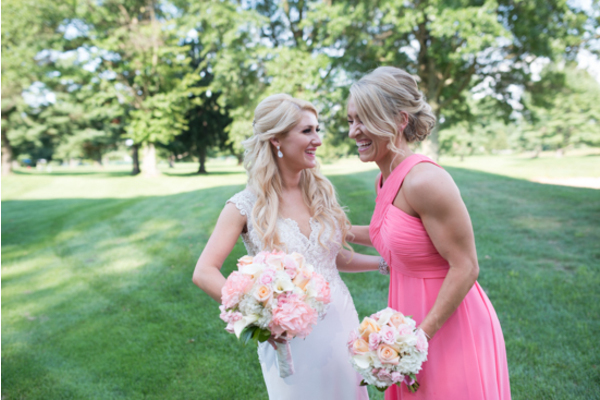 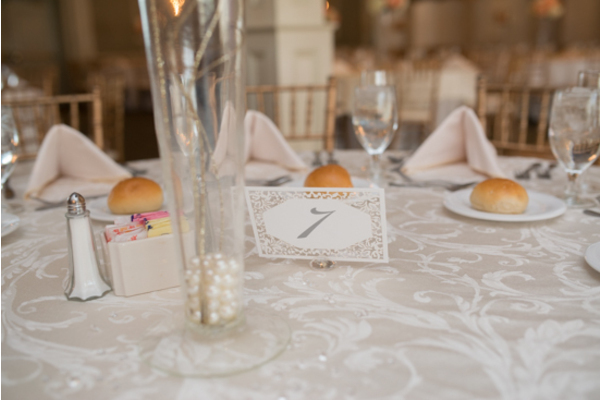 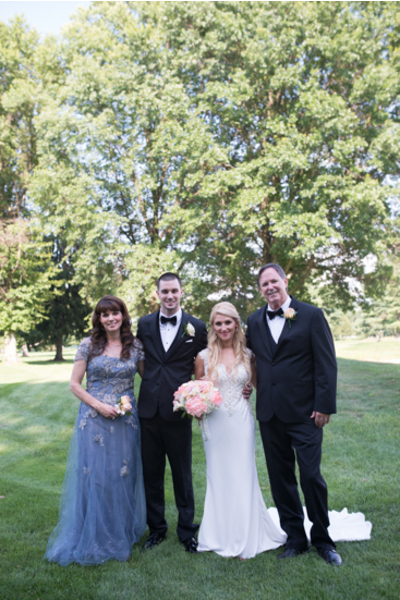 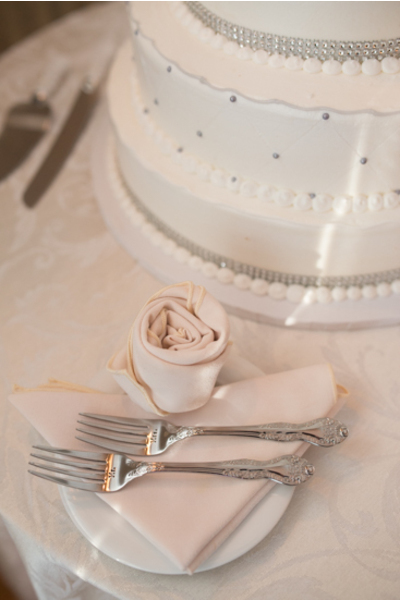 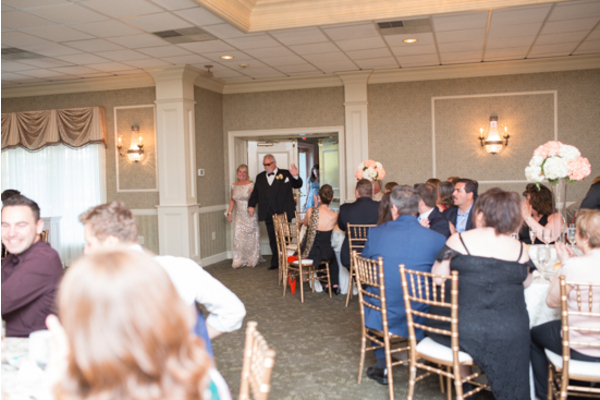 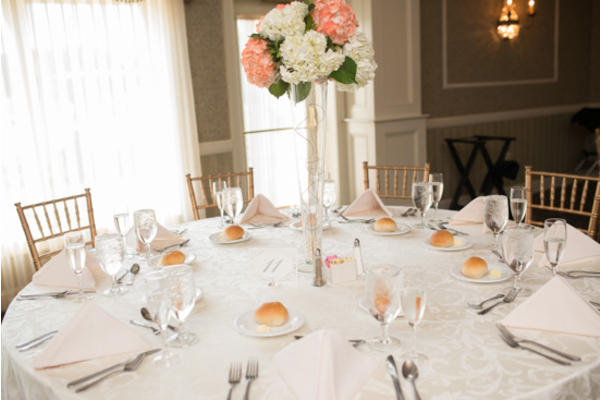 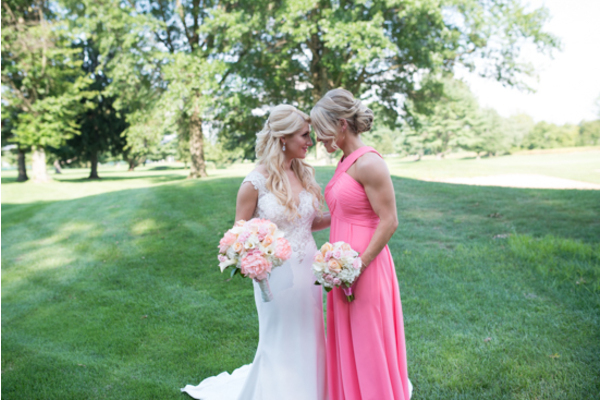 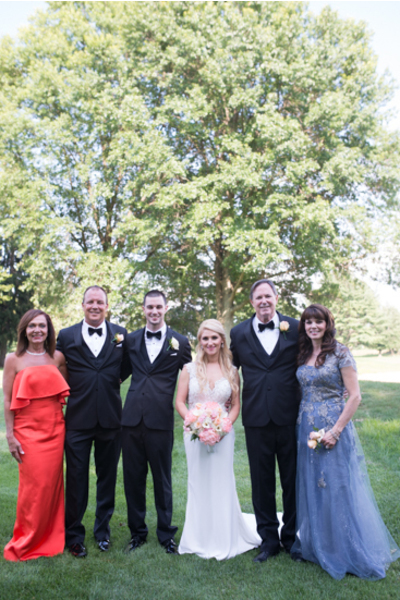 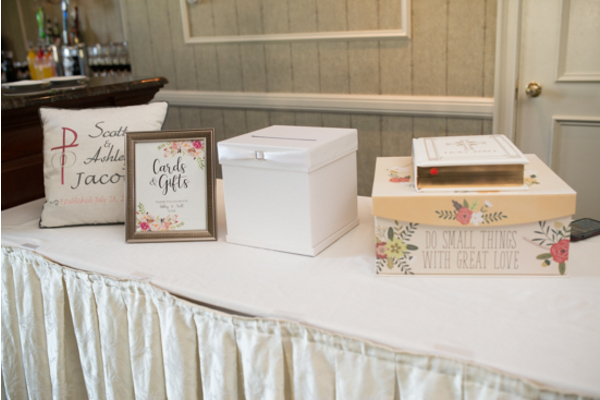 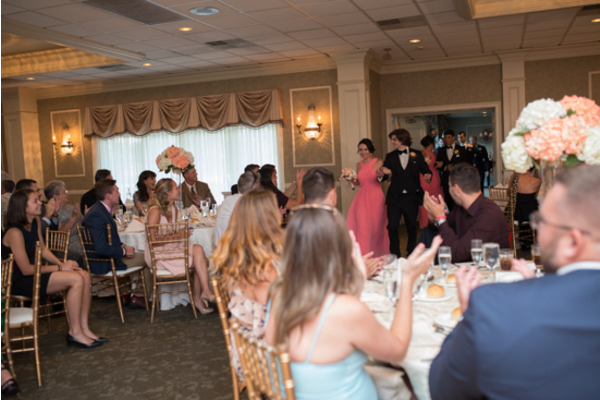 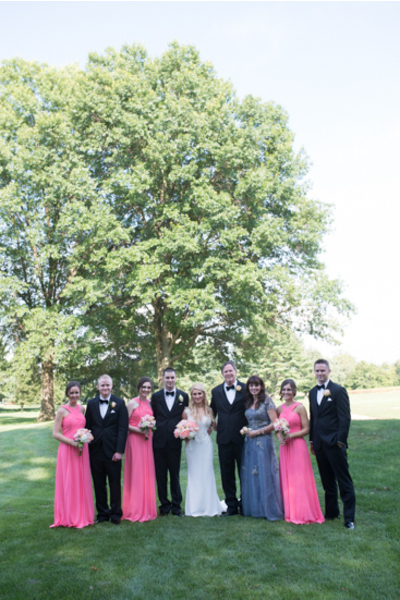 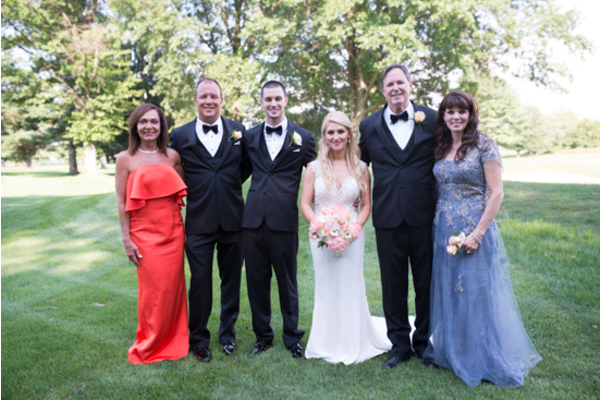 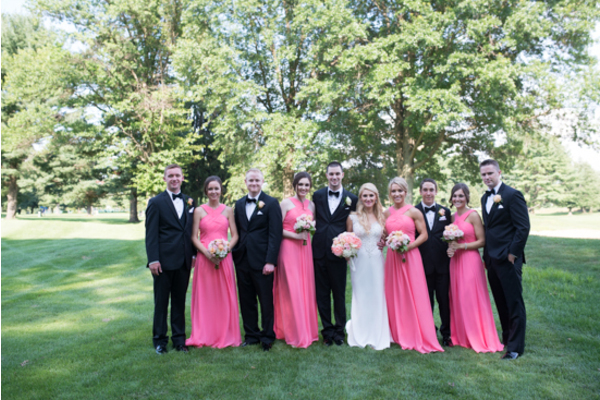 The Northampton Valley Country Club was the perfect venue spot to watch these families become one! 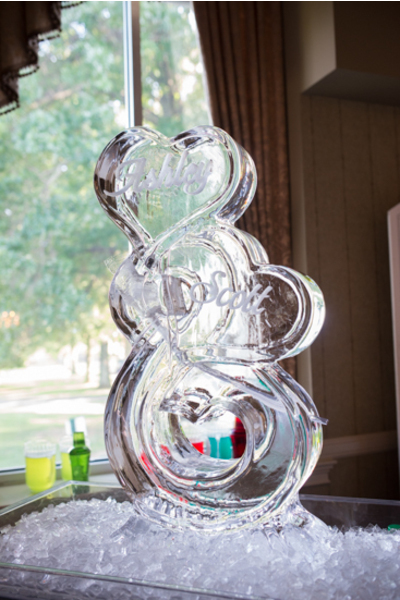 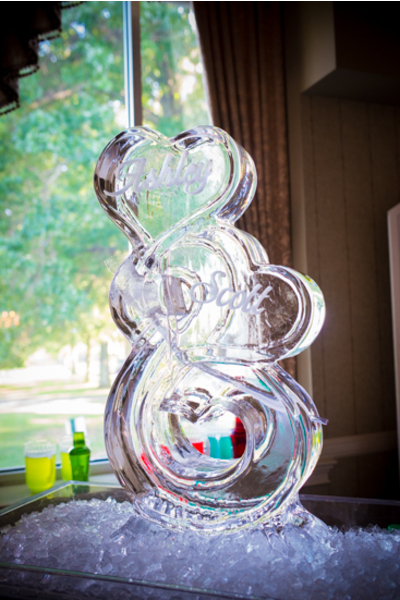 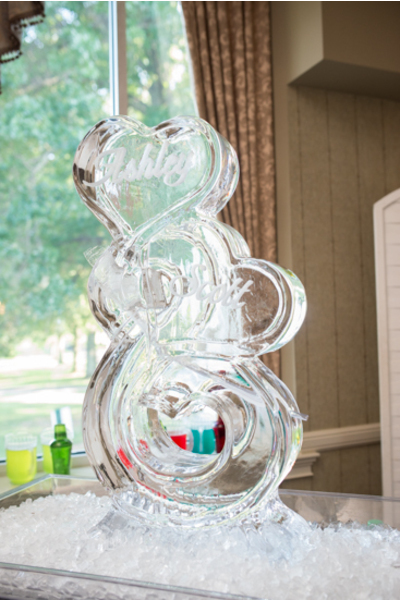 Heart-shaped ice sculptures and pink petals covered the room. 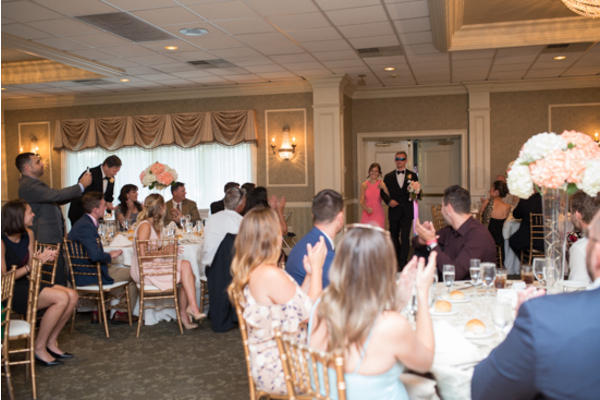 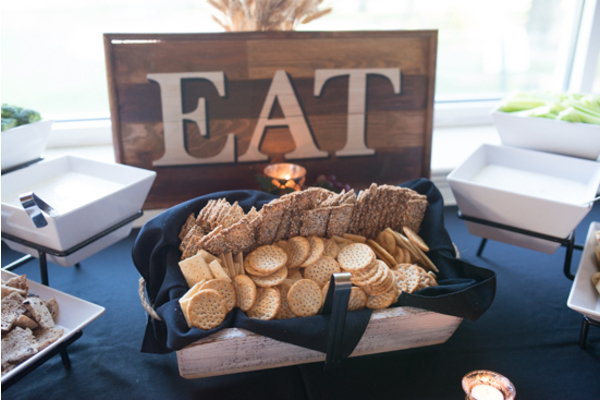 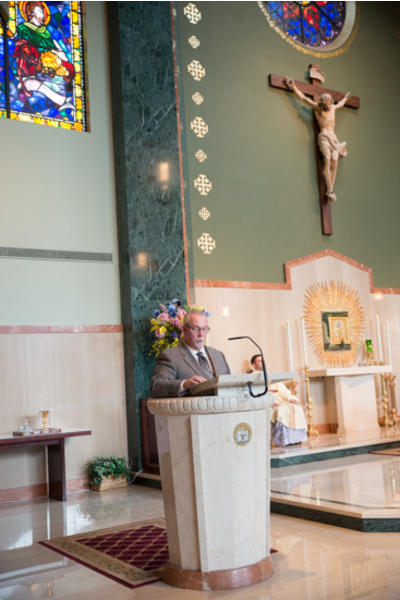 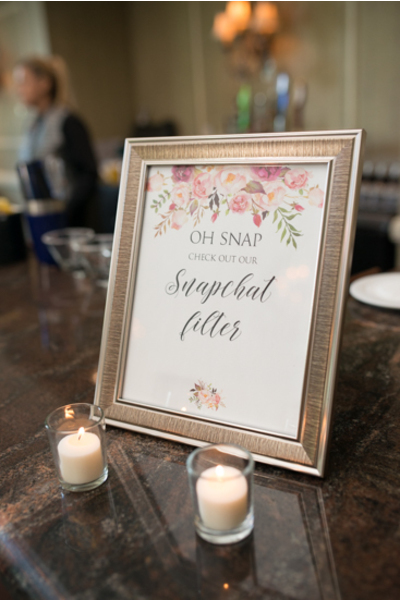 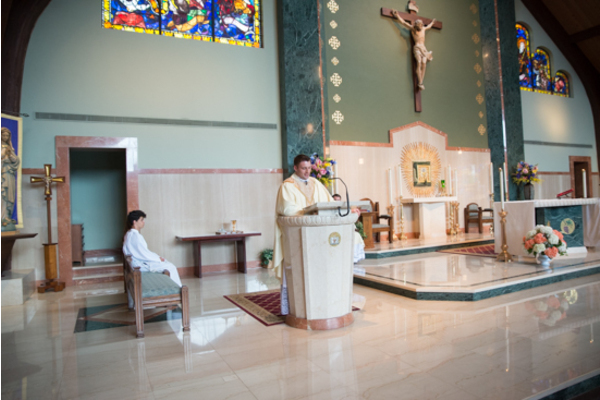 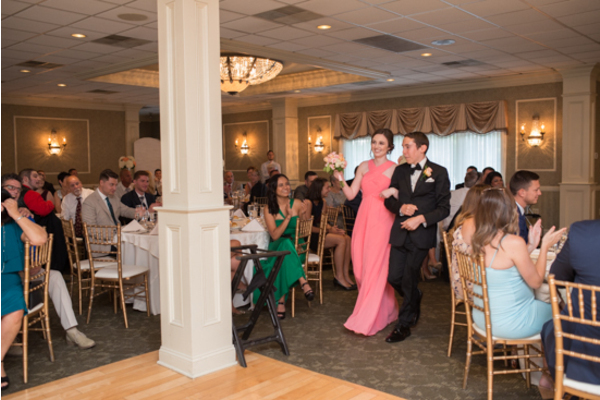 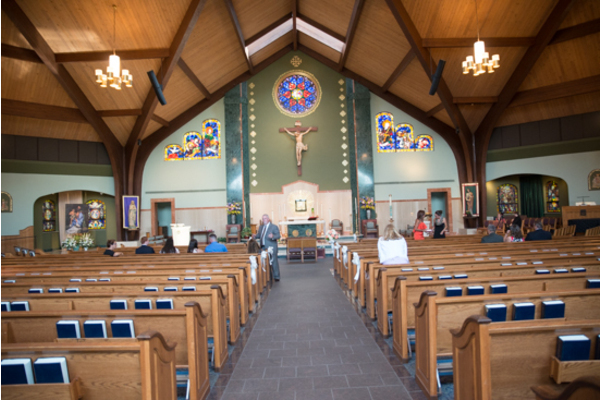 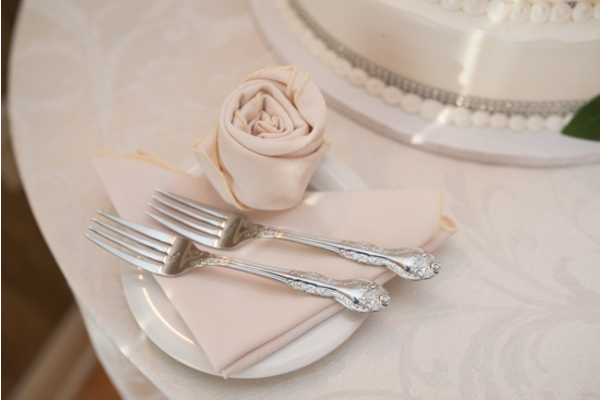 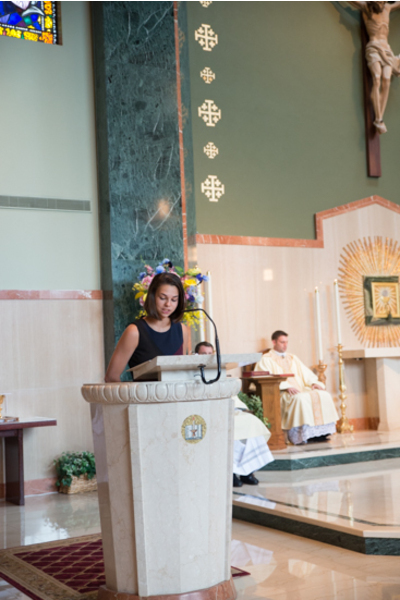 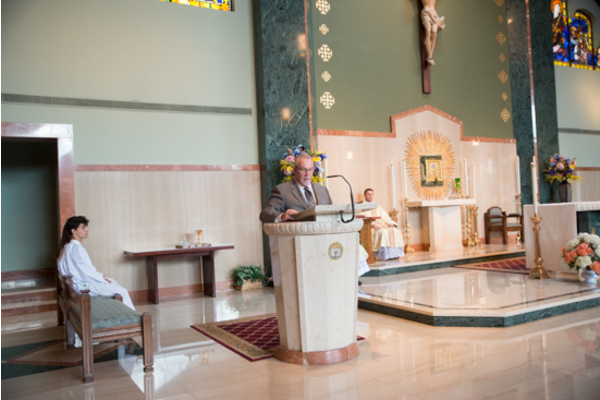 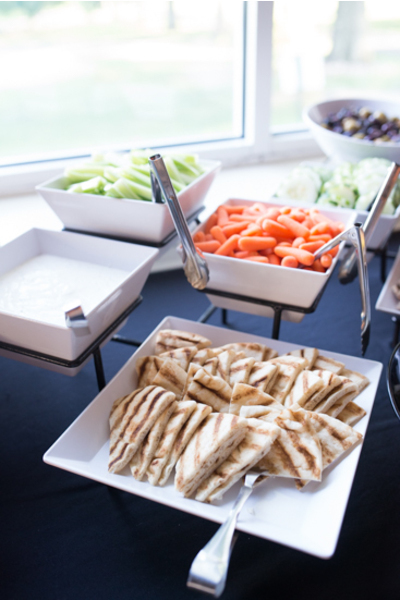 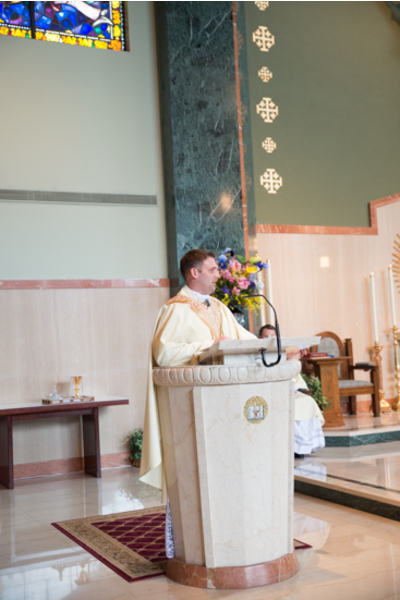 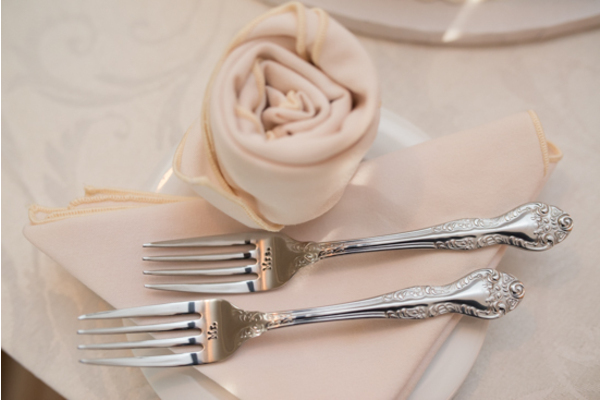 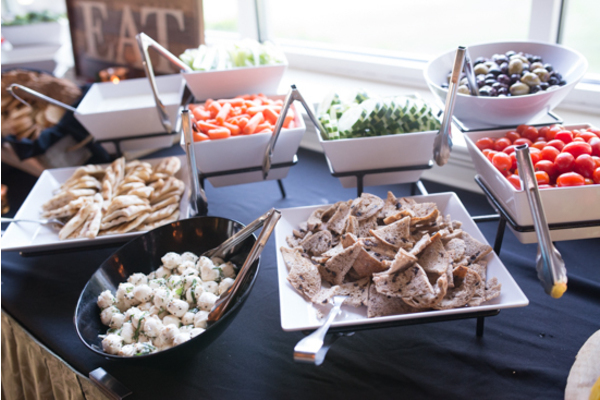 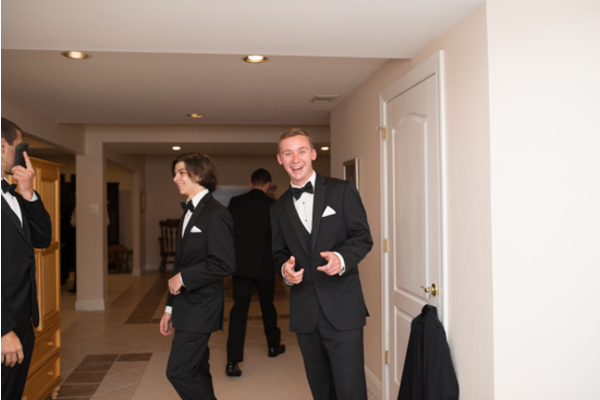 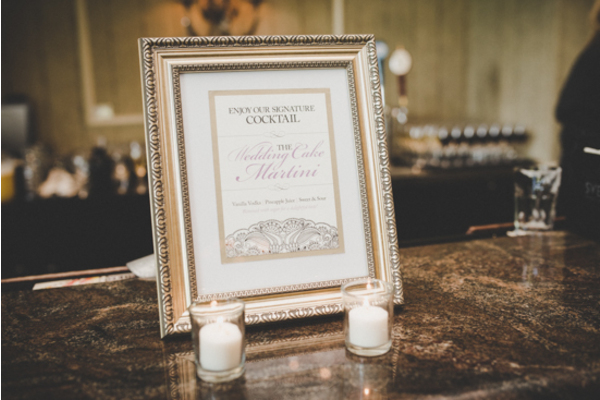 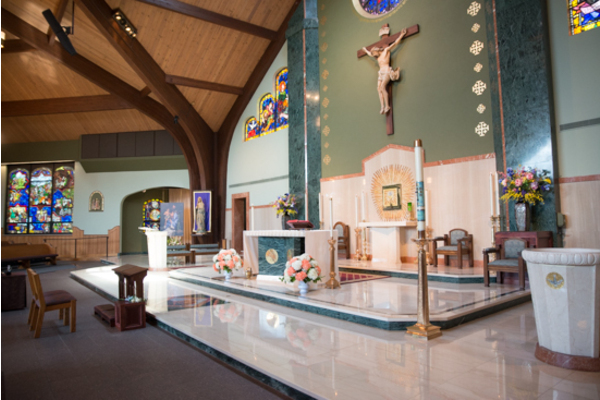 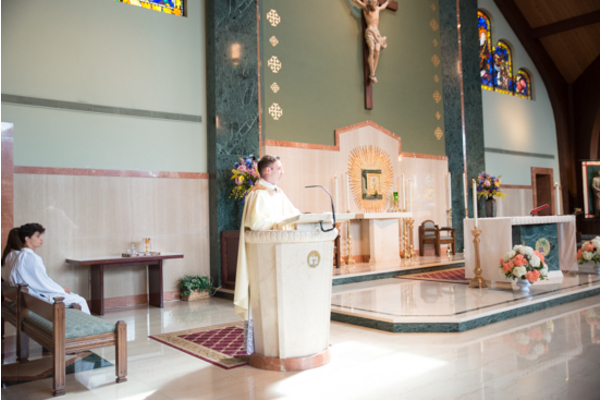 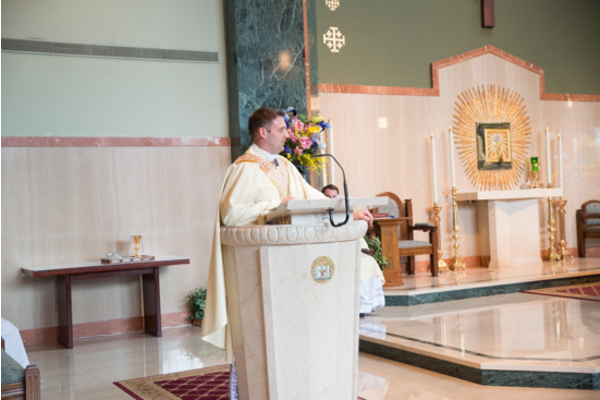 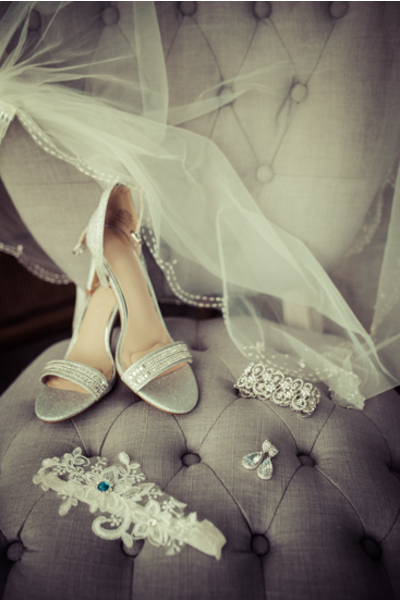 Additionally, the dazzling decor and heartwarming moments left everyone utterly speechless. 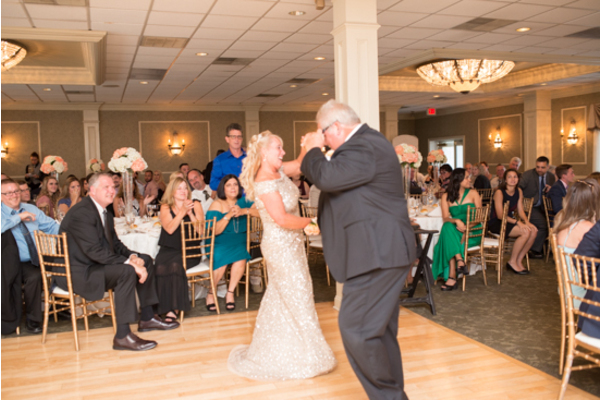 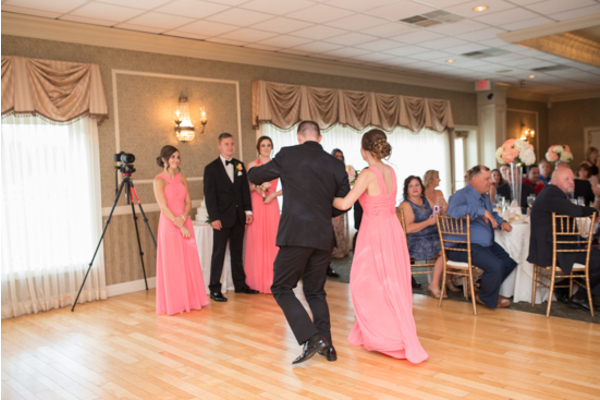 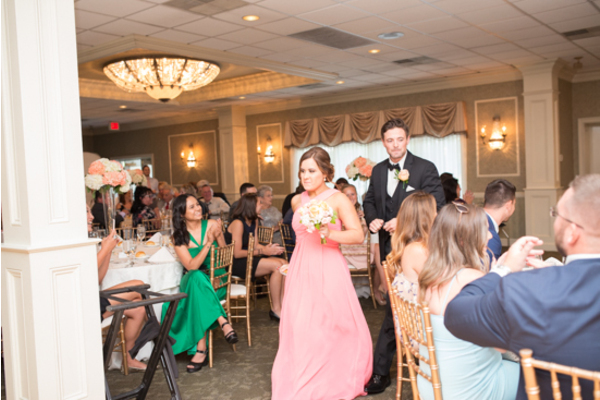 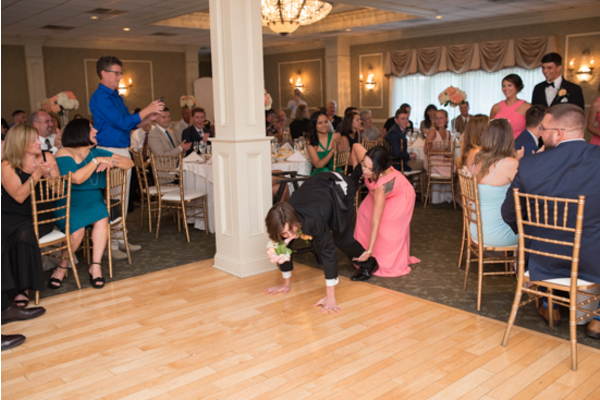 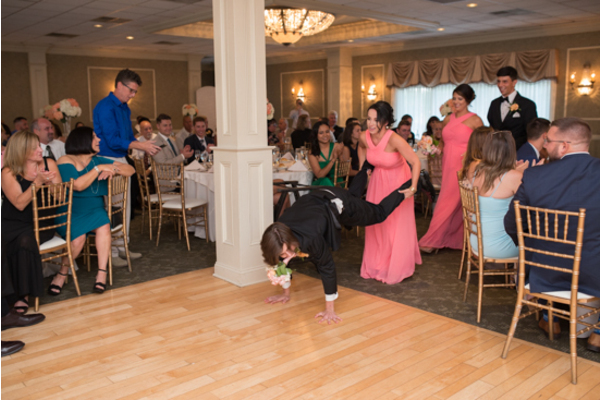 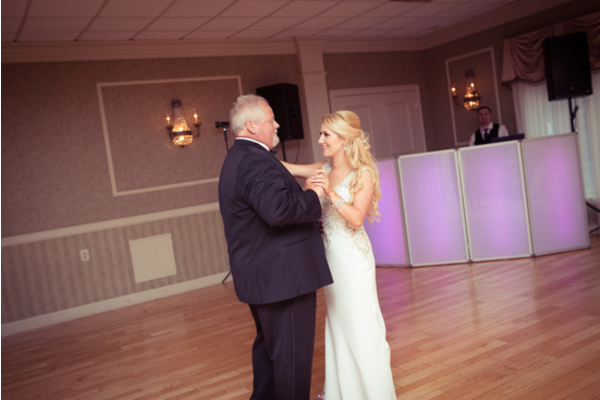 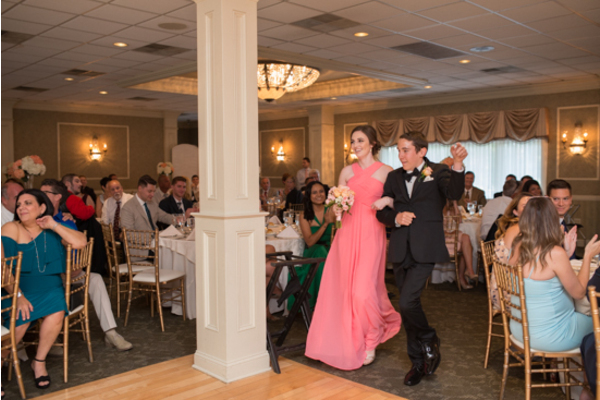 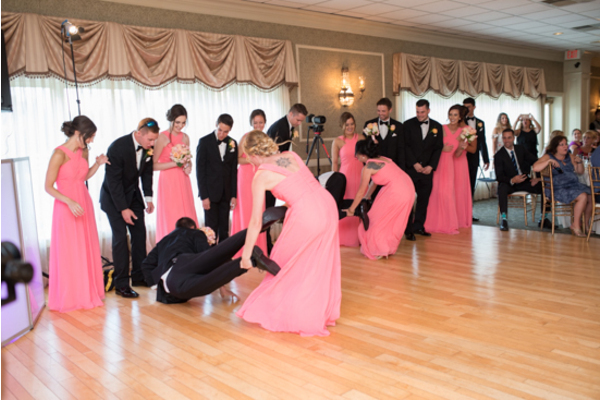 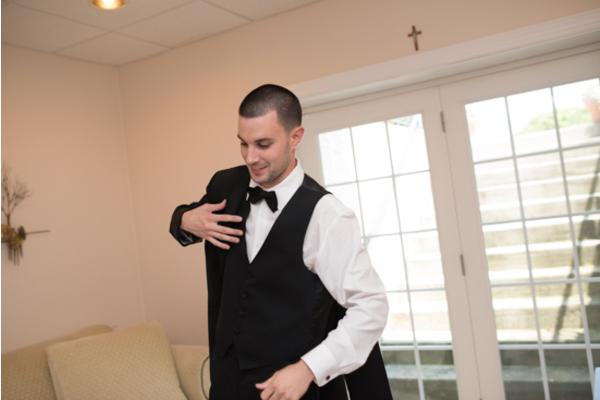 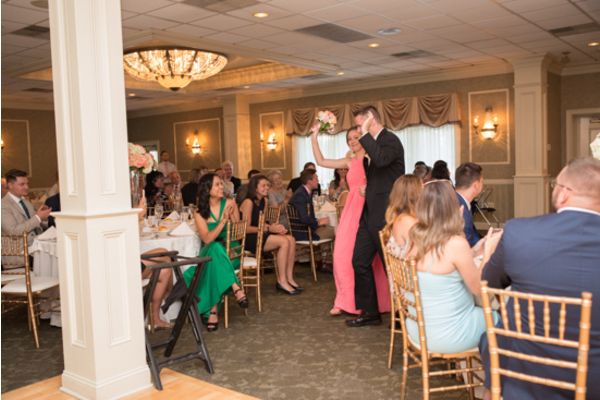 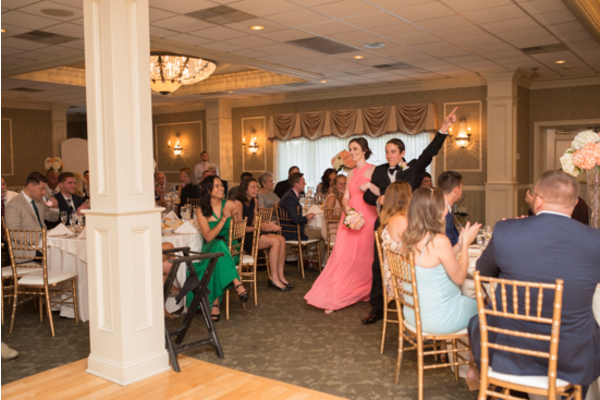 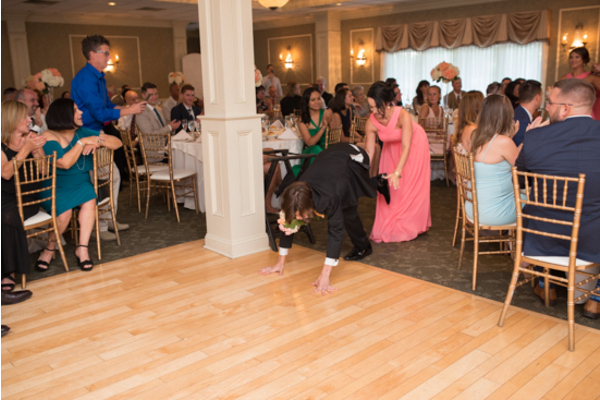 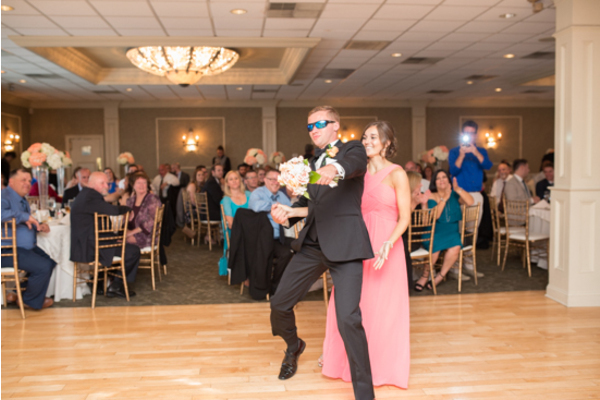 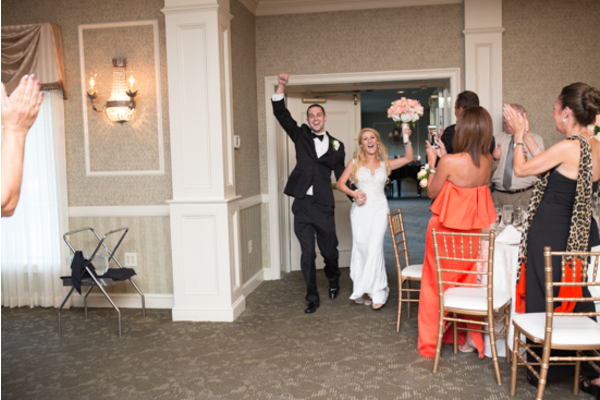 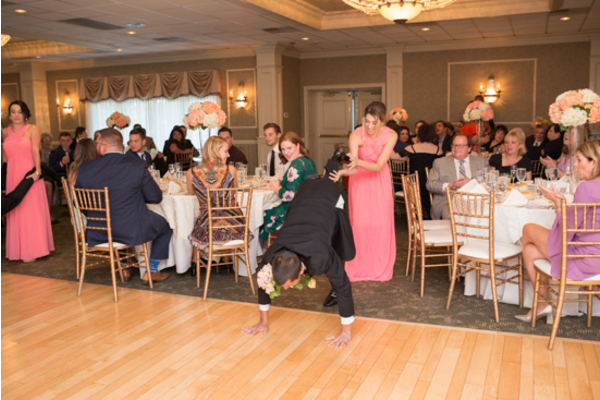 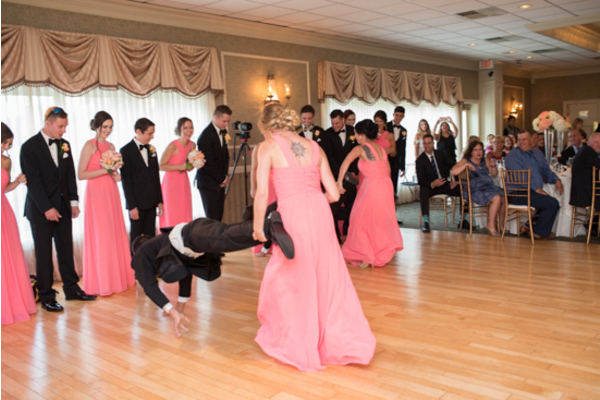 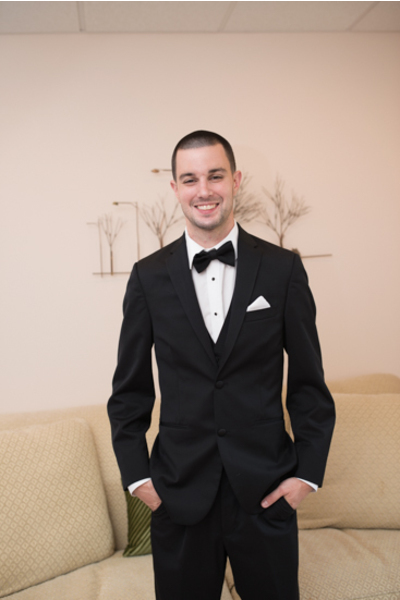 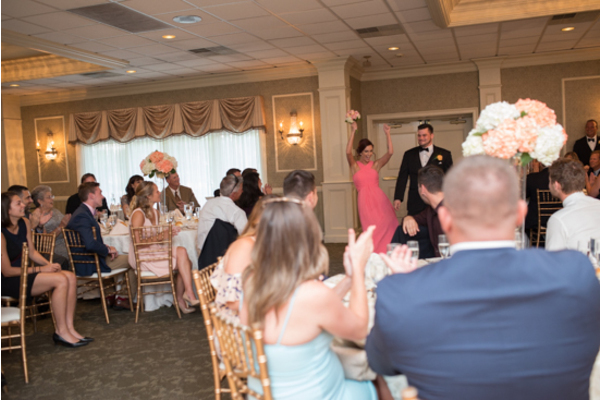 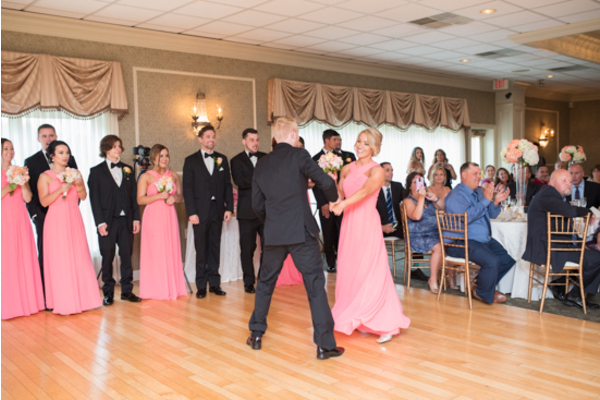 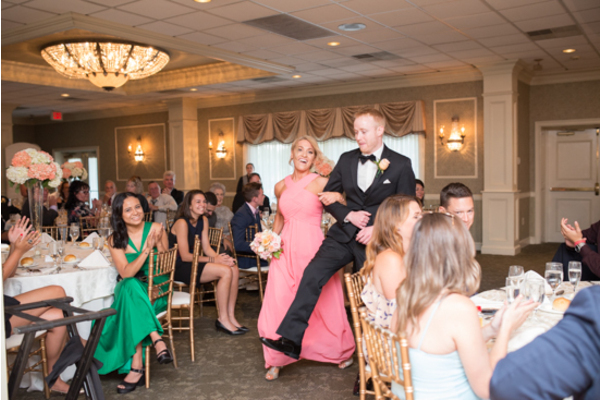 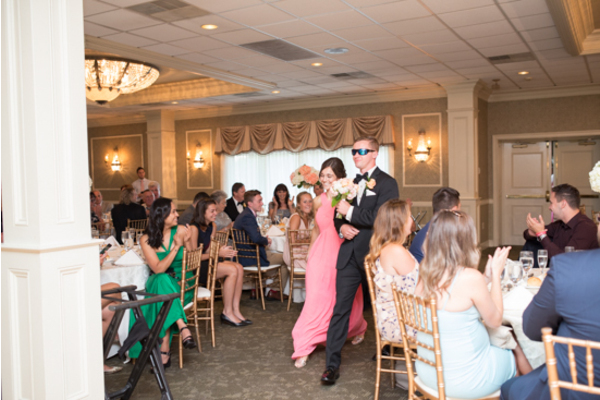 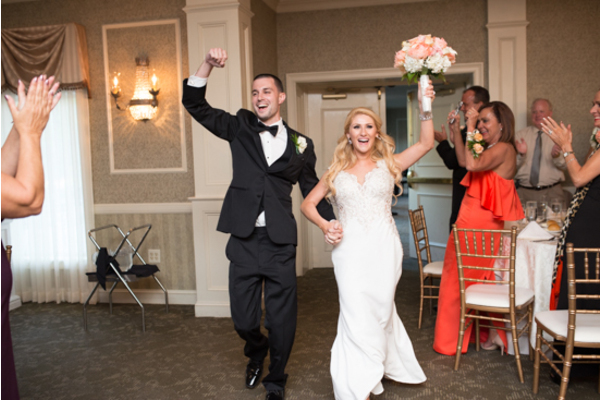 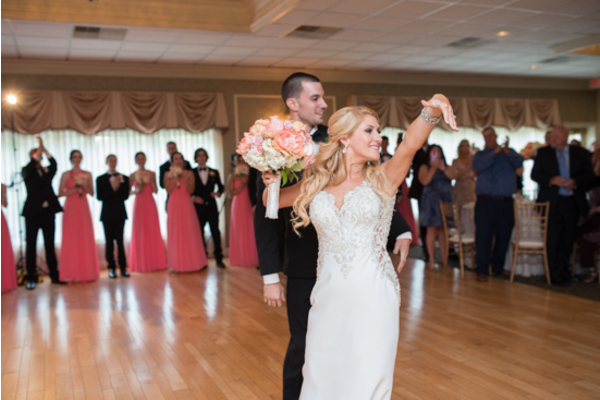 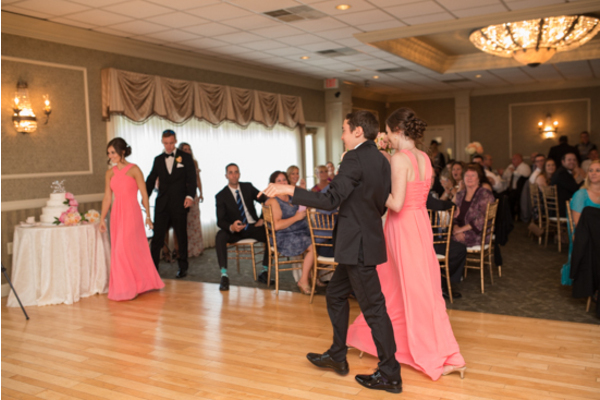 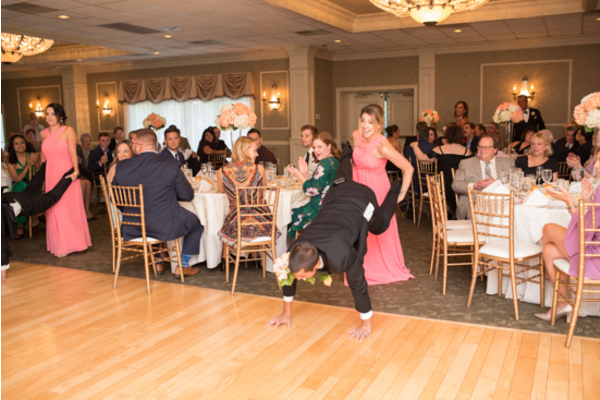 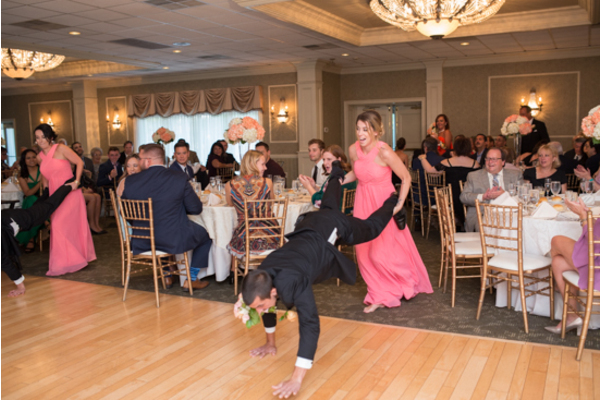 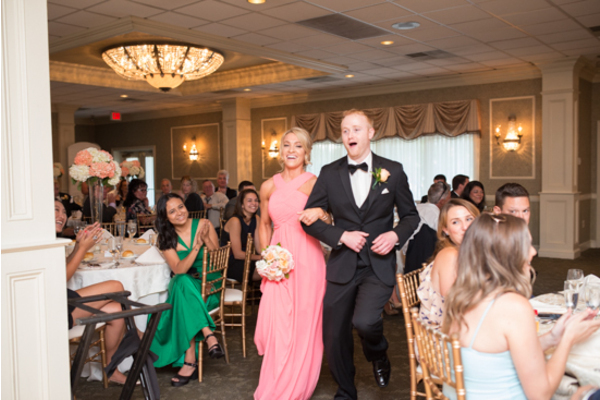 With our NJ Wedding DJ playing the best music, all that was left to do was dance all night! 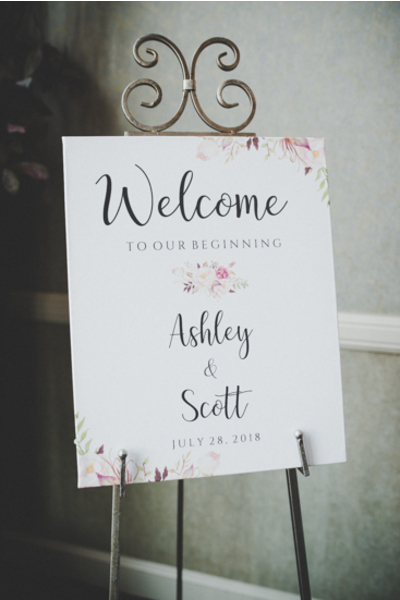 Congratulations, again, to Ashley and Scott! 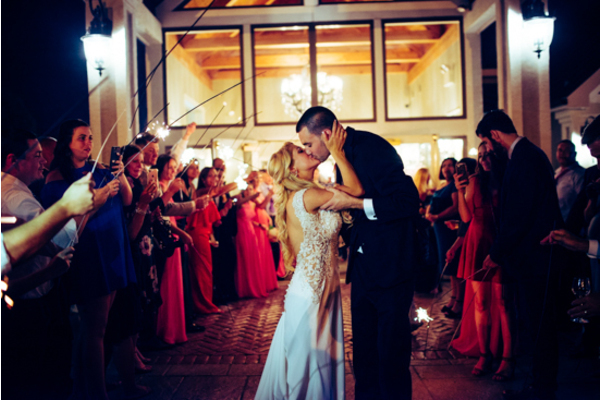 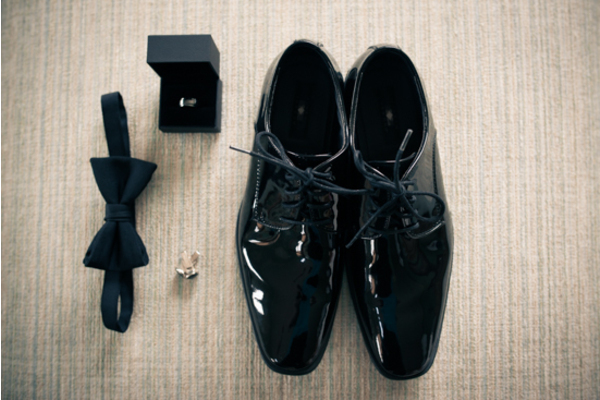 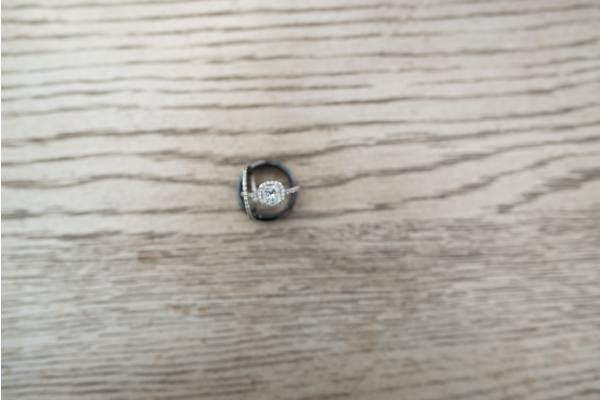 In short, we hope your new life together is filled with lots of adventure, happiness and always love!